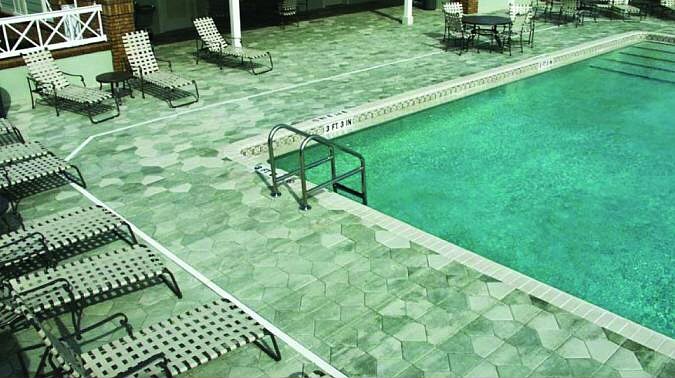 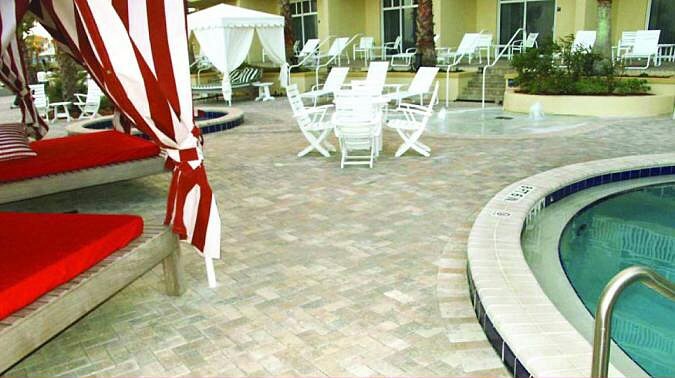 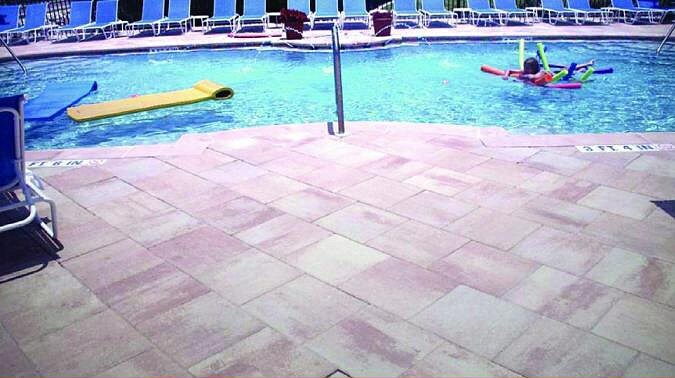 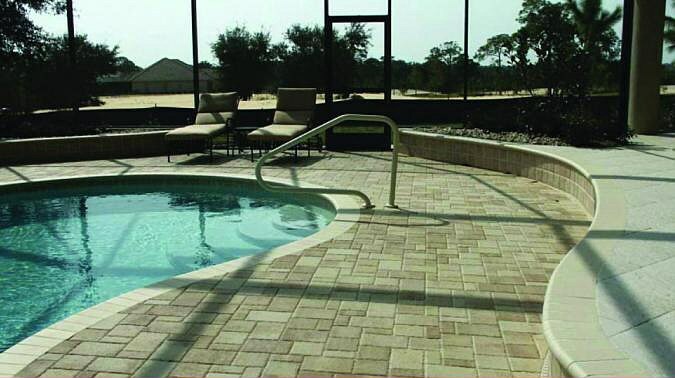 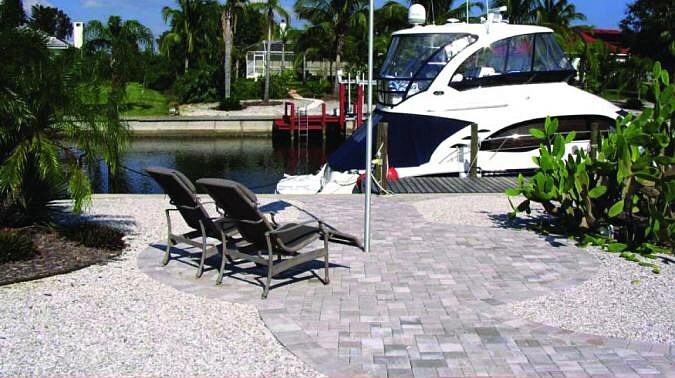 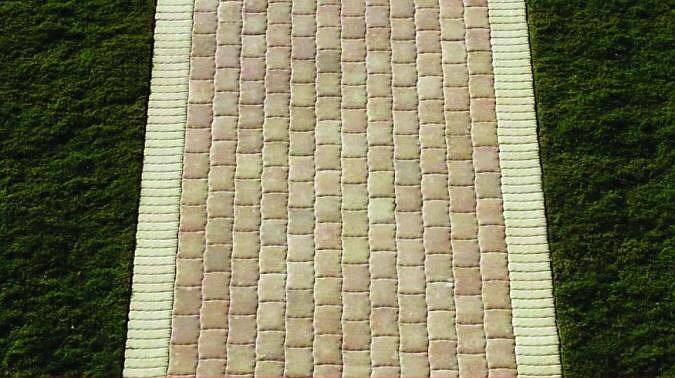 Compilation of our vast line of 1-3/16" (30mm) thin paver shapes that can be used for remodeling projects. 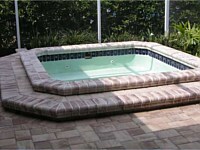 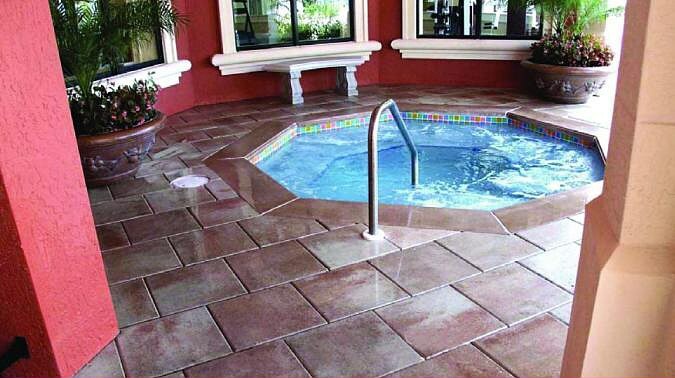 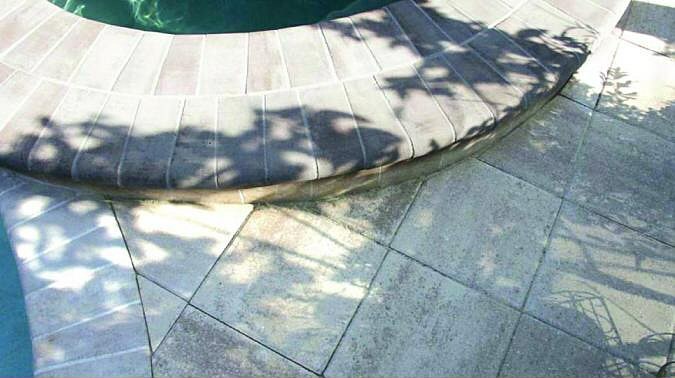 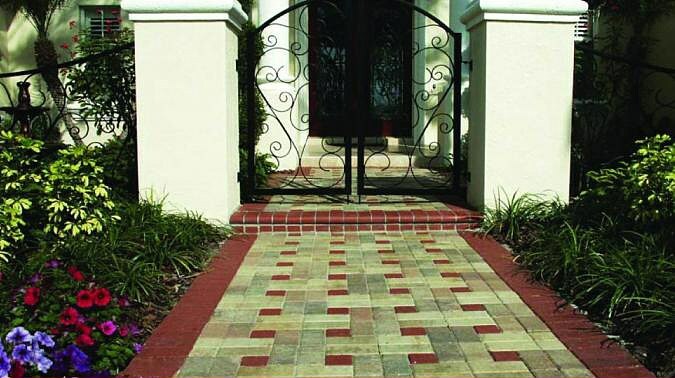 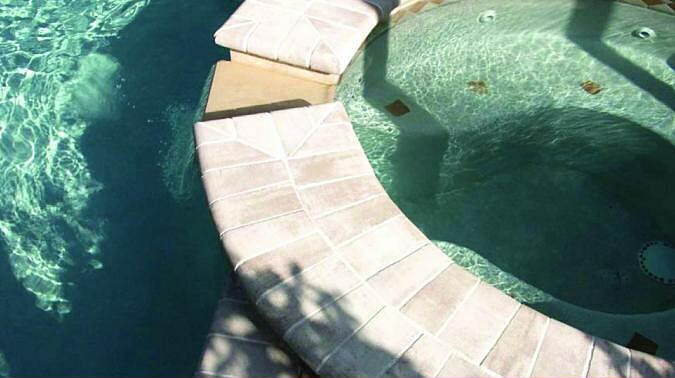 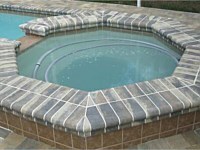 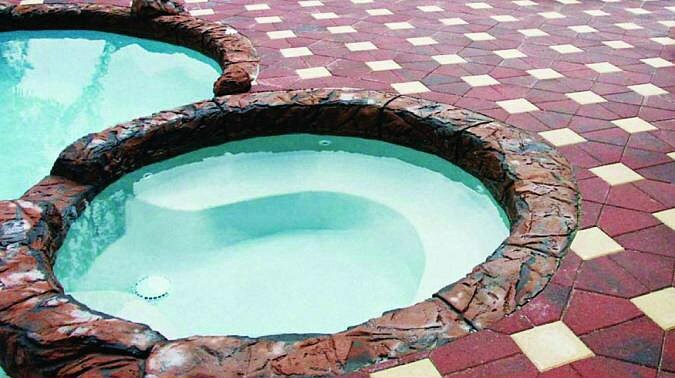 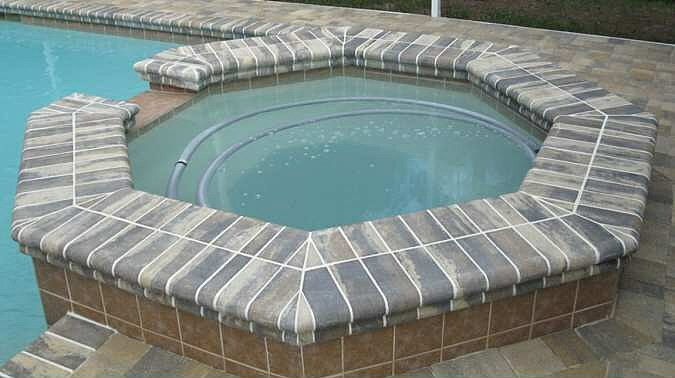 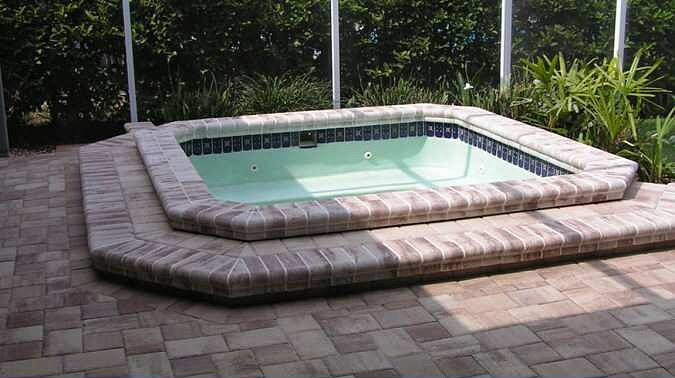 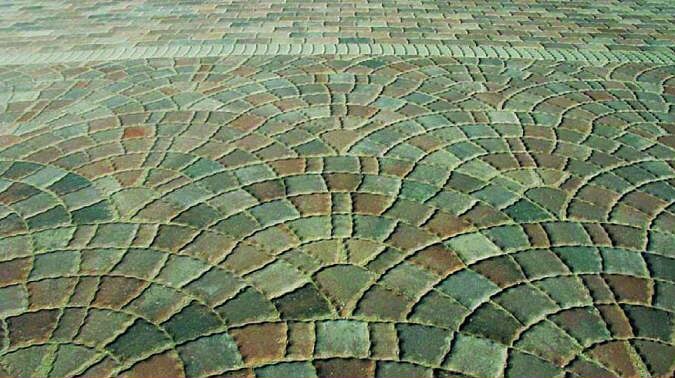 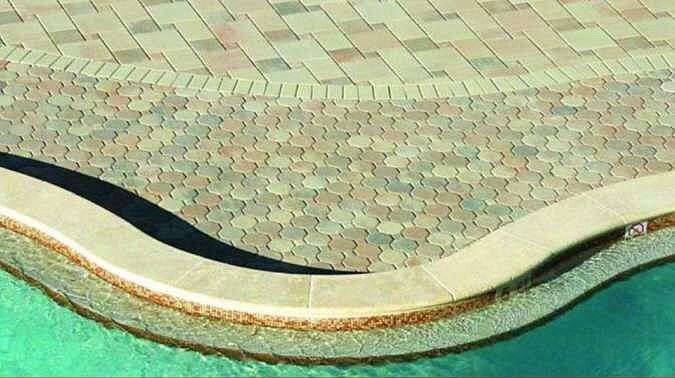 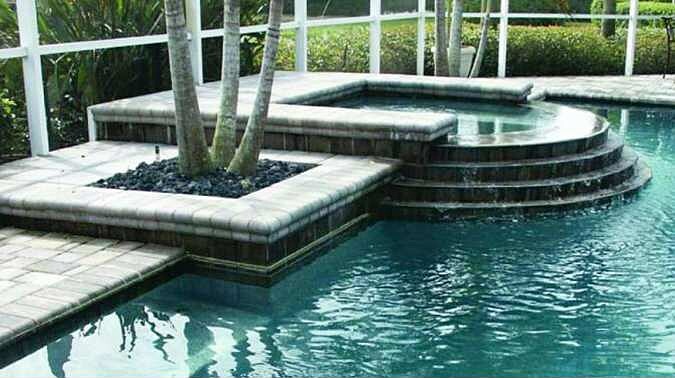 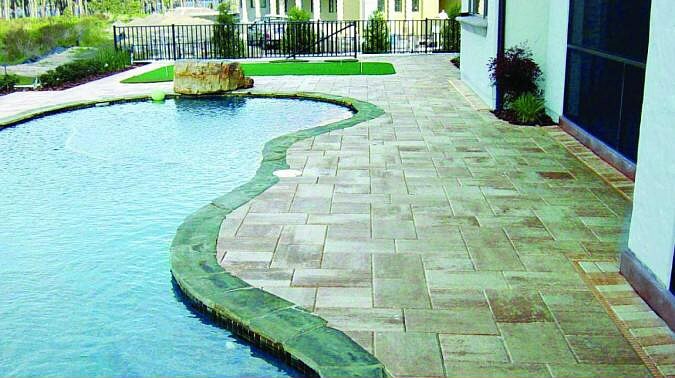 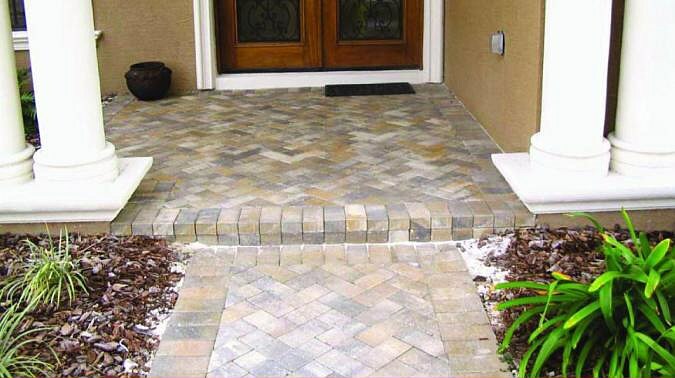 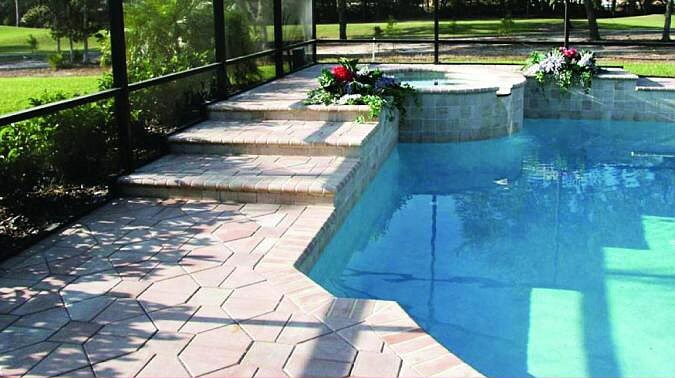 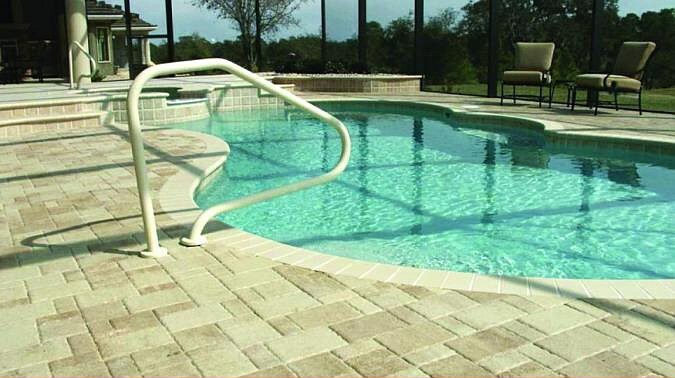 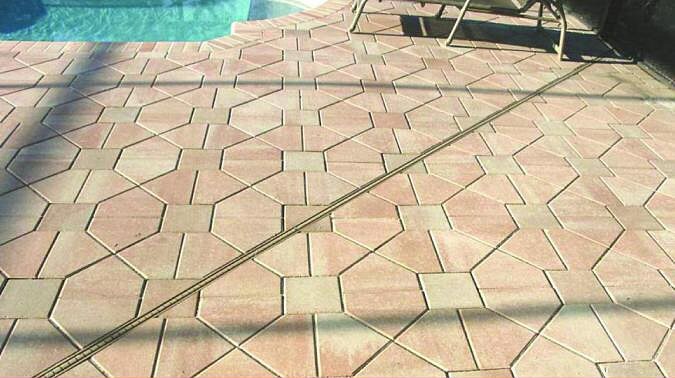 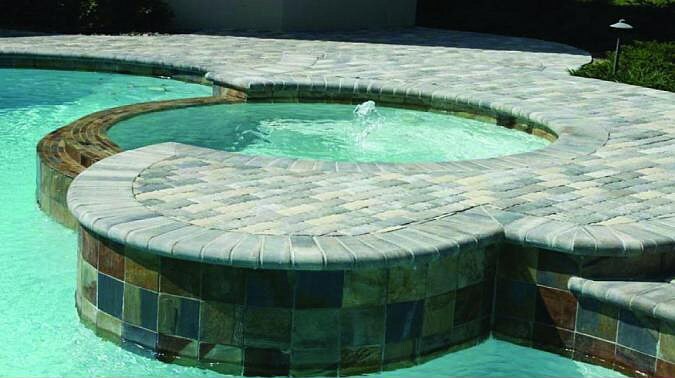 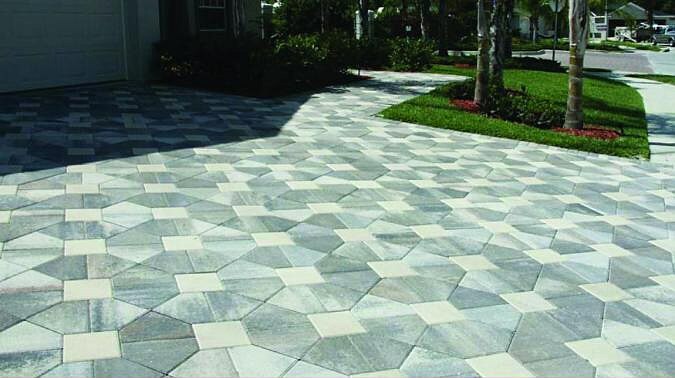 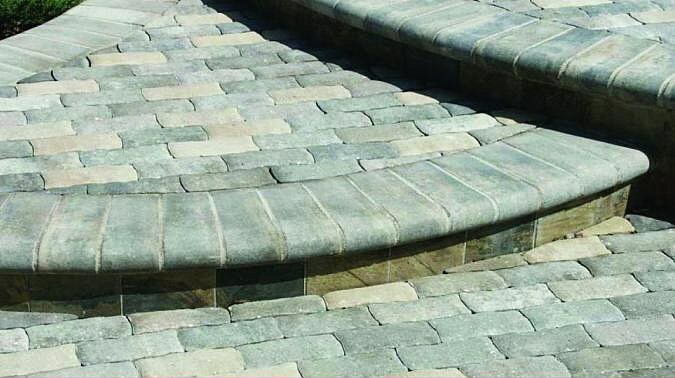 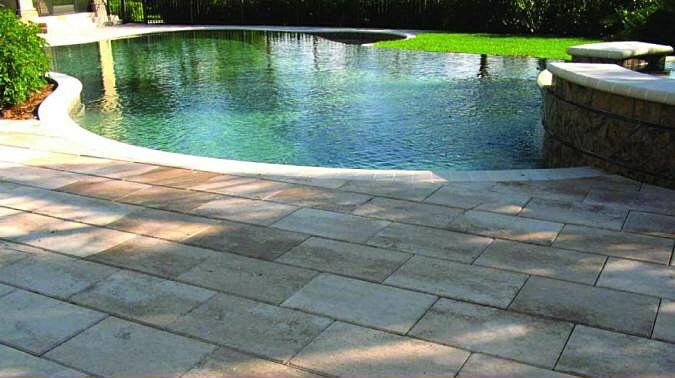 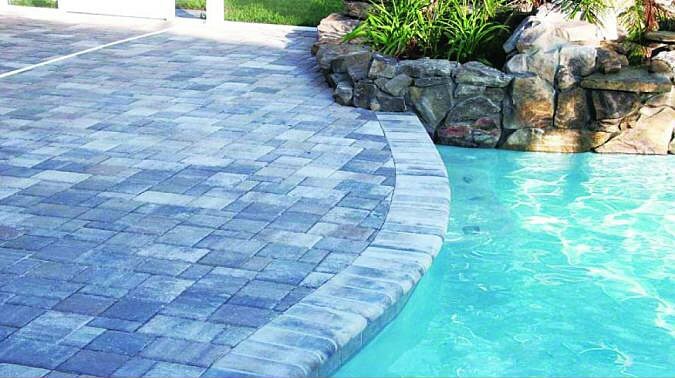 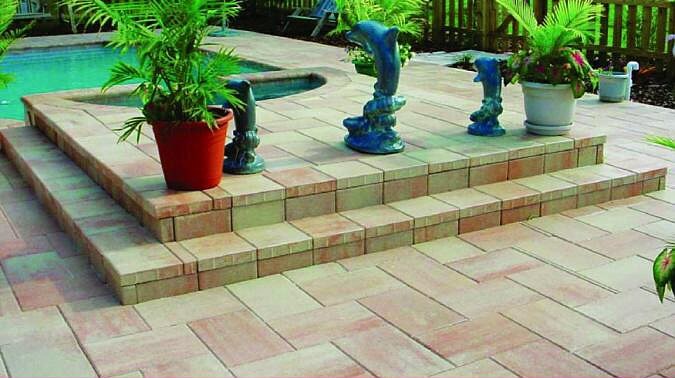 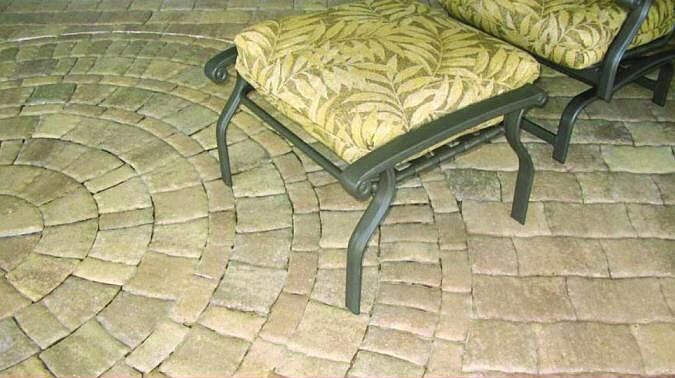 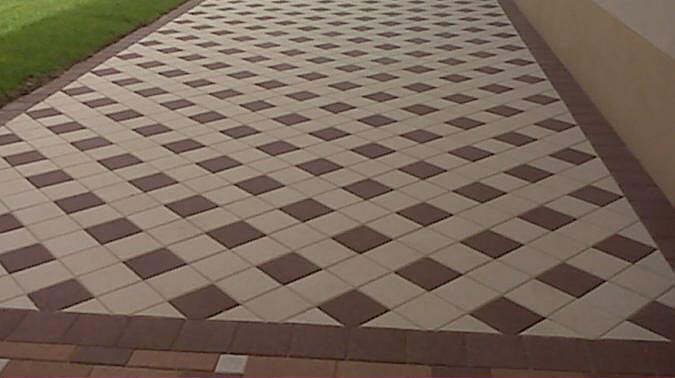 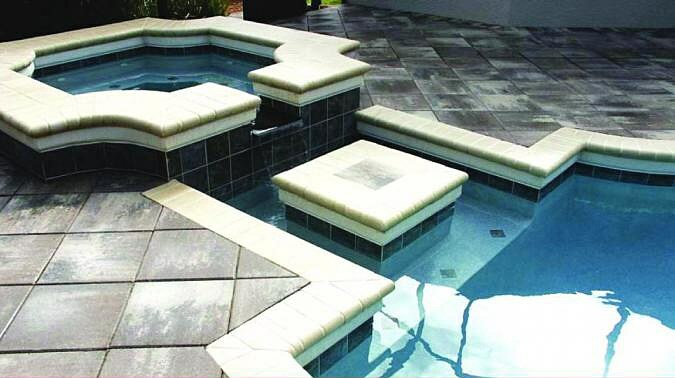 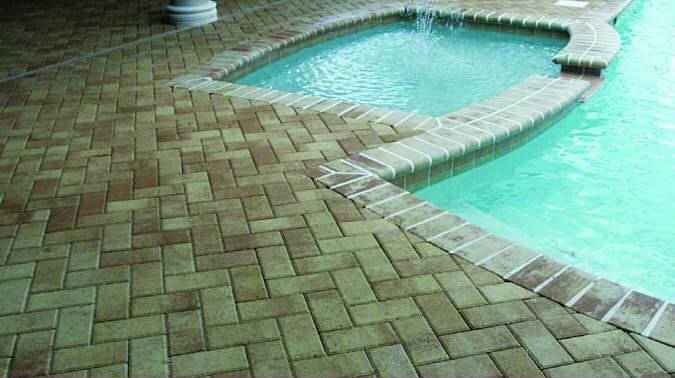 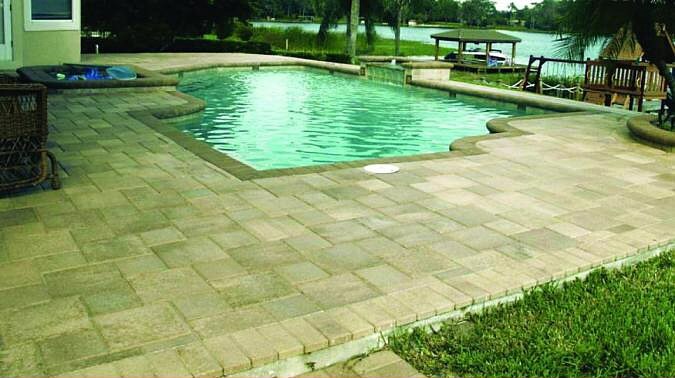 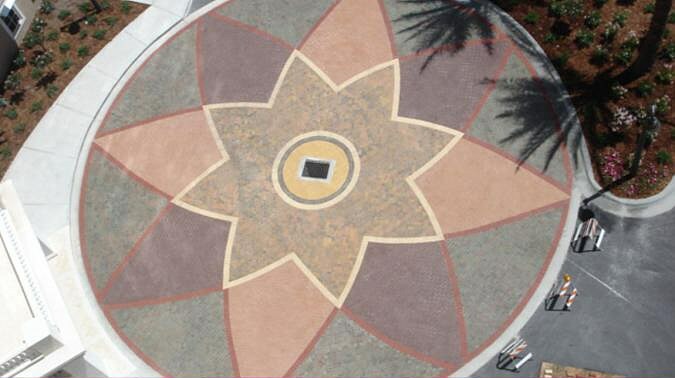 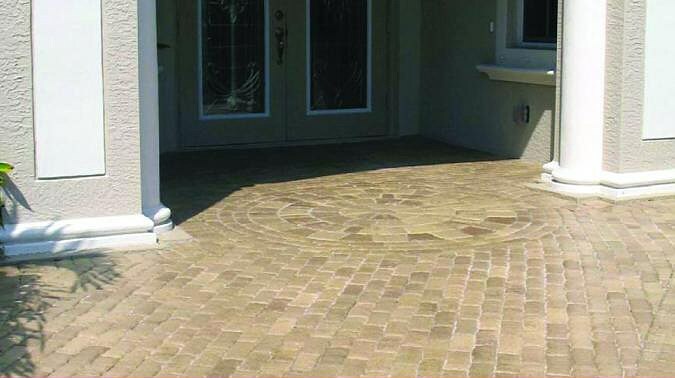 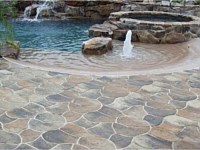 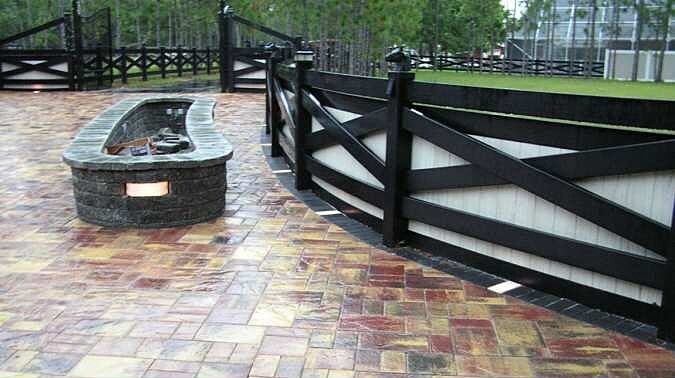 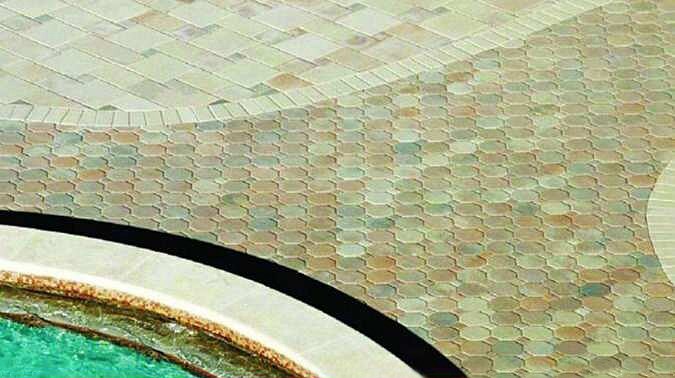 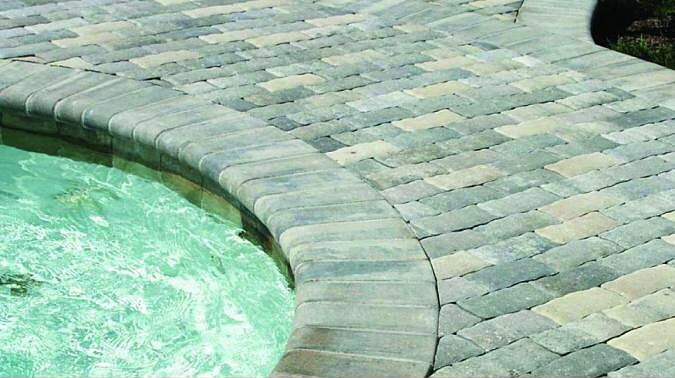 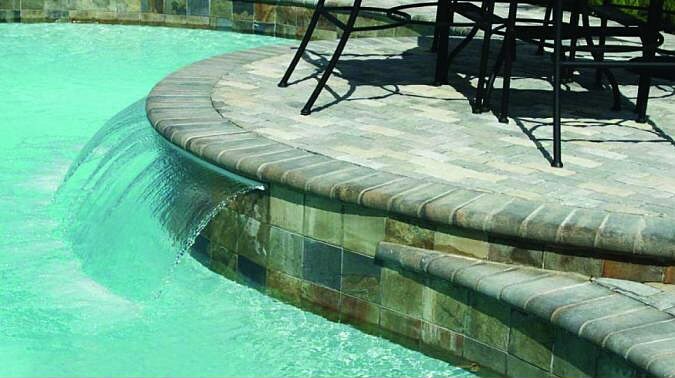 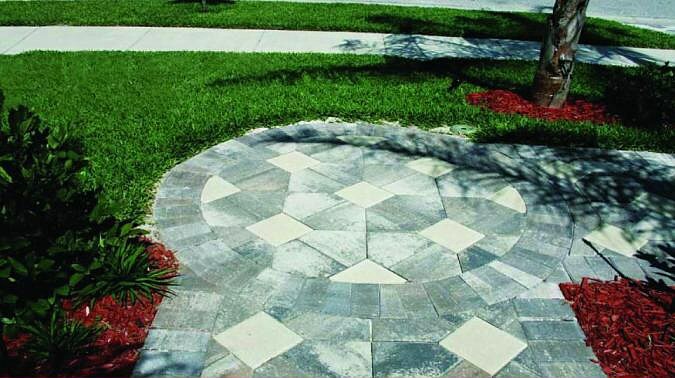 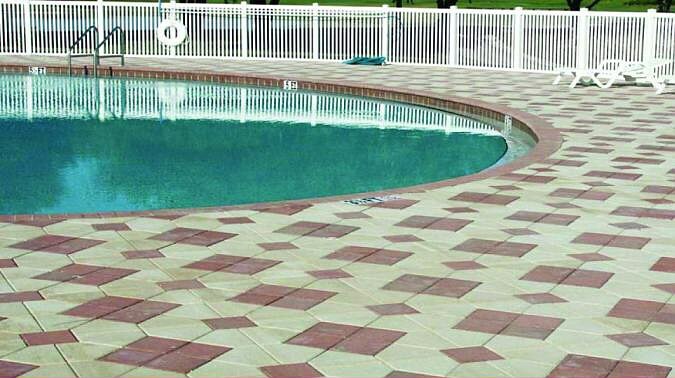 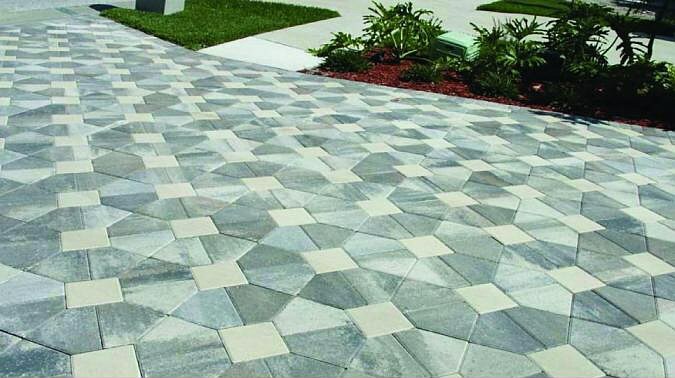 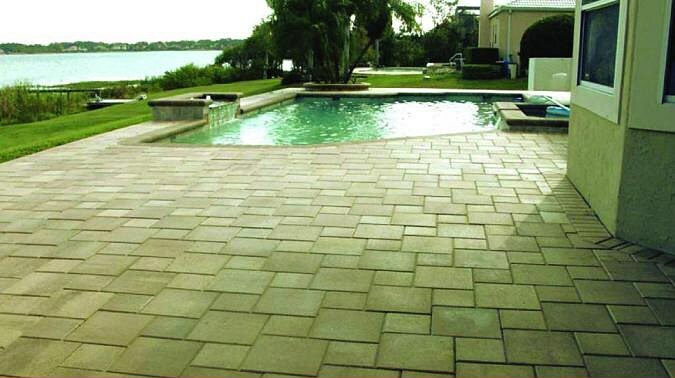 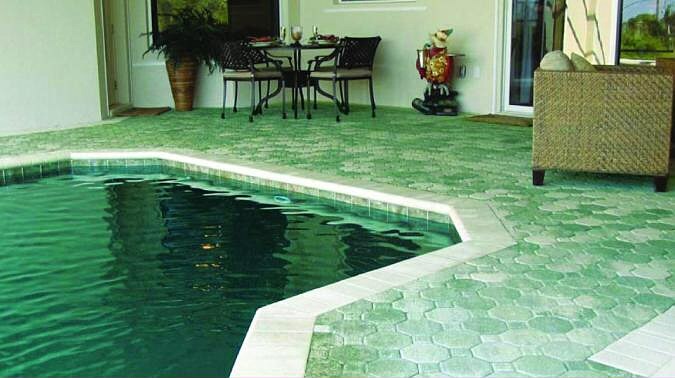 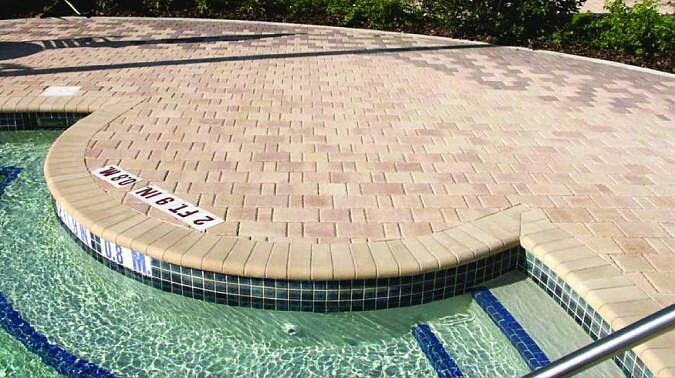 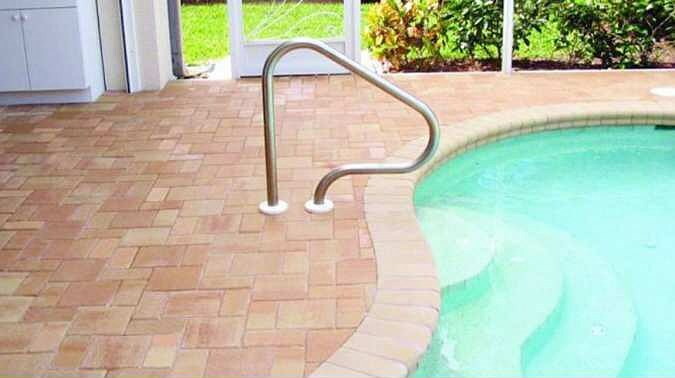 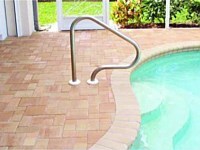 All of these shapes are available in 2-3/8" (60mm) thick pavers as well. 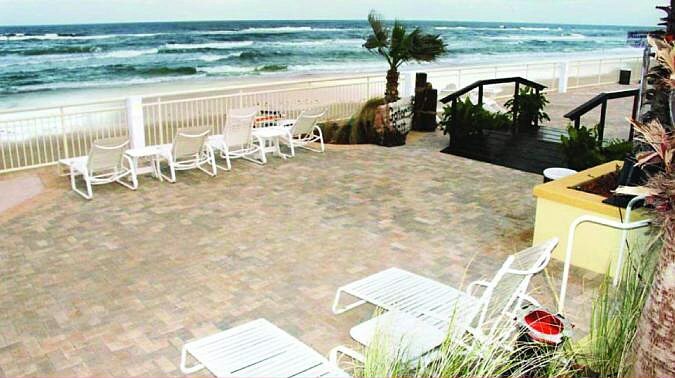 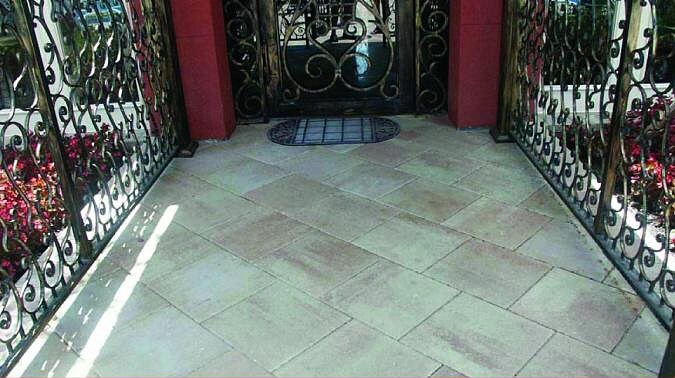 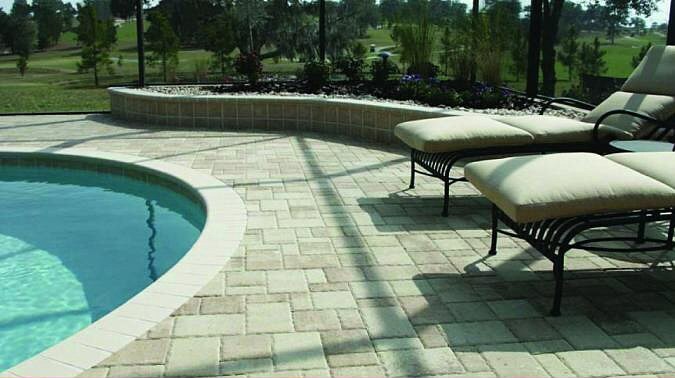 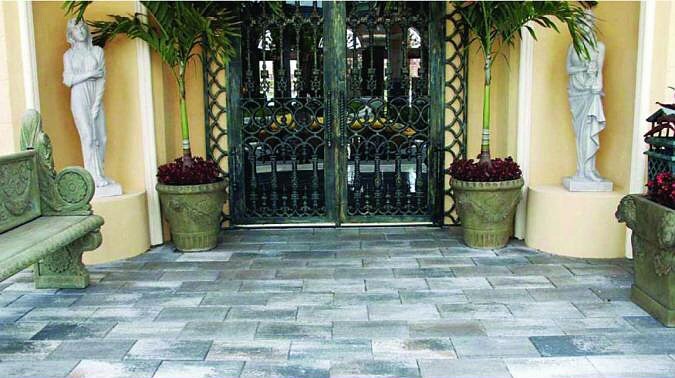 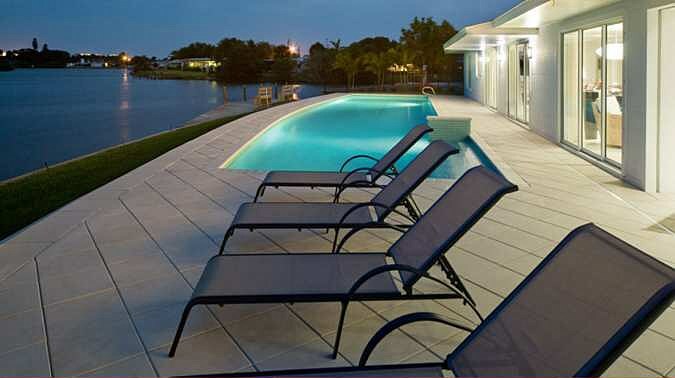 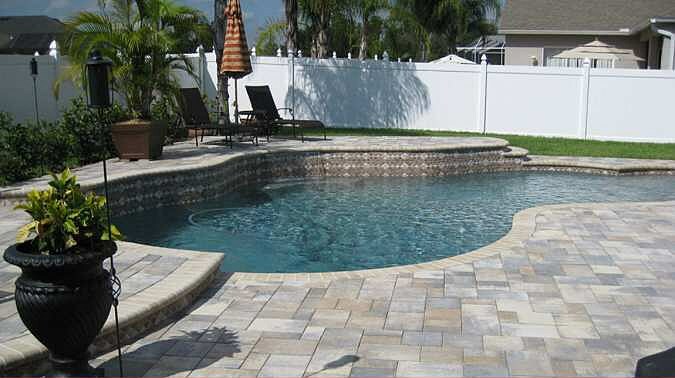 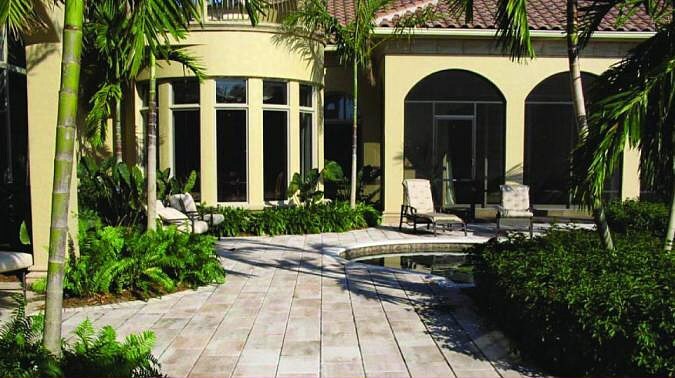 A gorgeous 3 piece set of pavers that are larger than your typical 3 piece combo and are embossed to give the surface a slate like look, available in thick pavers and thin pavers. 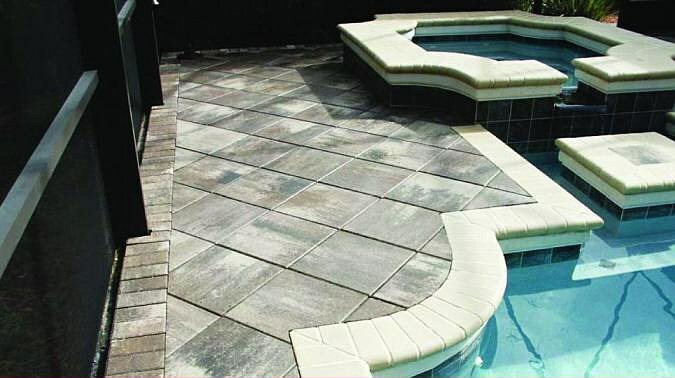 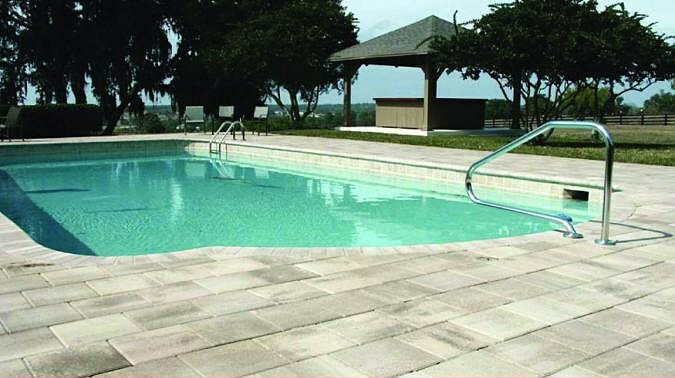 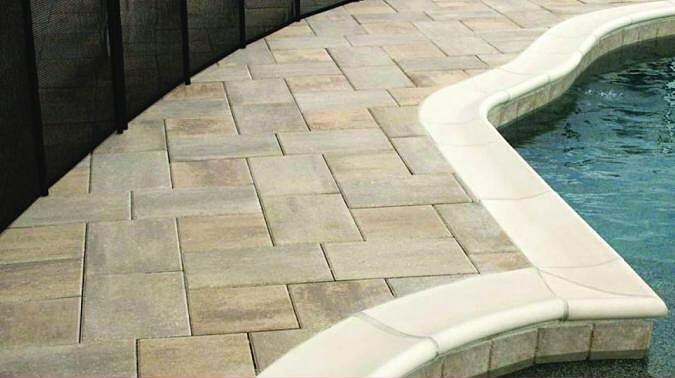 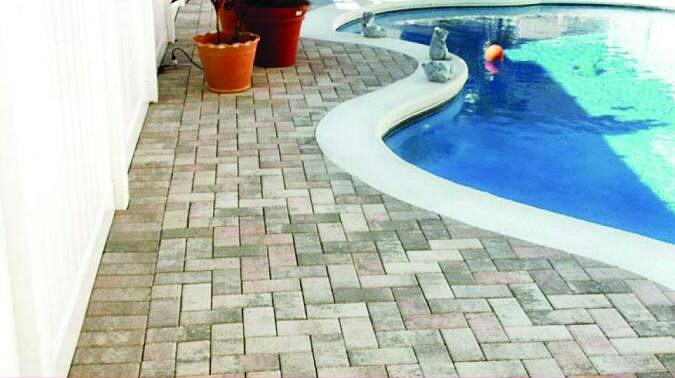 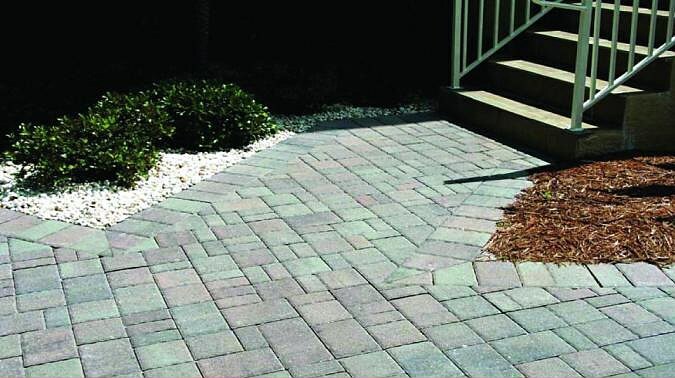 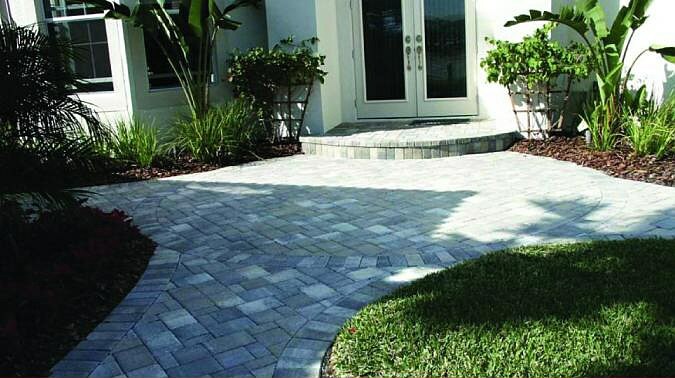 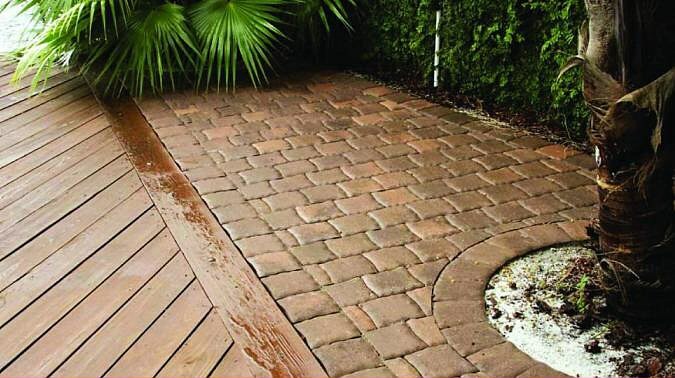 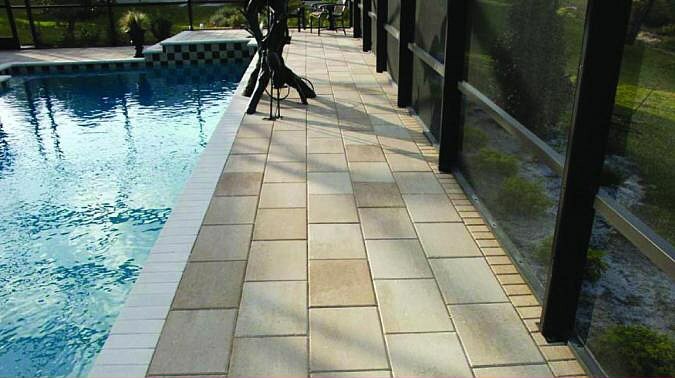 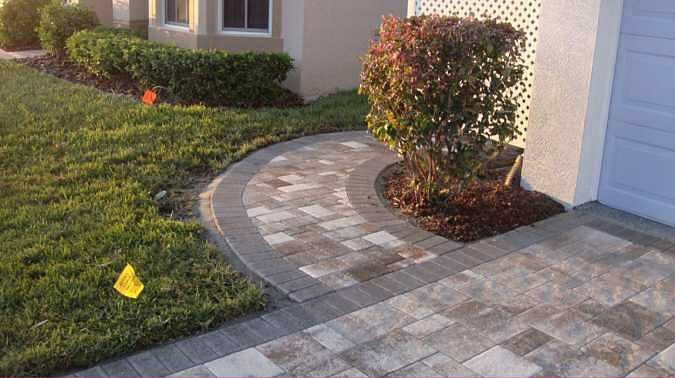 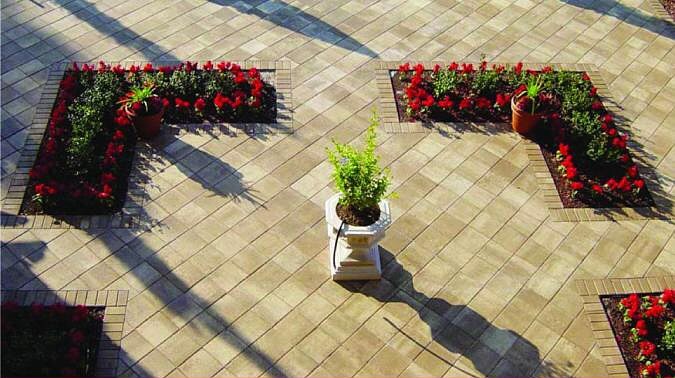 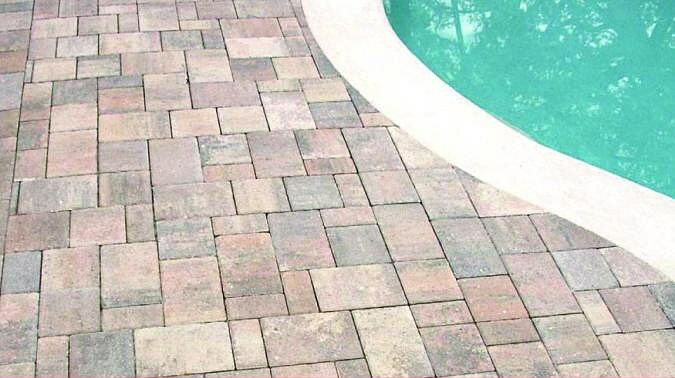 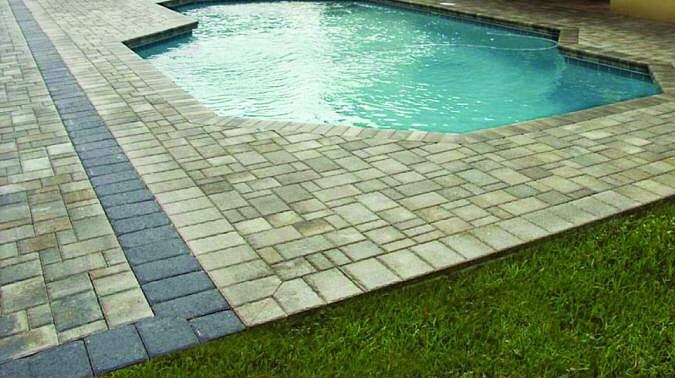 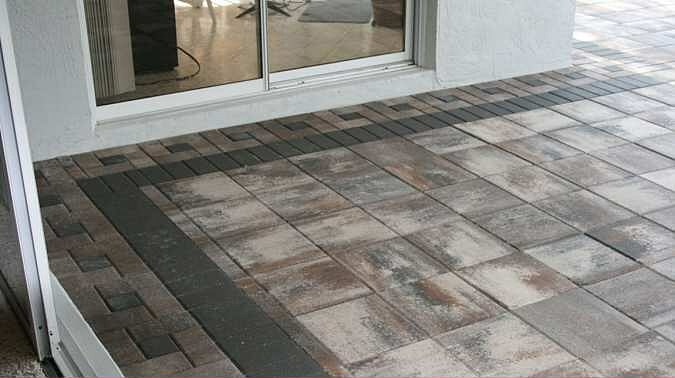 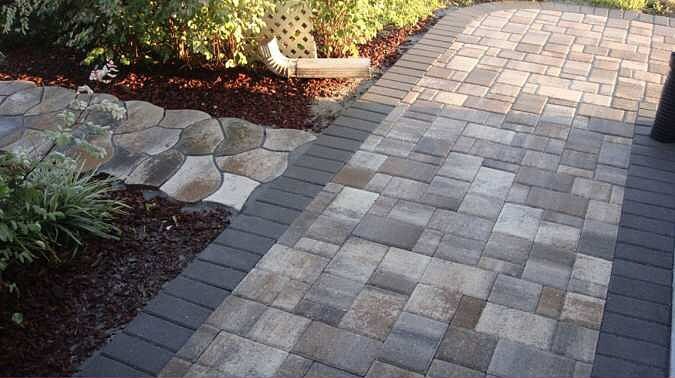 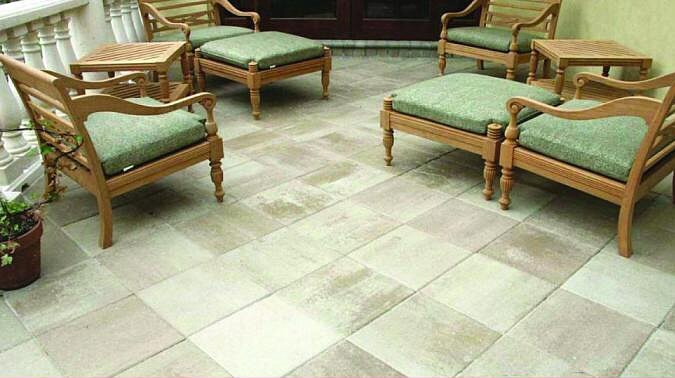 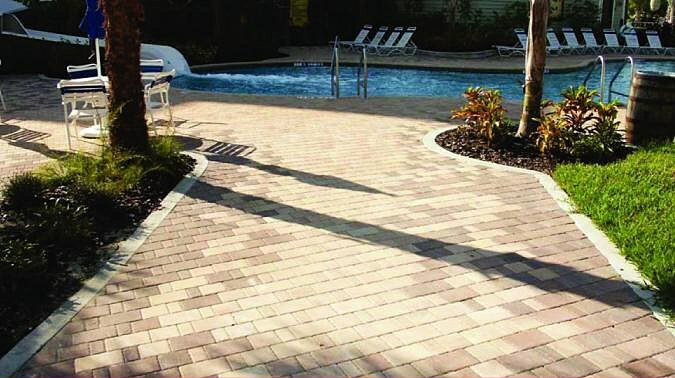 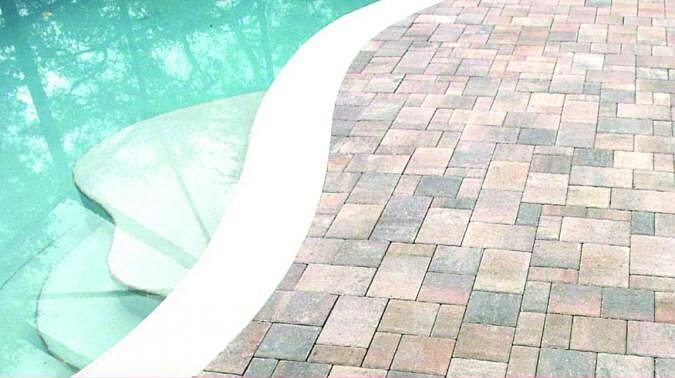 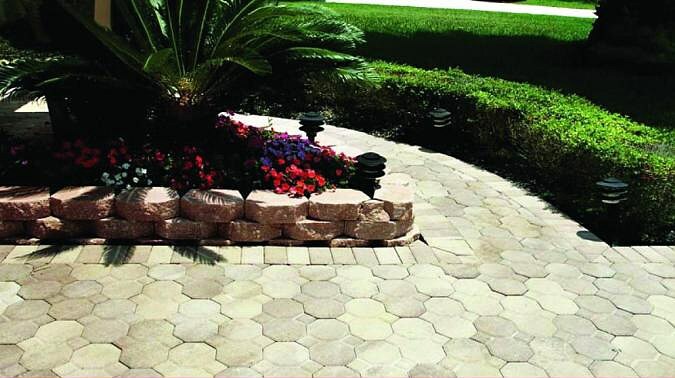 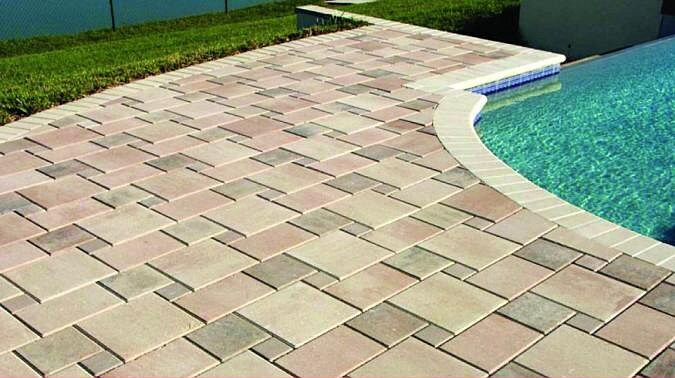 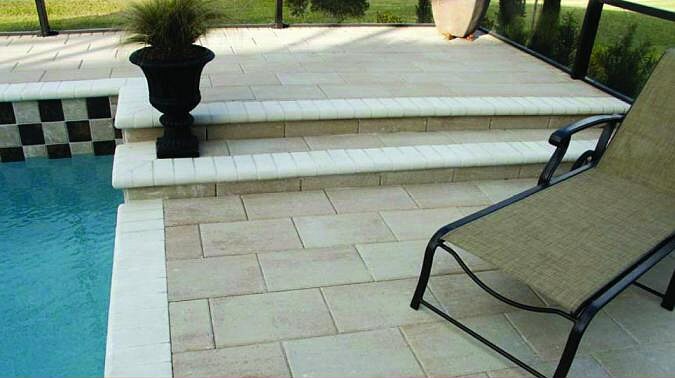 An attractive and smart version of the classic 2 piece paver set with uneven chamfered edges and surface profile that is as easy on your feet and furniture as it is on your eyes. 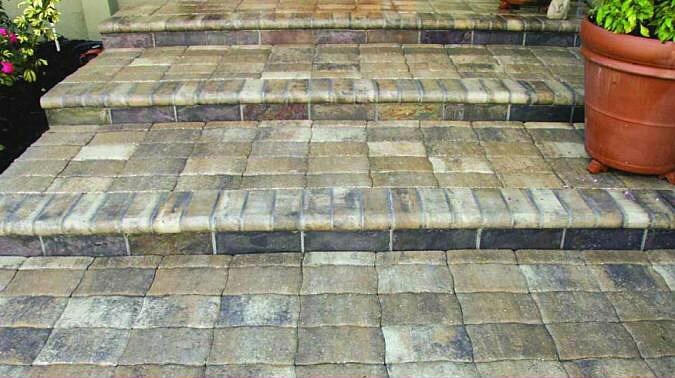 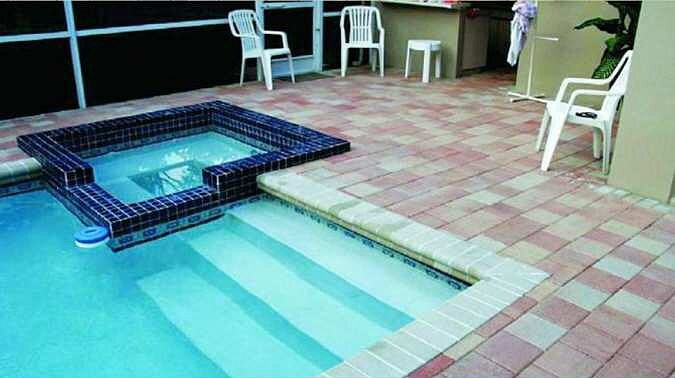 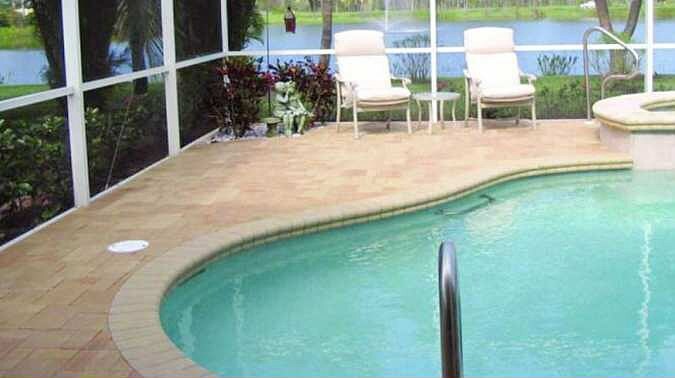 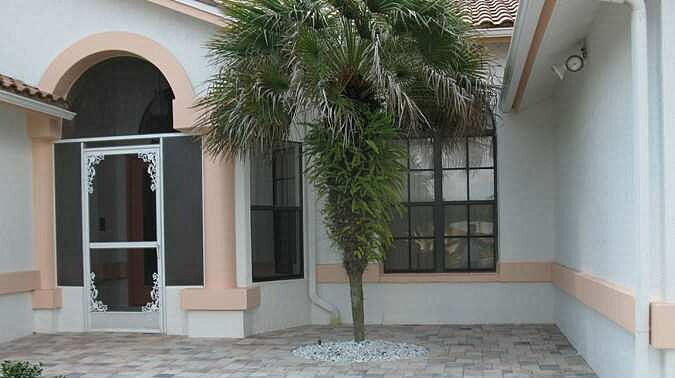 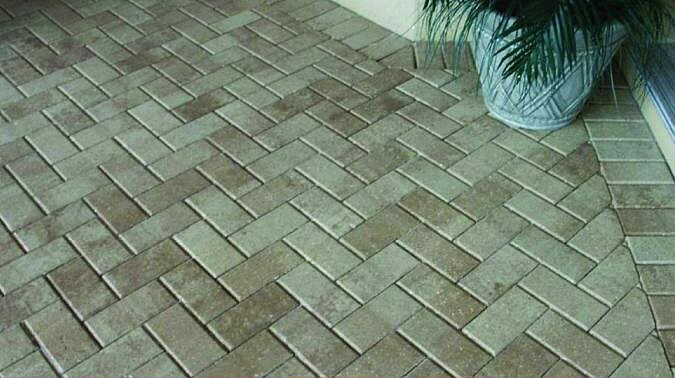 Available in thick pavers and thin pavers. 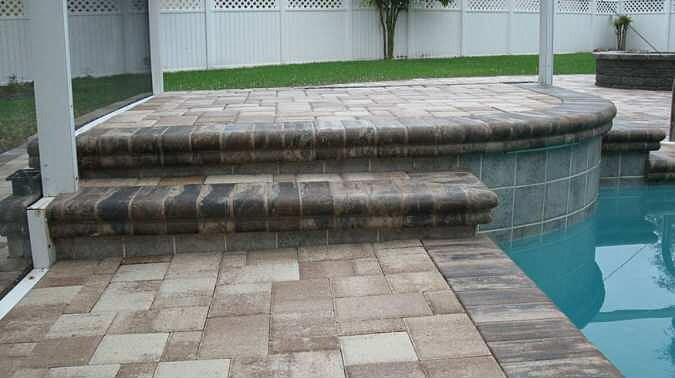 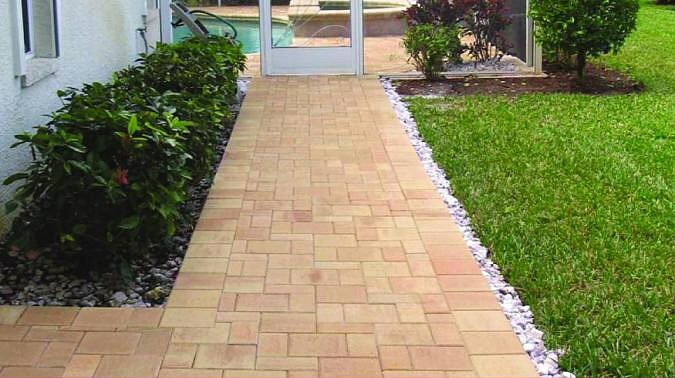 The widest selection of remodel coping products available - choose from 3 attractive styles (1", 2-3/4", and 4" overlap lengths) and 23 beautiful colors (solids and blends). 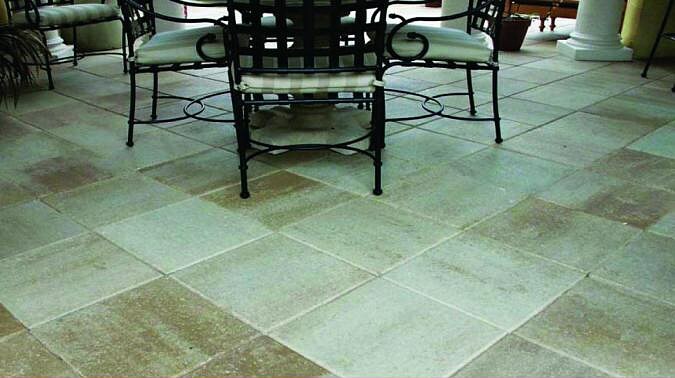 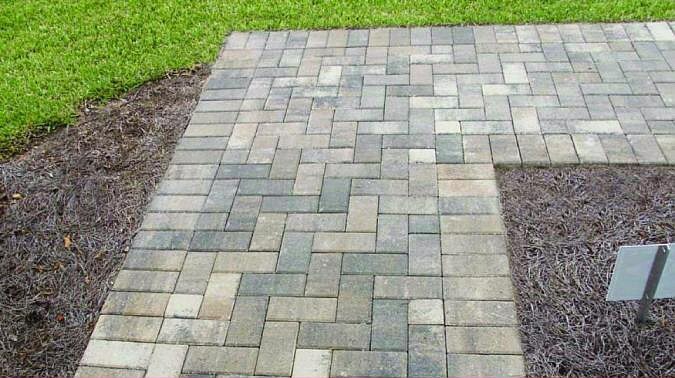 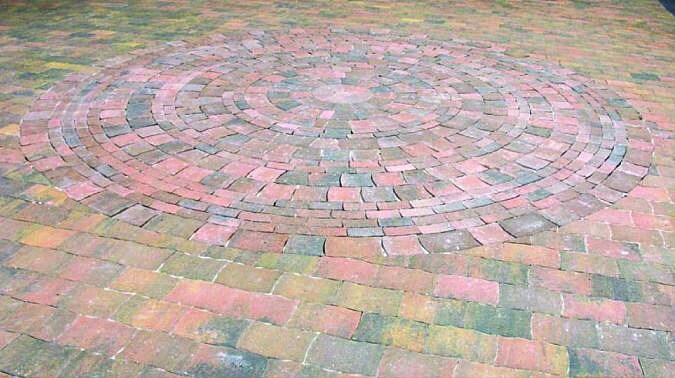 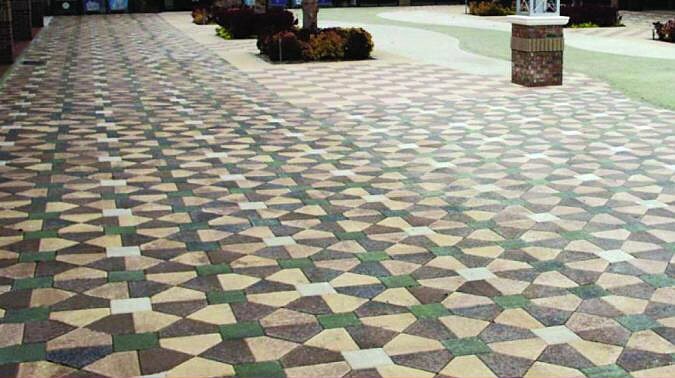 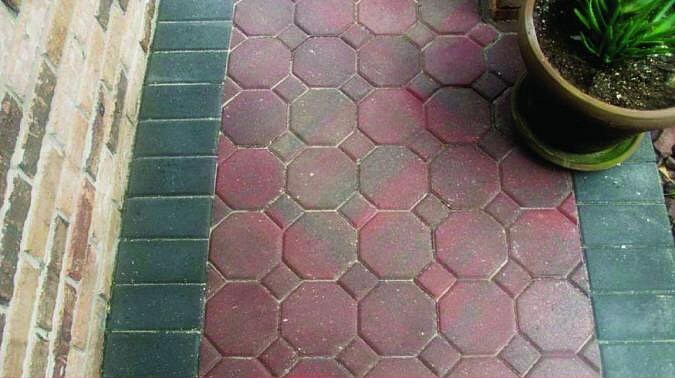 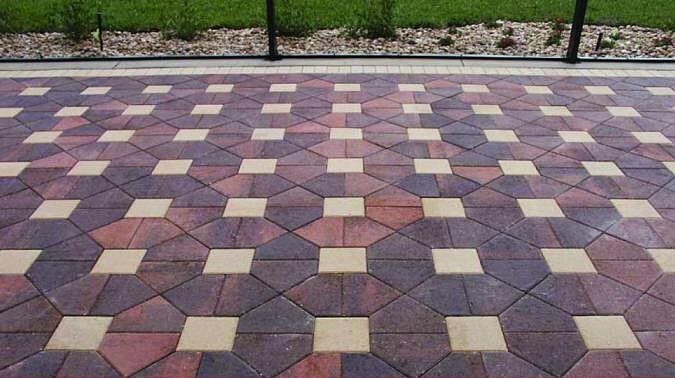 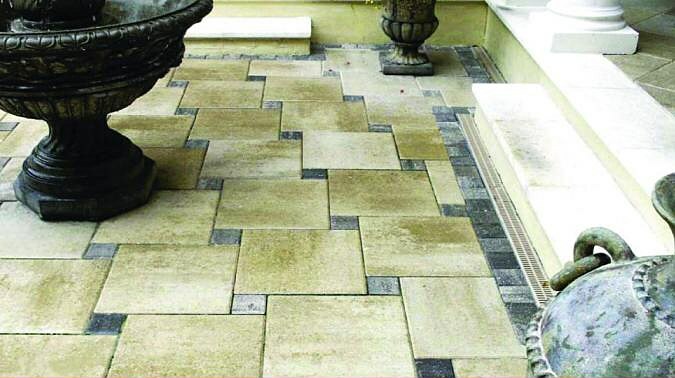 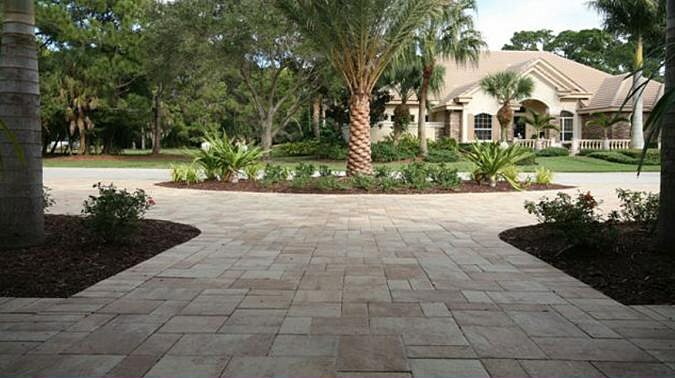 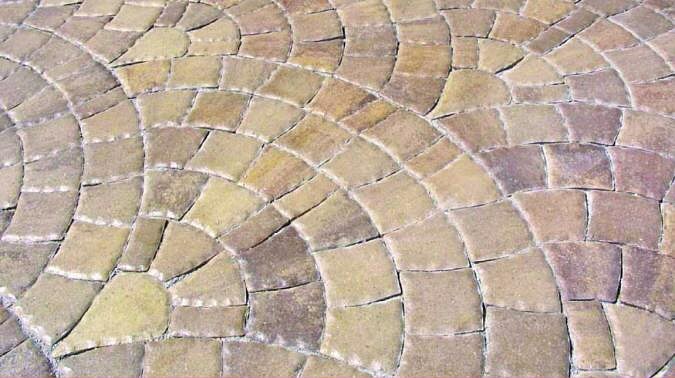 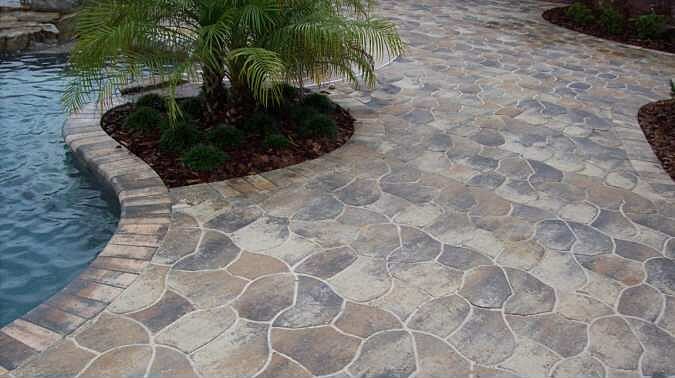 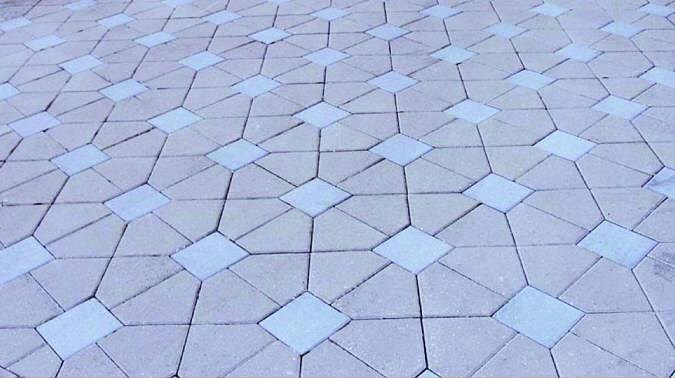 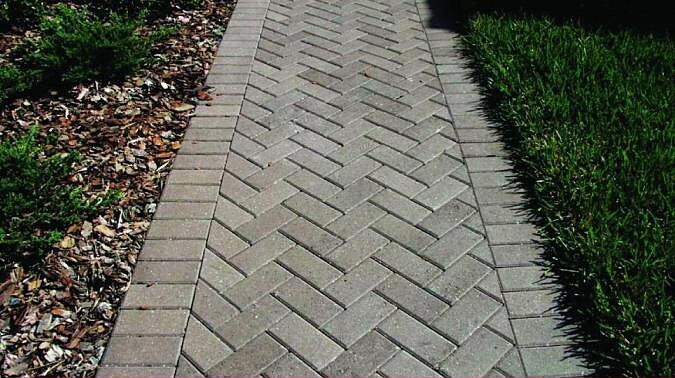 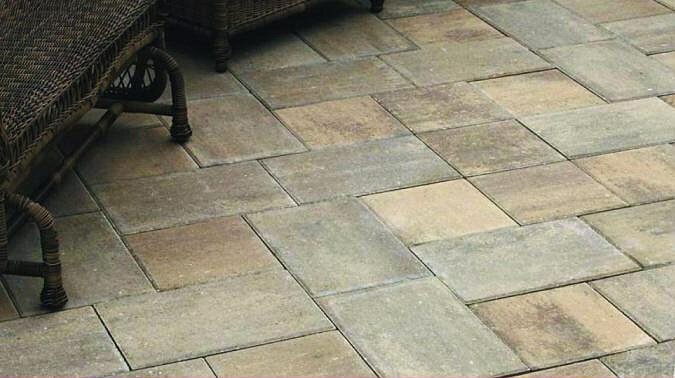 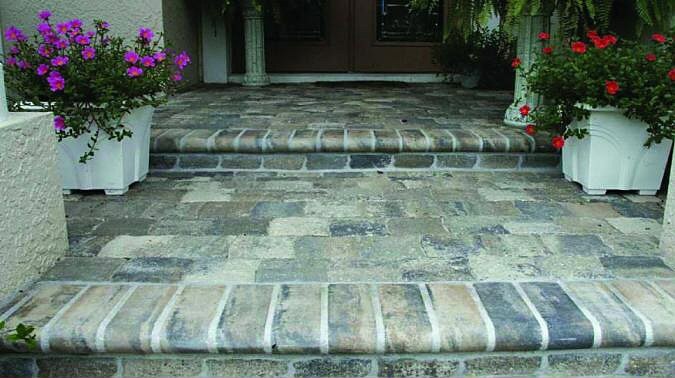 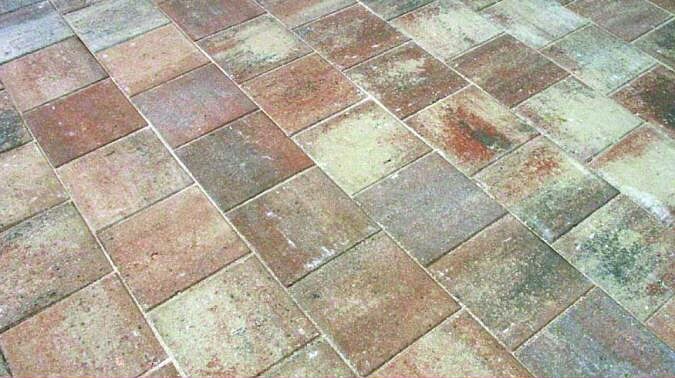 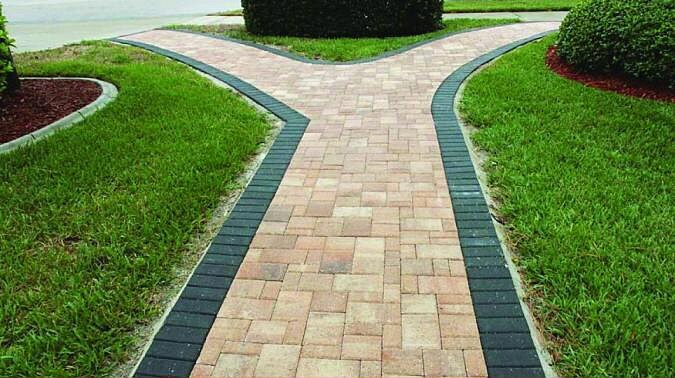 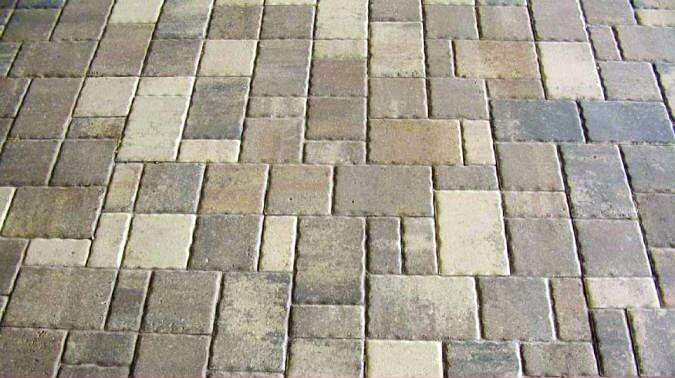 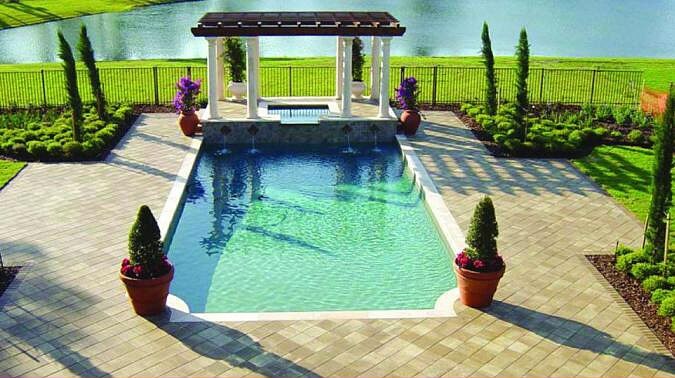 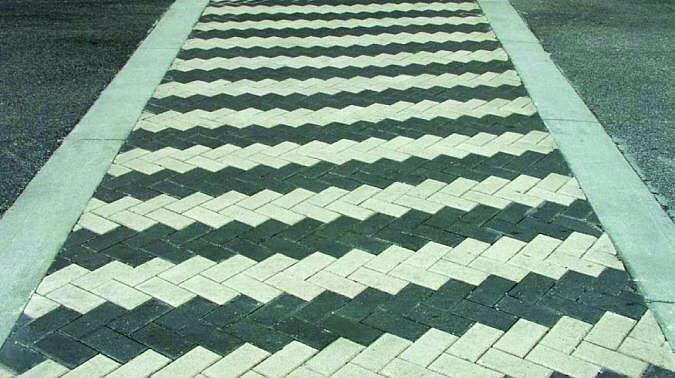 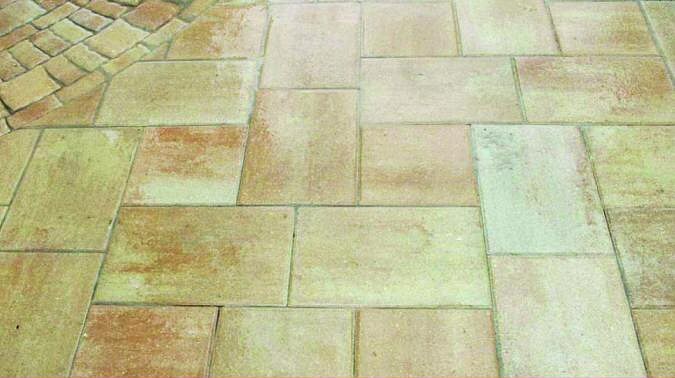 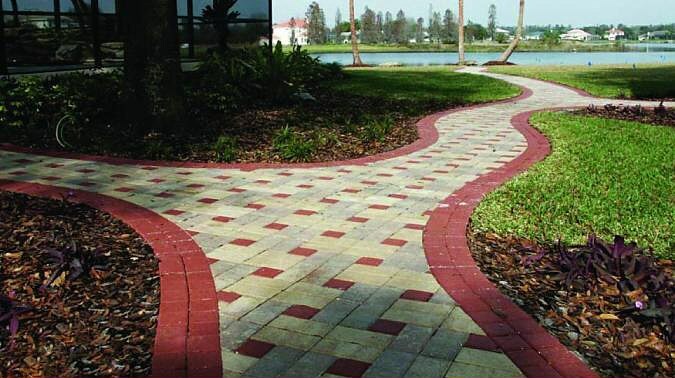 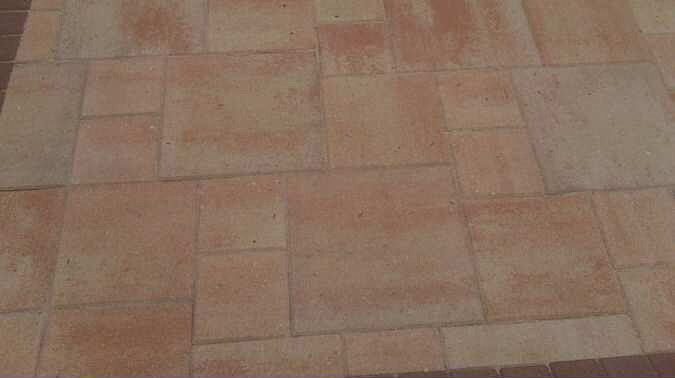 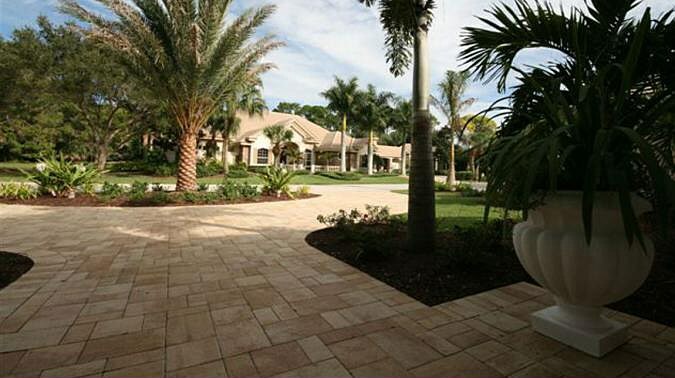 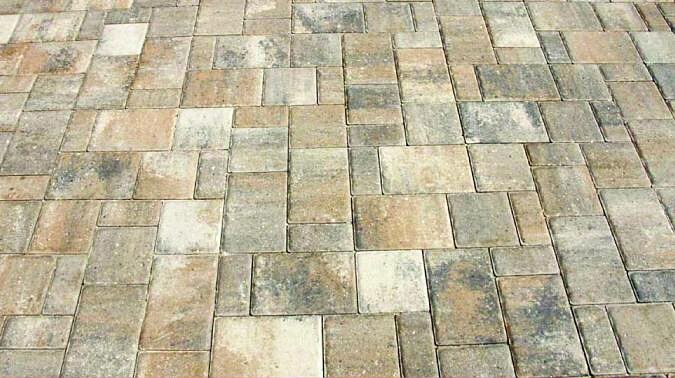 The perfect paver for a random natural stone looking installation. 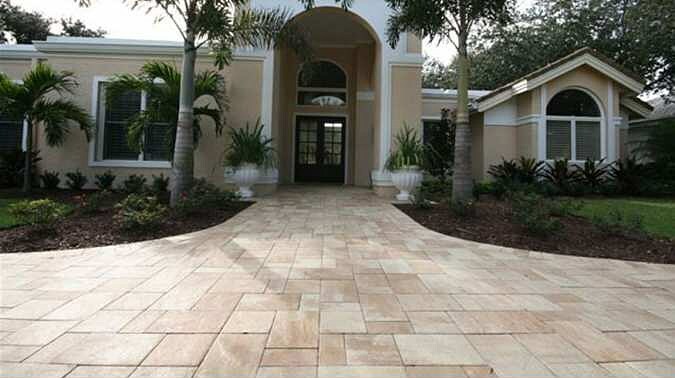 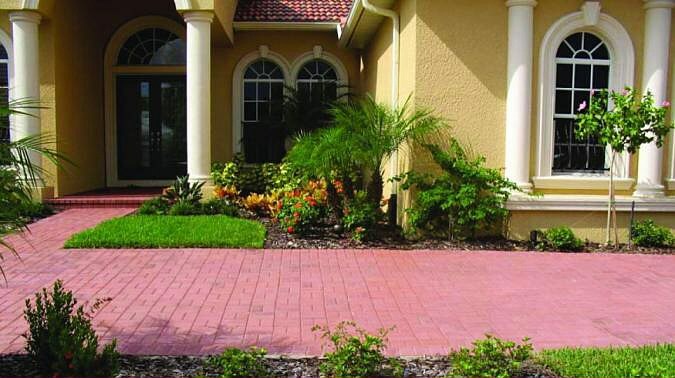 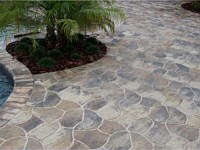 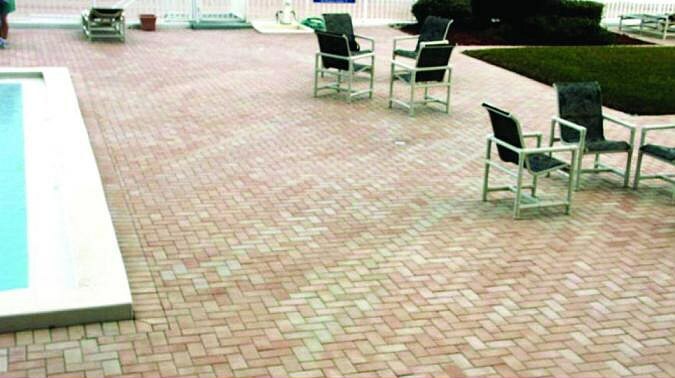 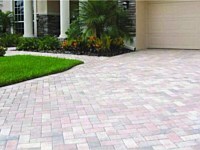 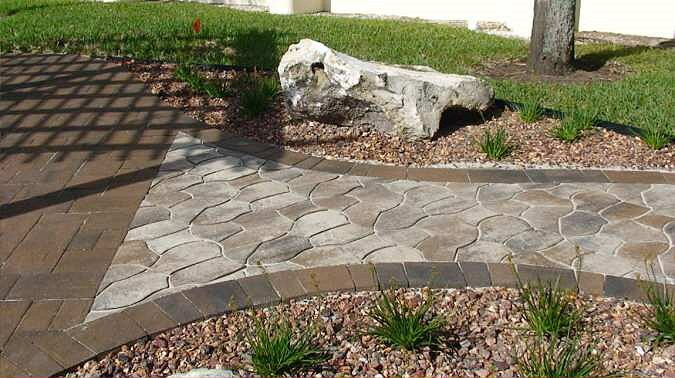 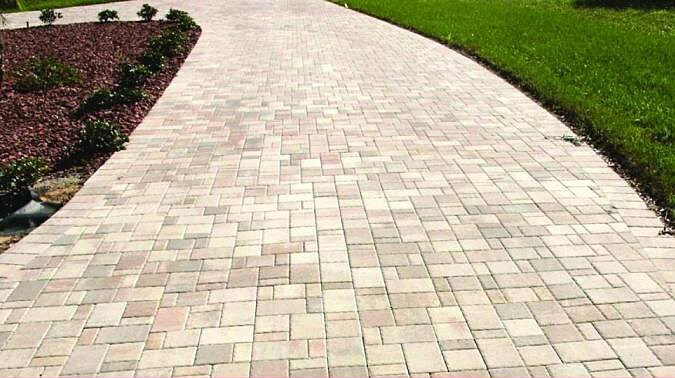 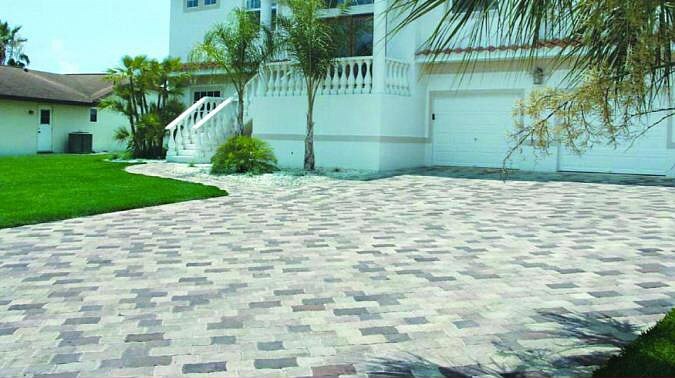 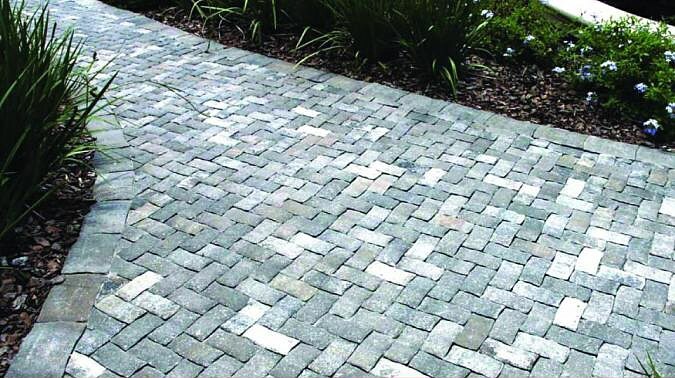 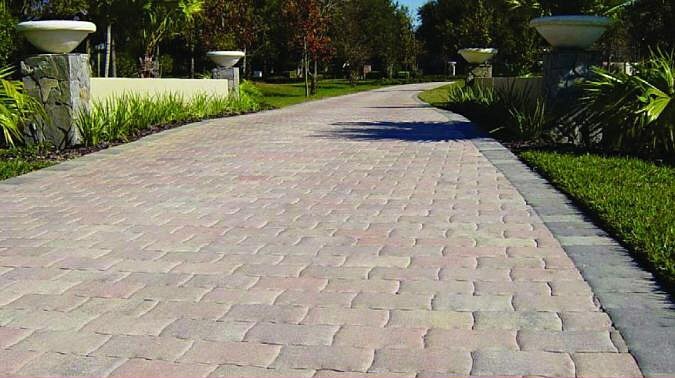 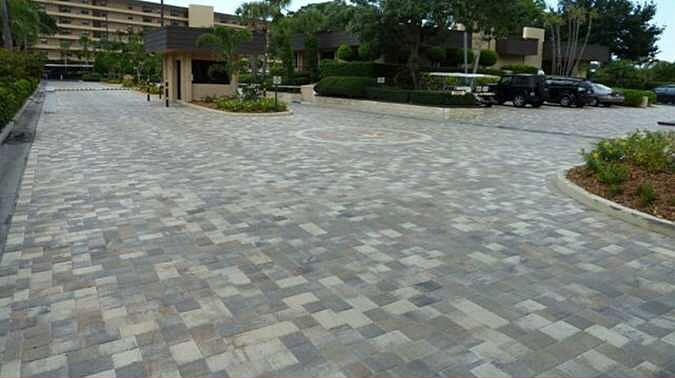 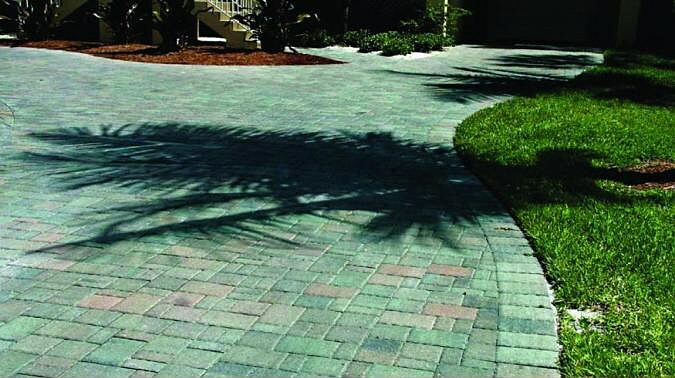 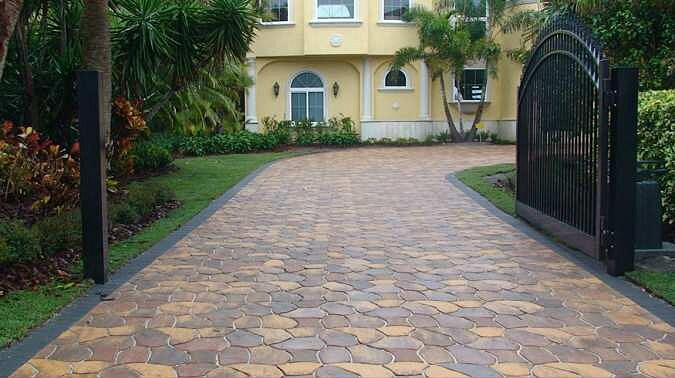 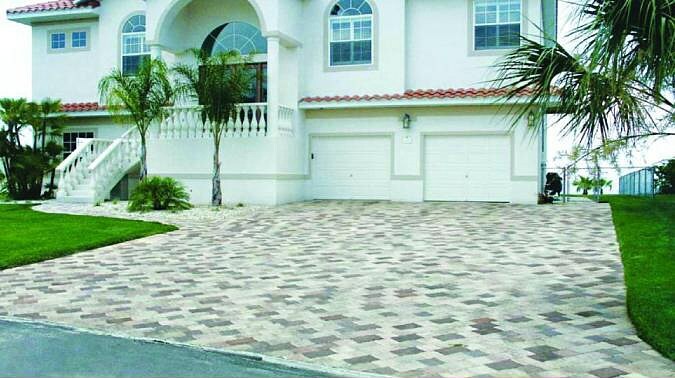 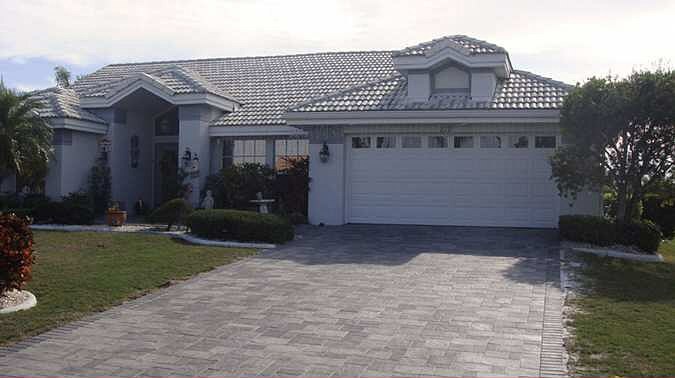 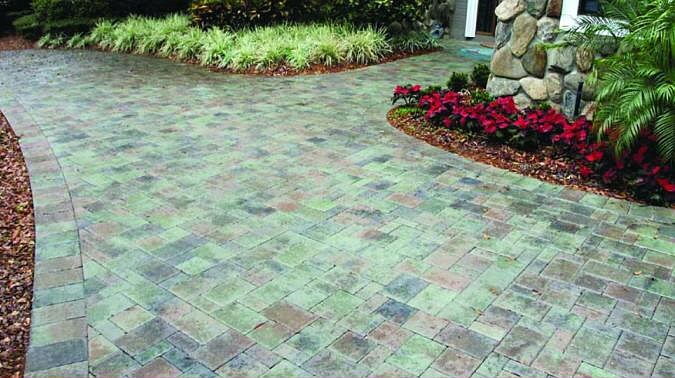 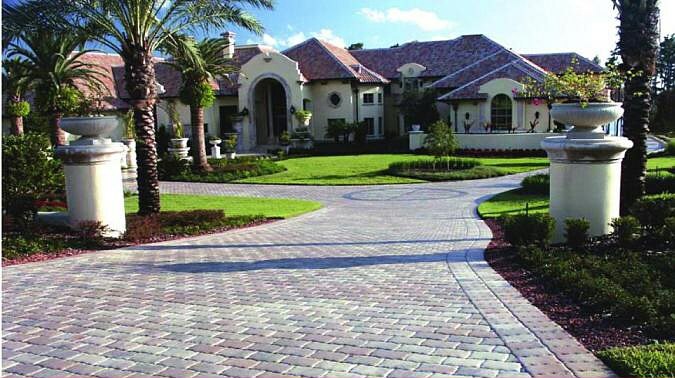 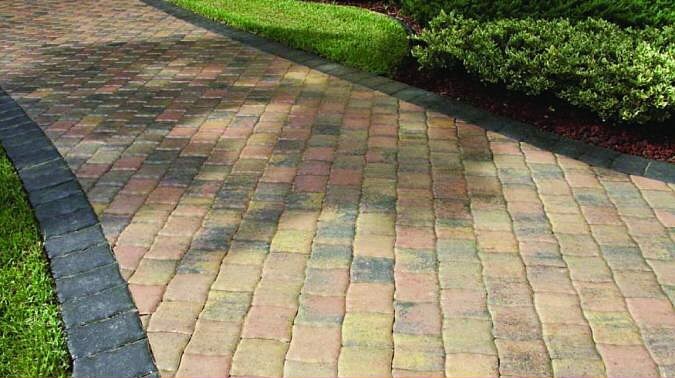 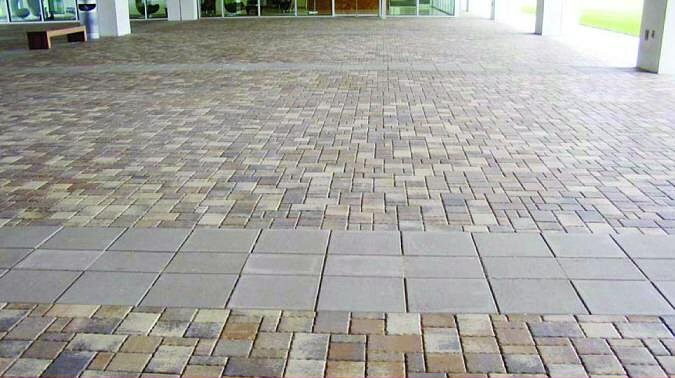 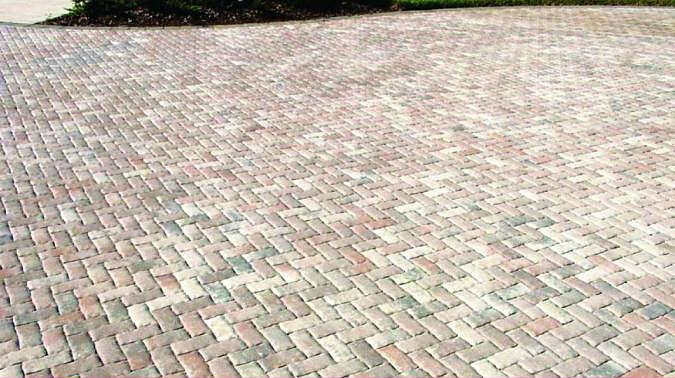 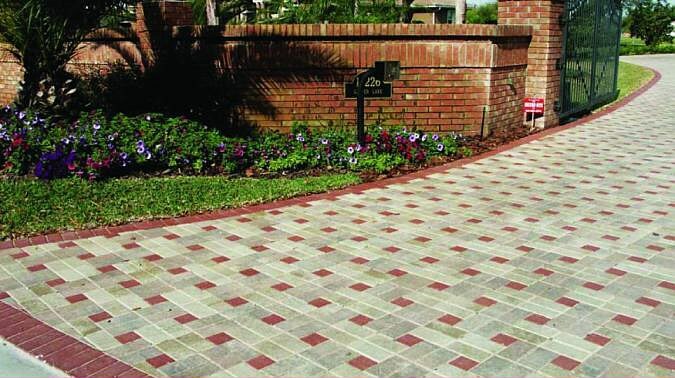 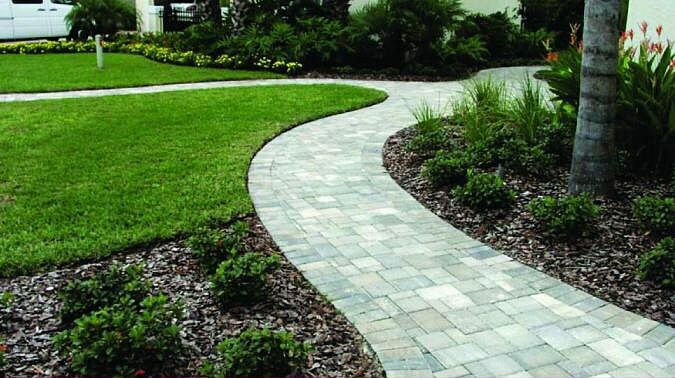 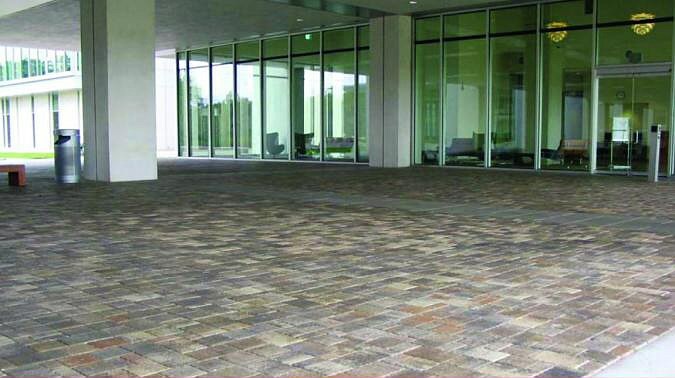 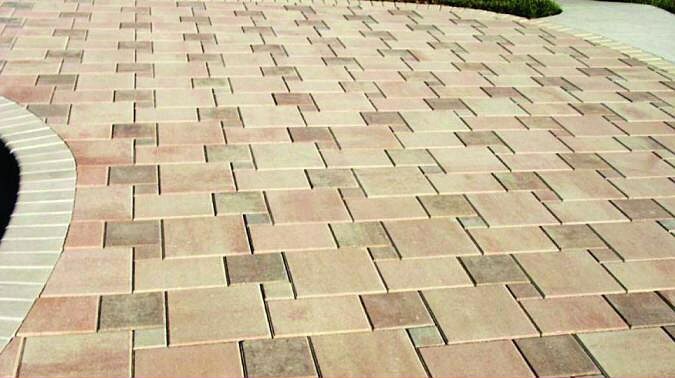 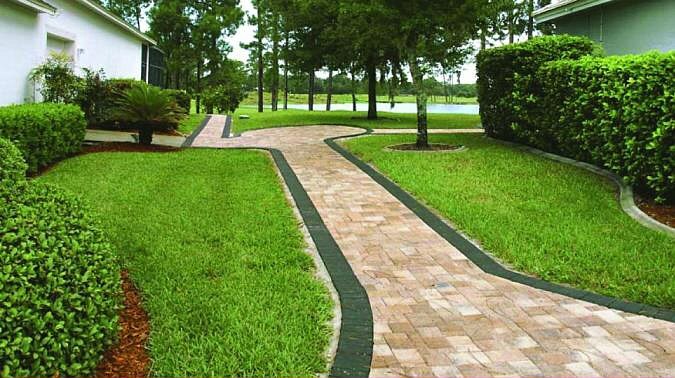 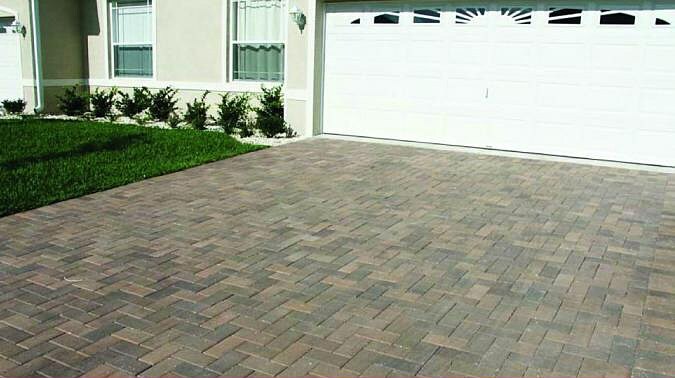 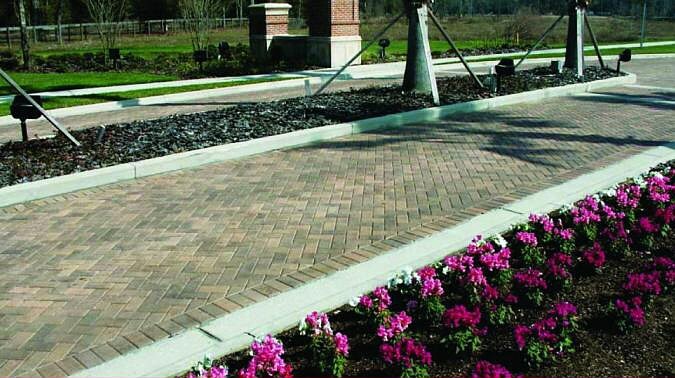 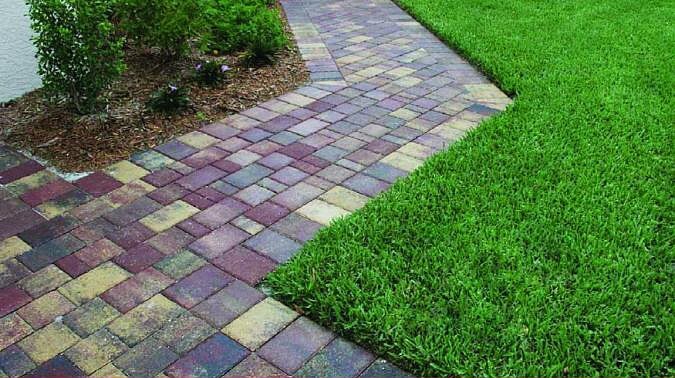 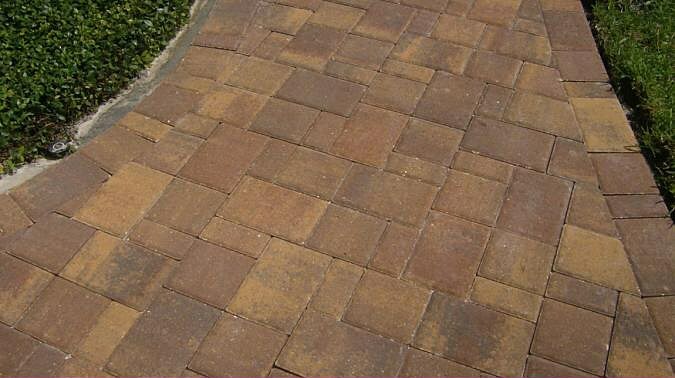 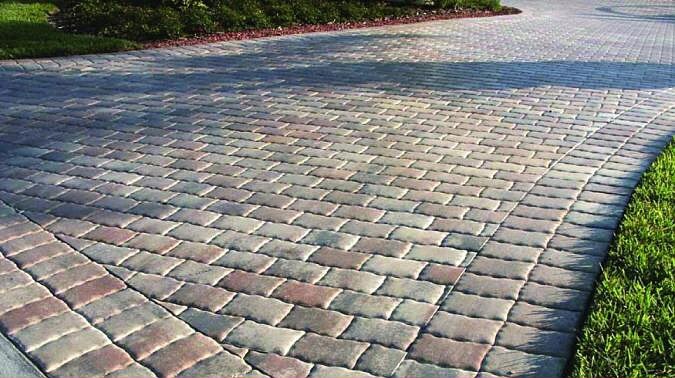 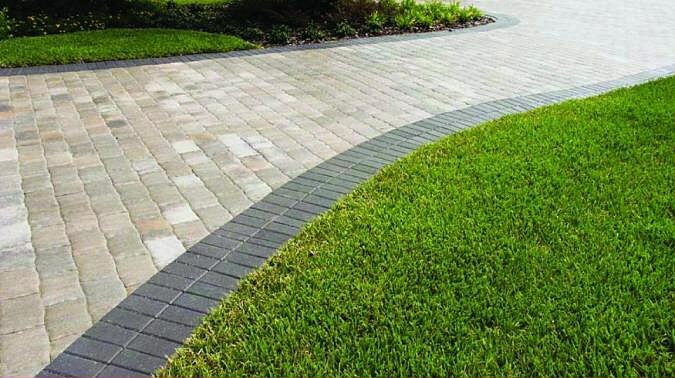 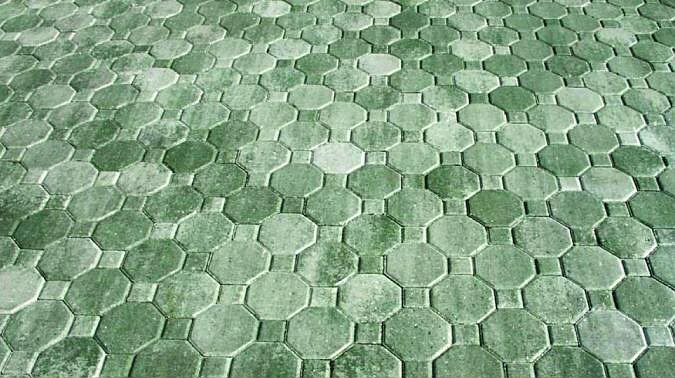 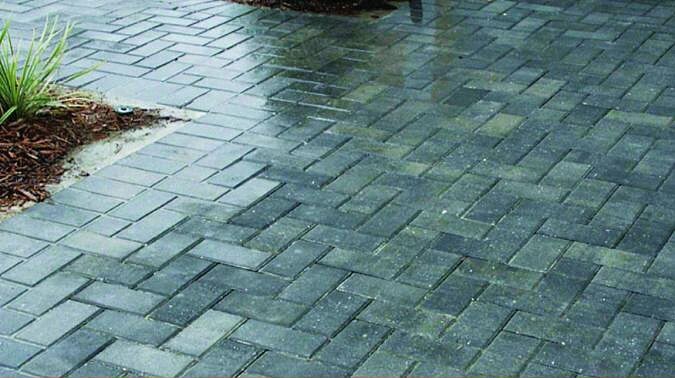 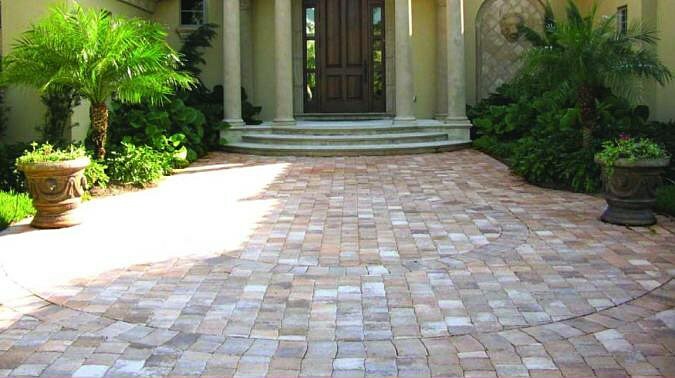 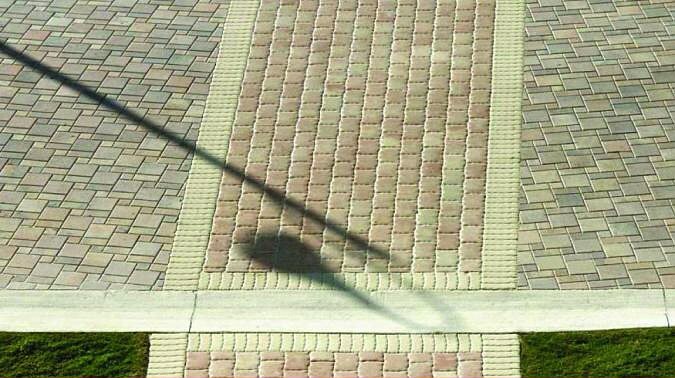 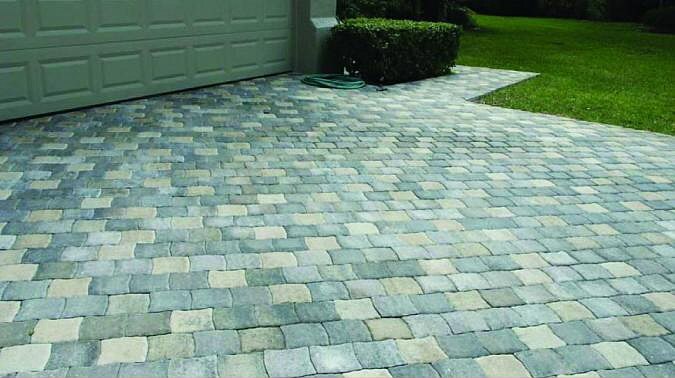 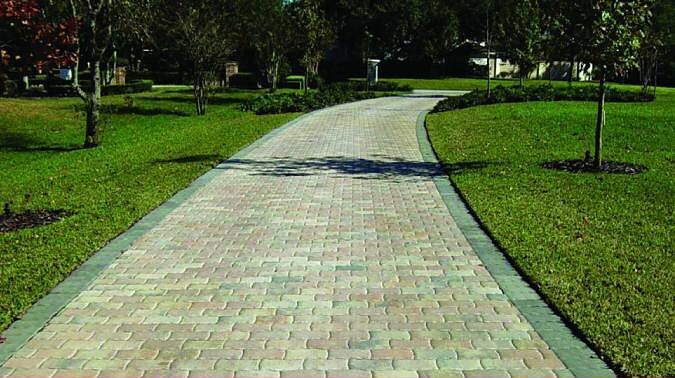 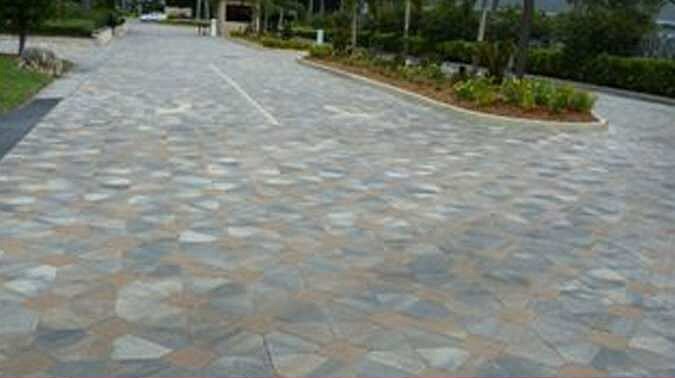 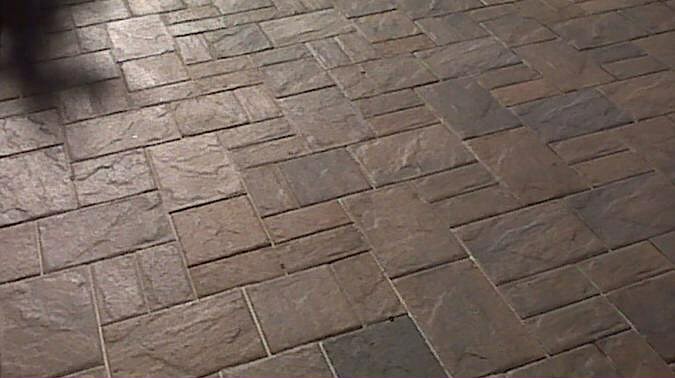 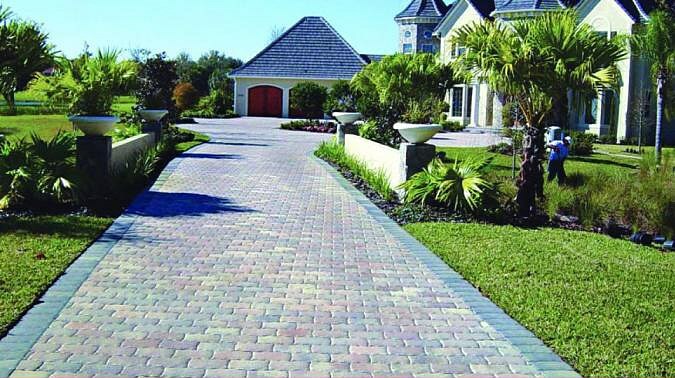 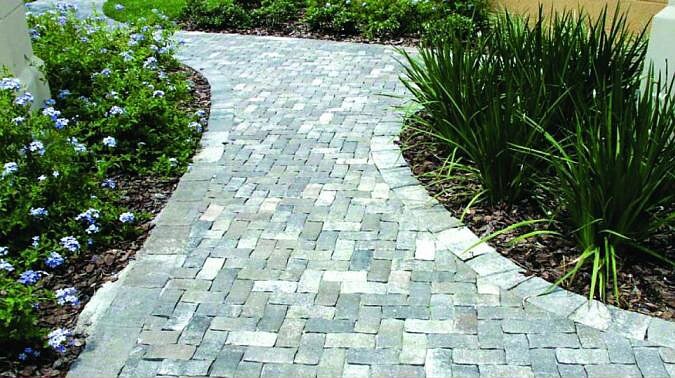 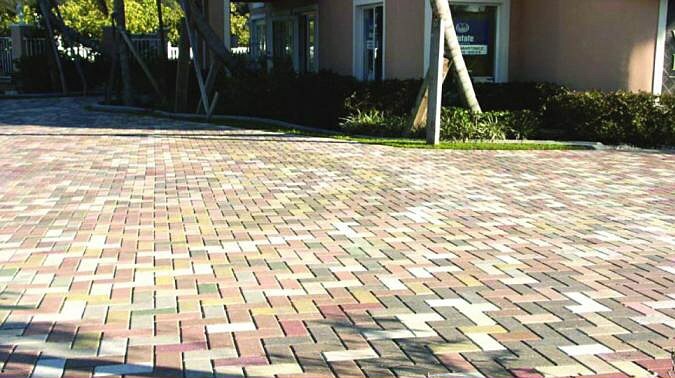 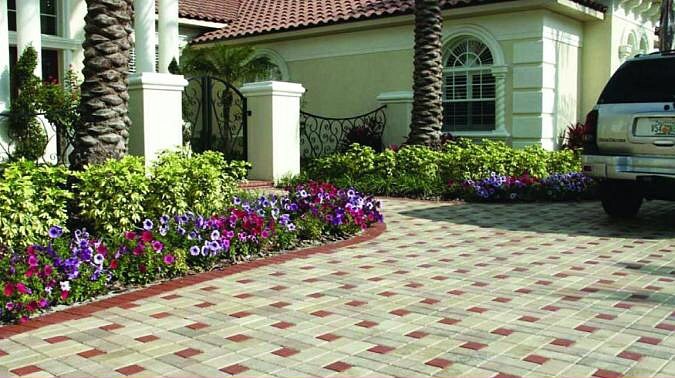 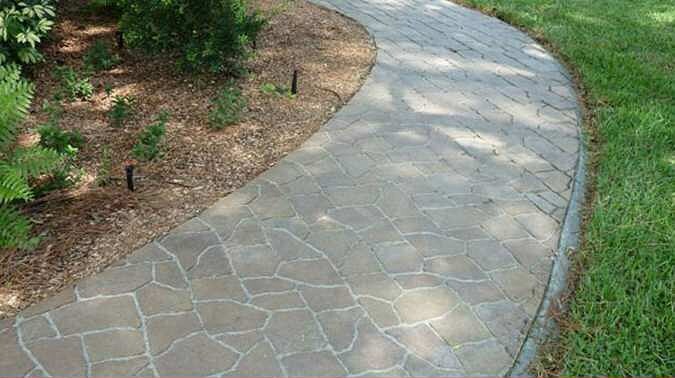 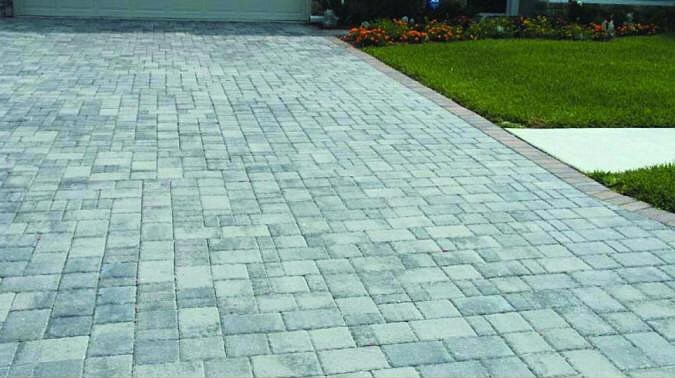 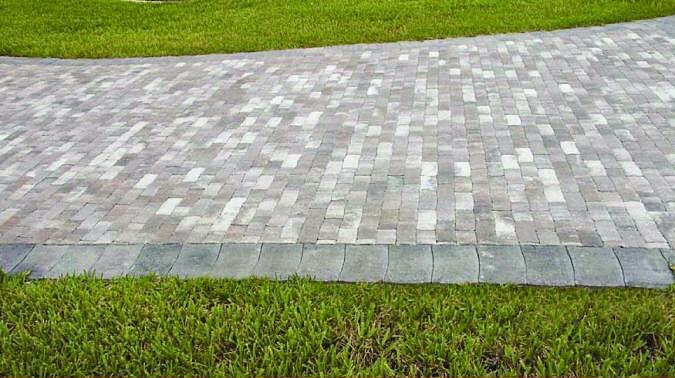 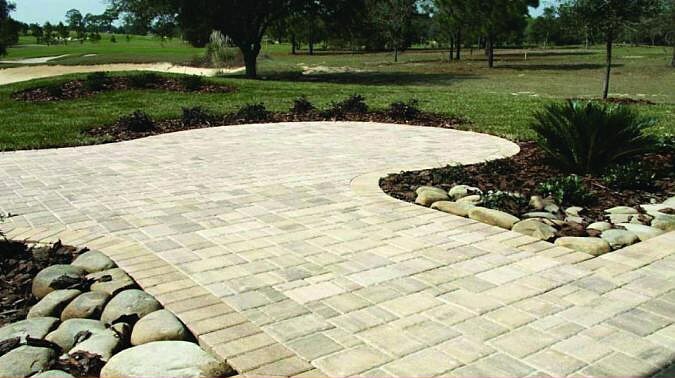 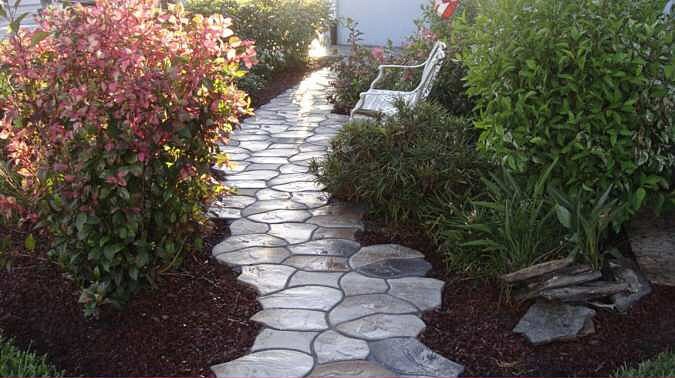 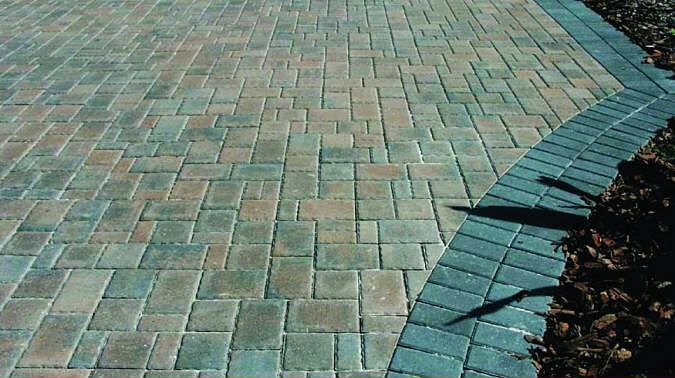 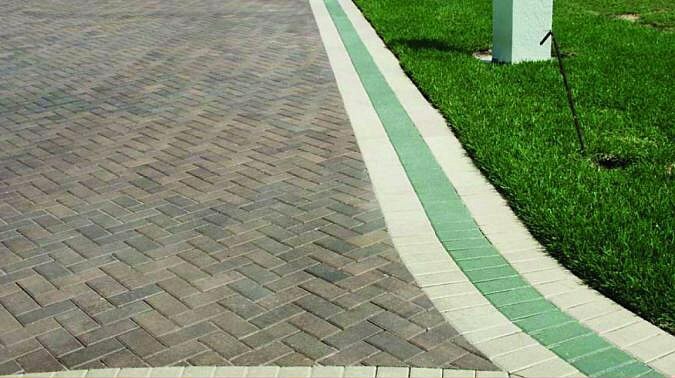 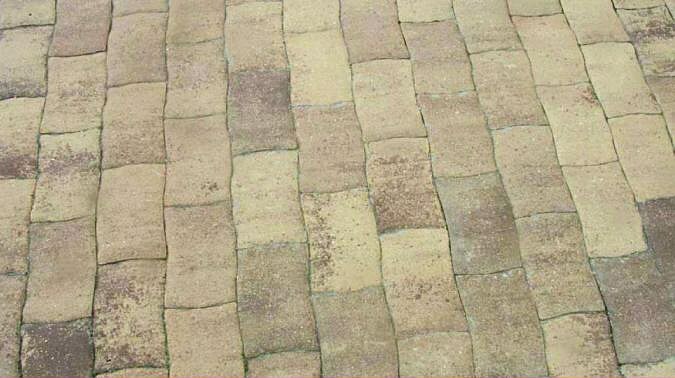 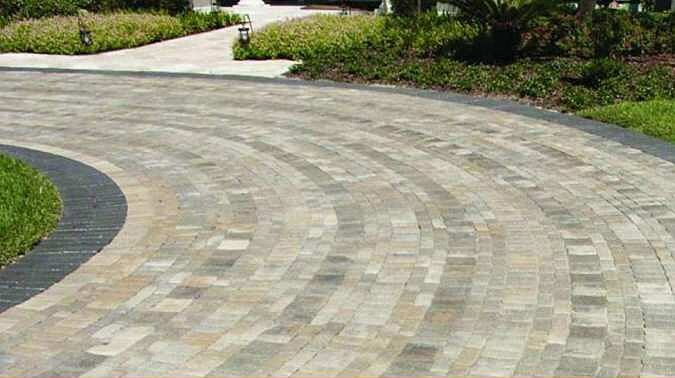 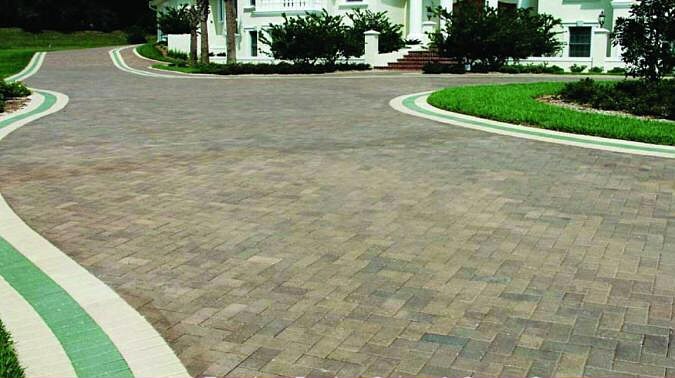 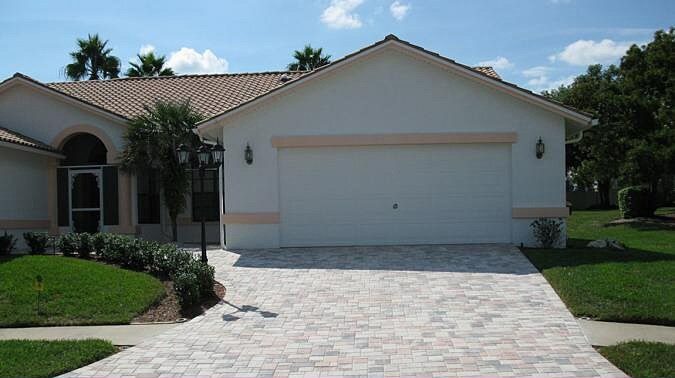 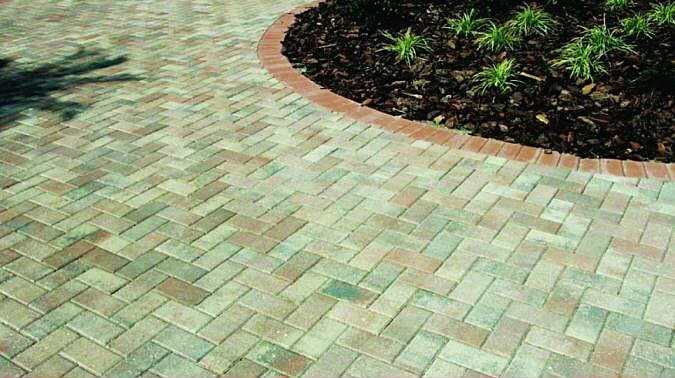 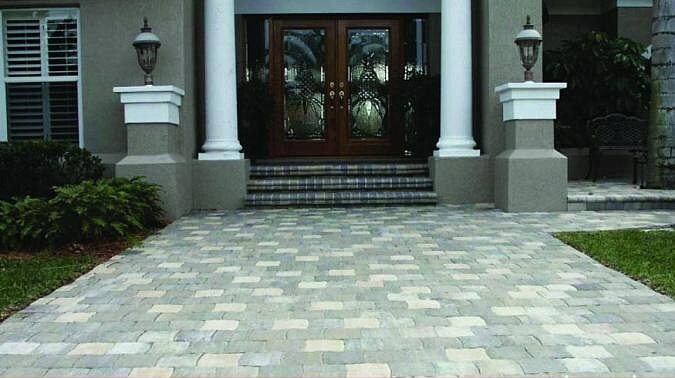 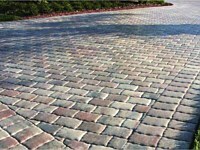 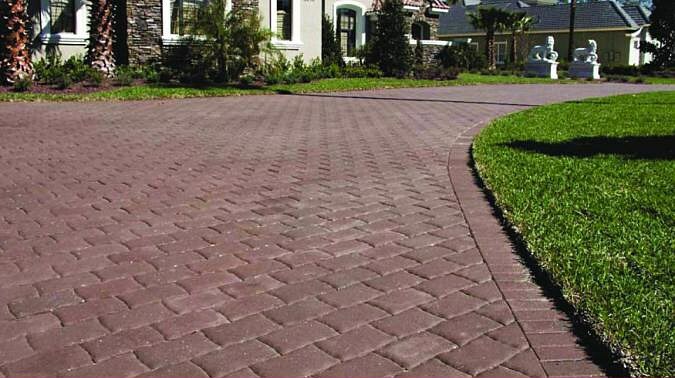 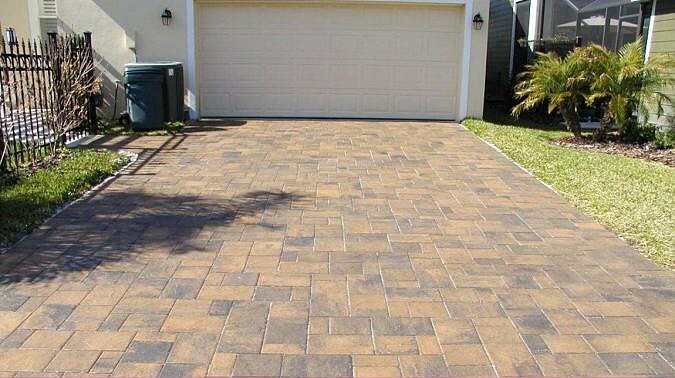 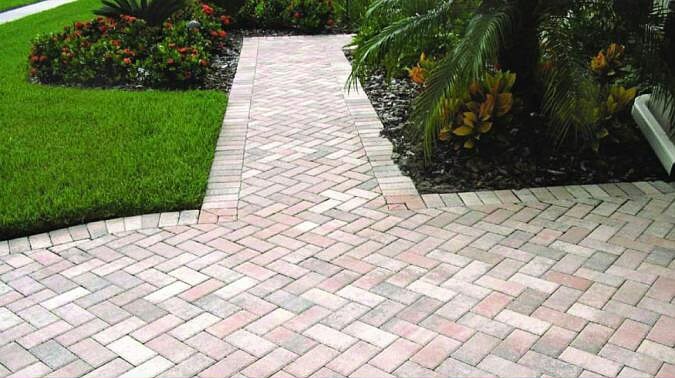 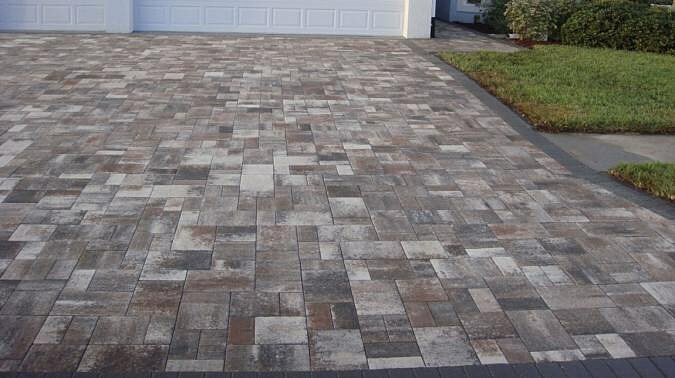 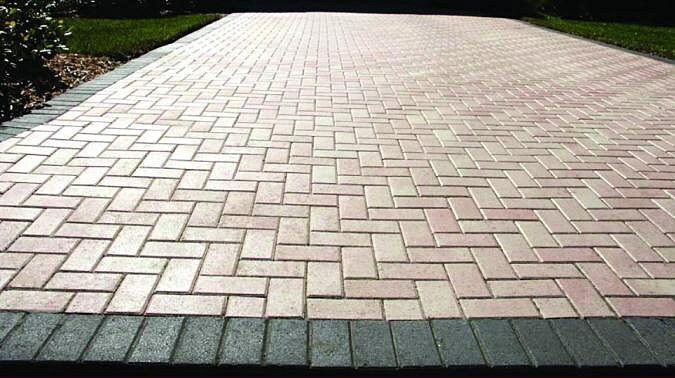 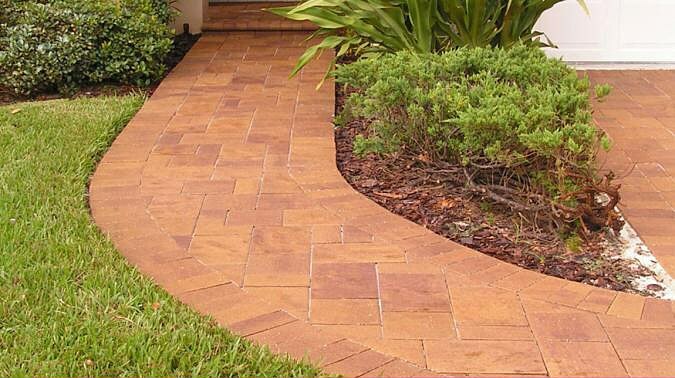 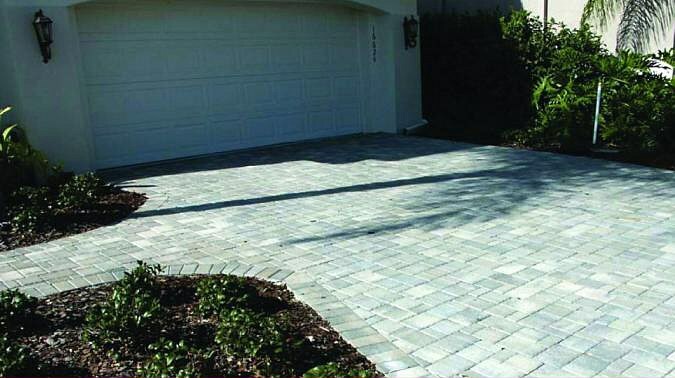 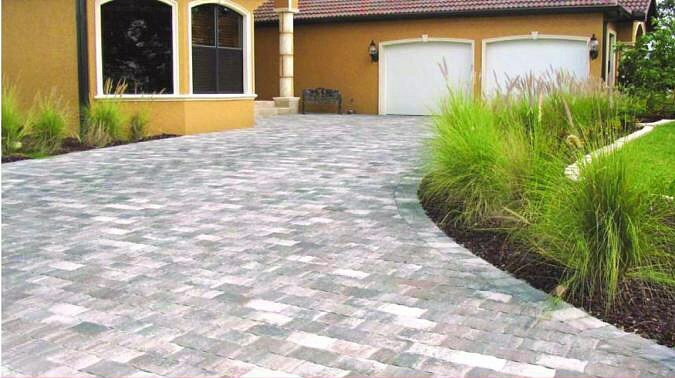 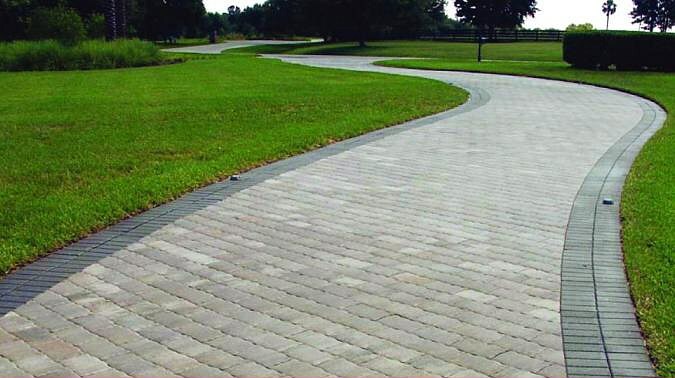 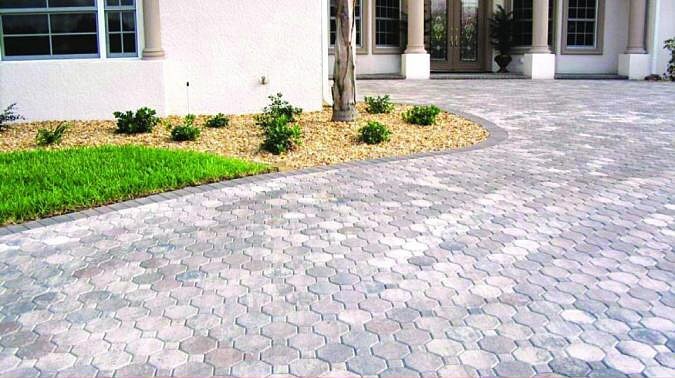 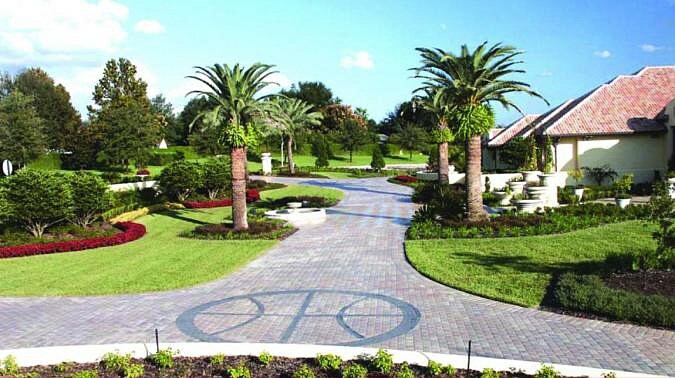 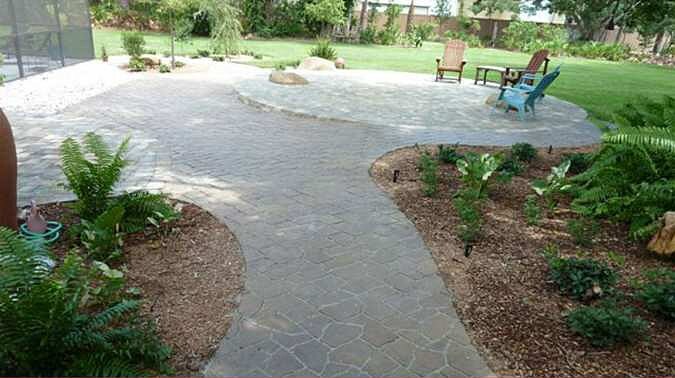 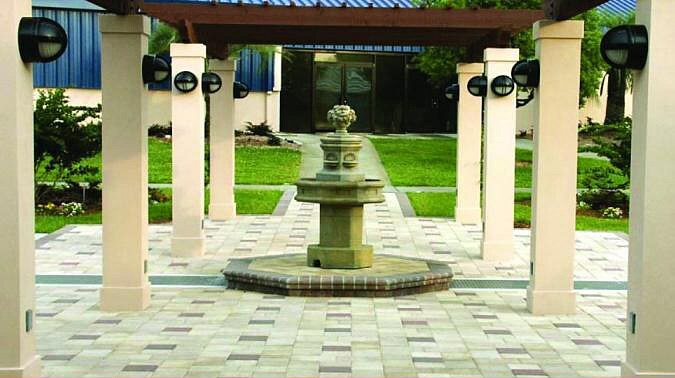 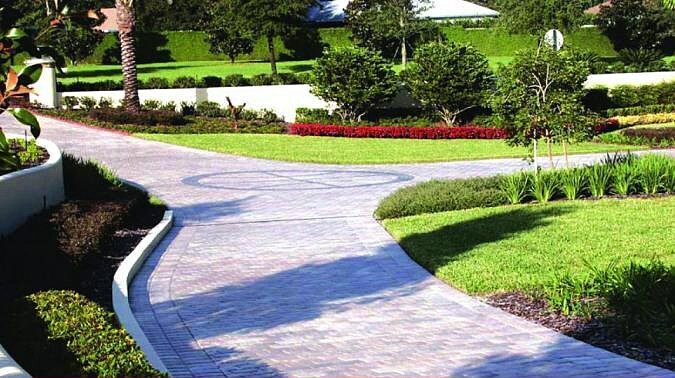 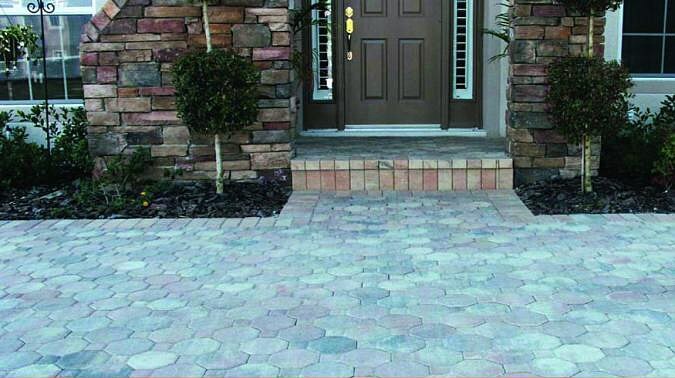 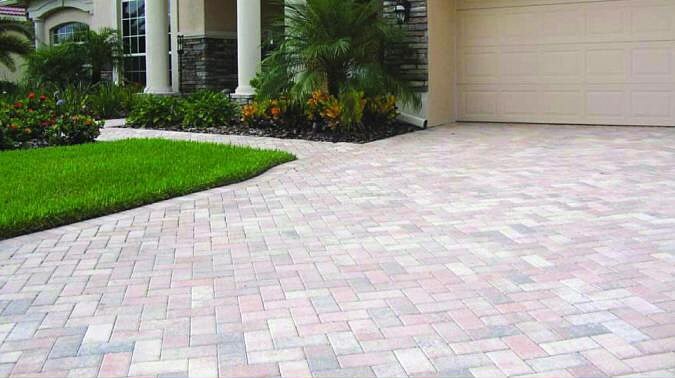 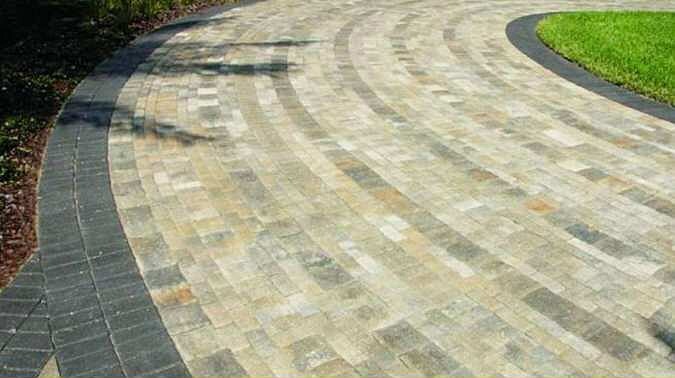 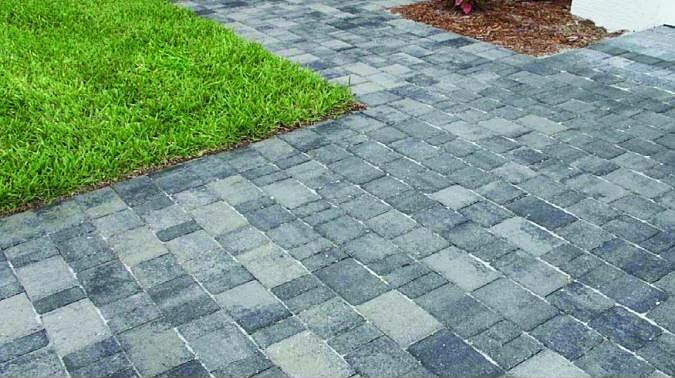 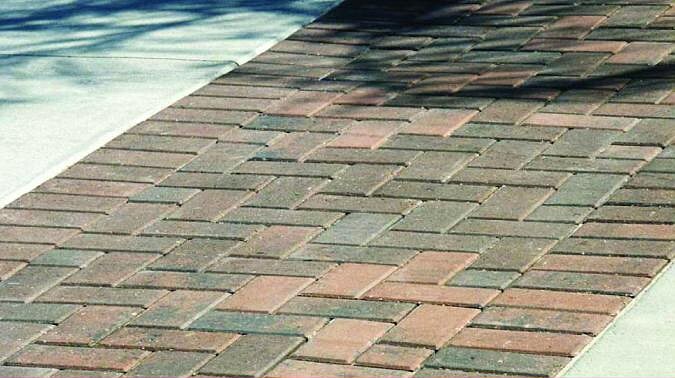 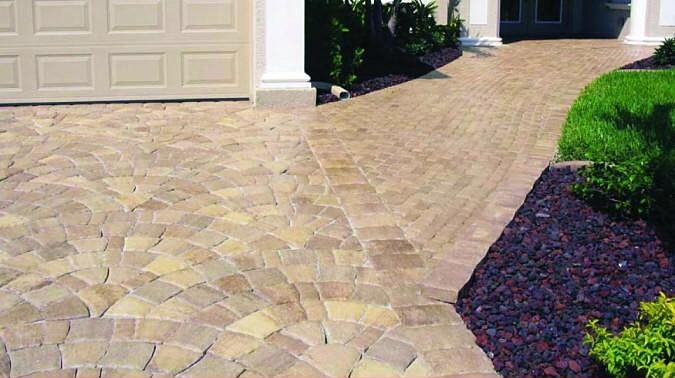 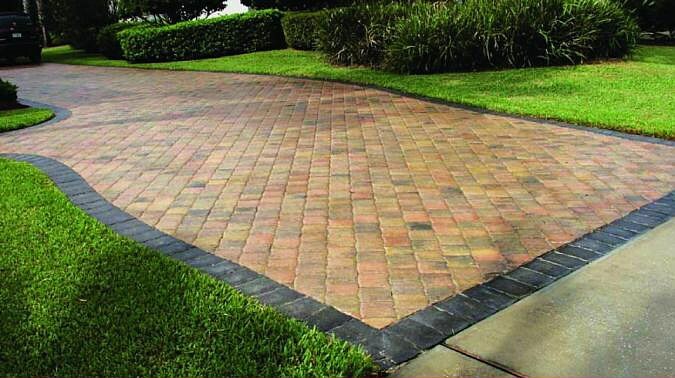 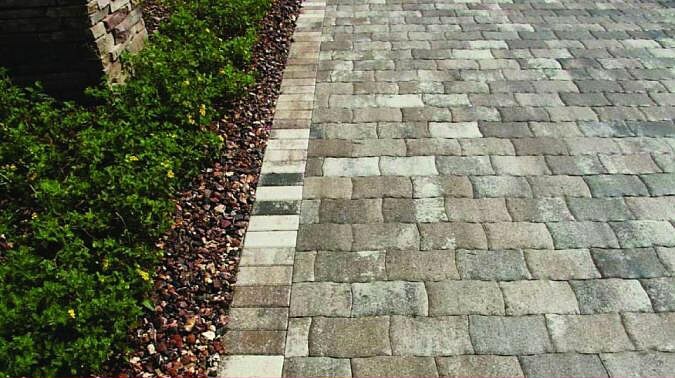 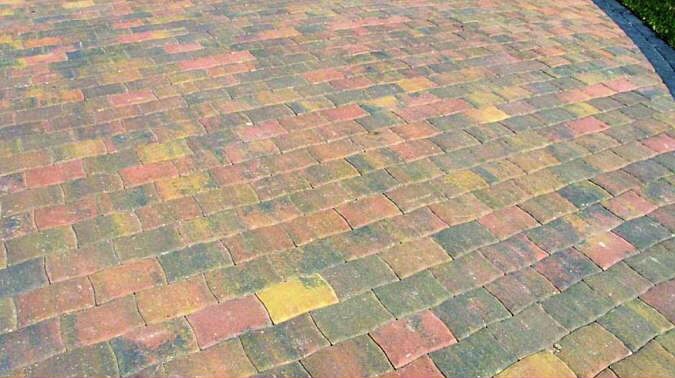 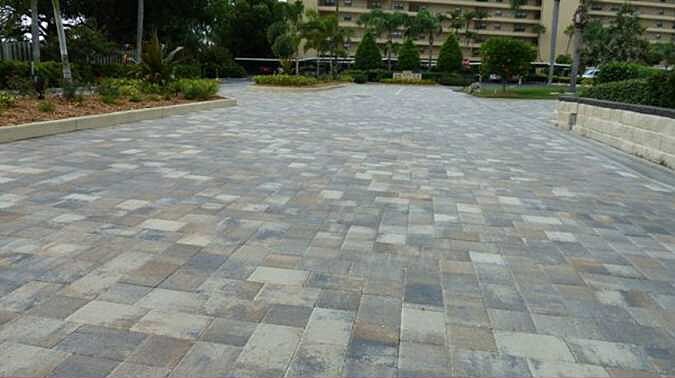 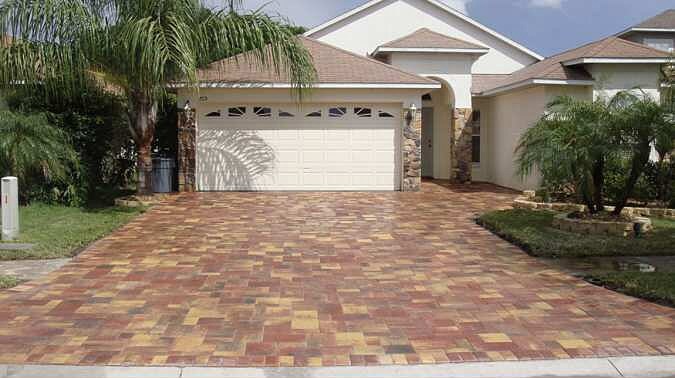 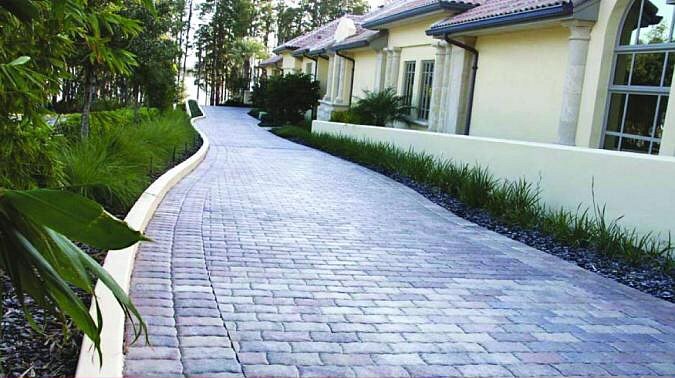 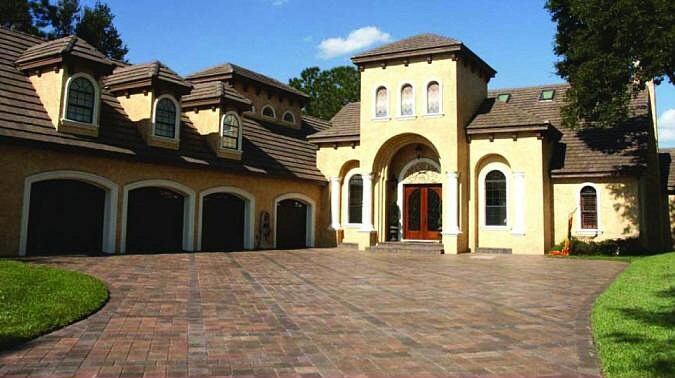 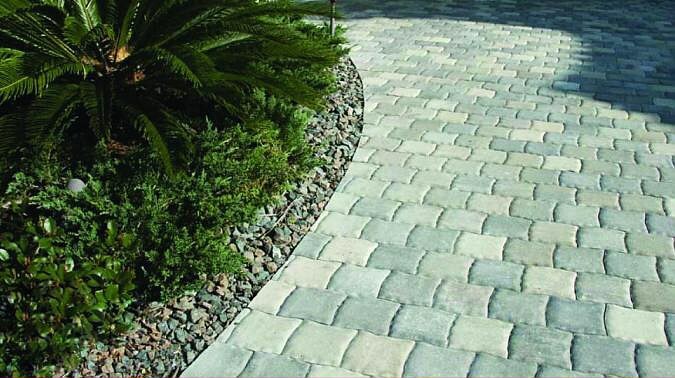 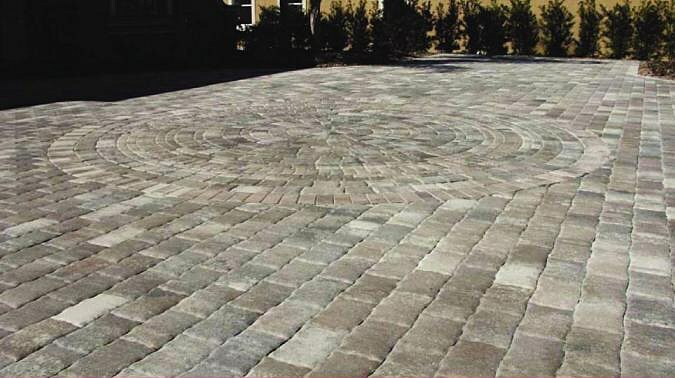 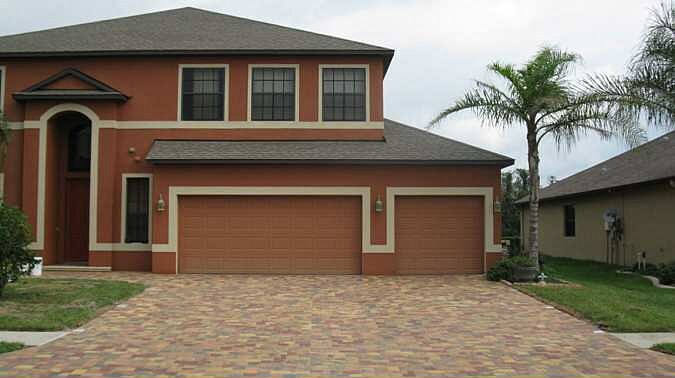 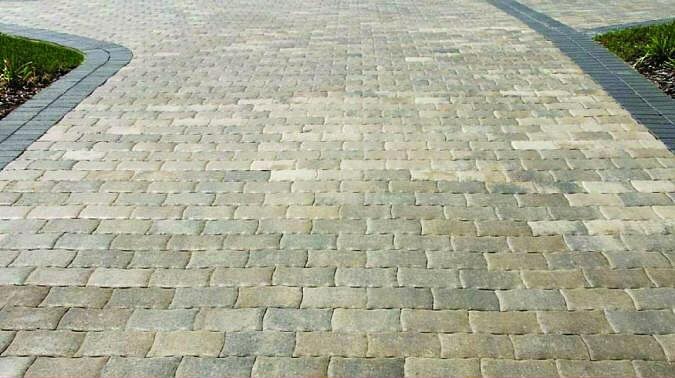 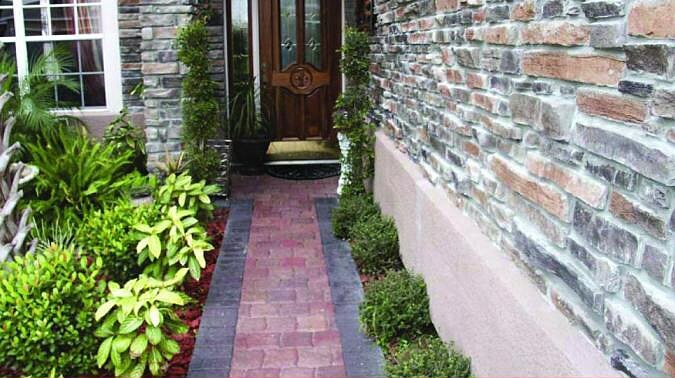 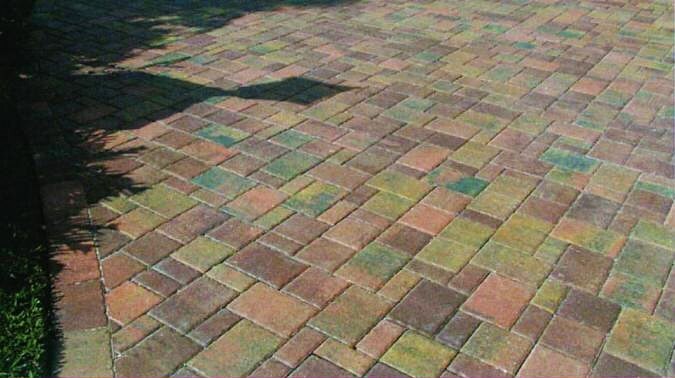 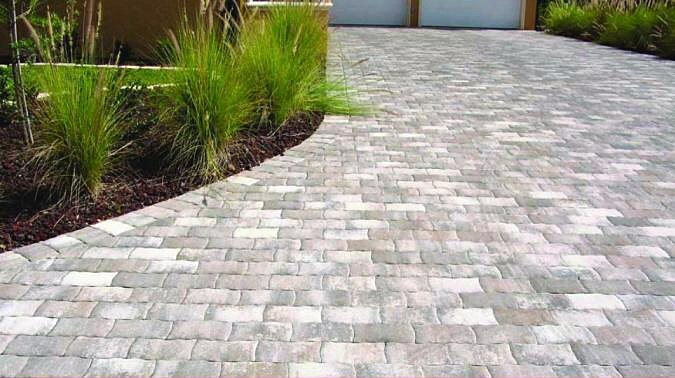 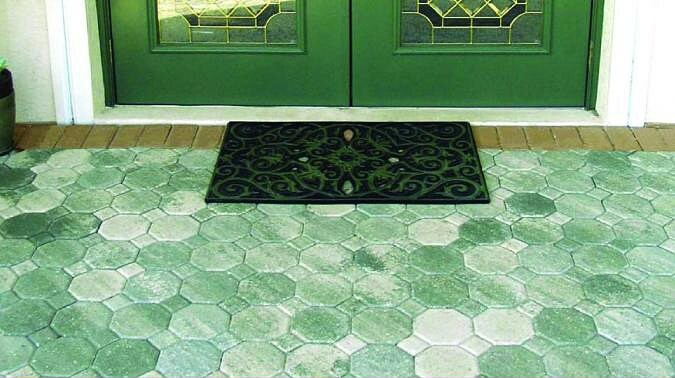 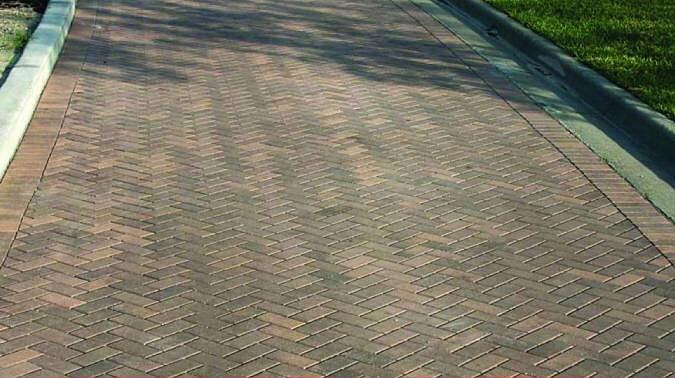 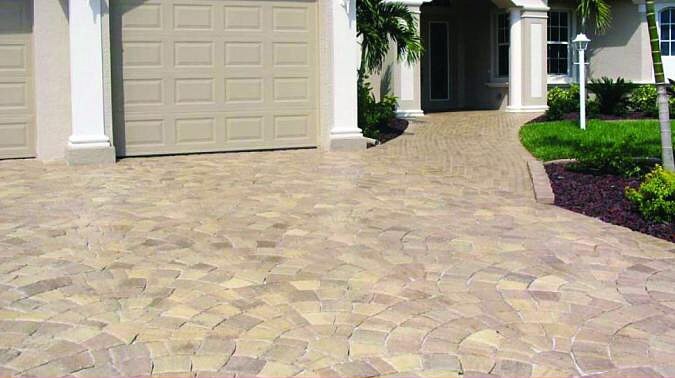 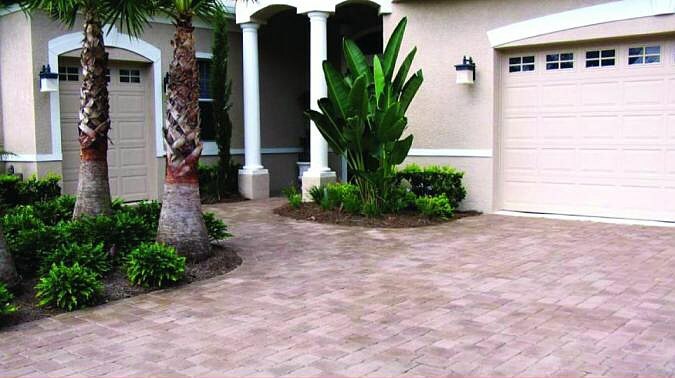 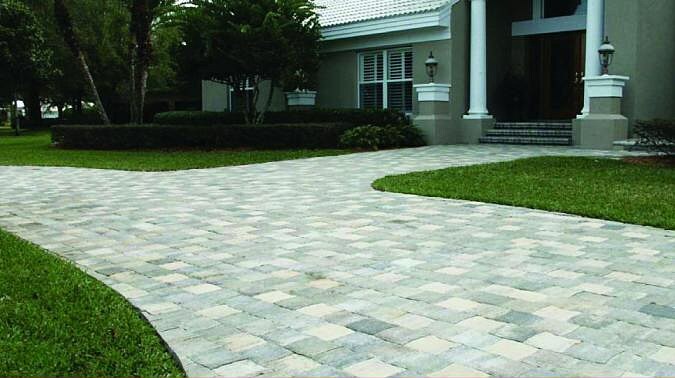 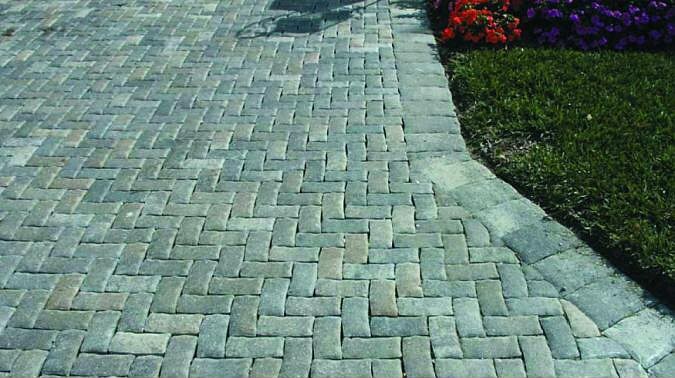 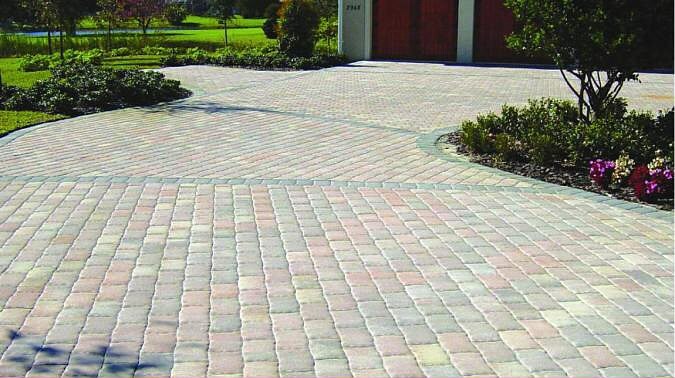 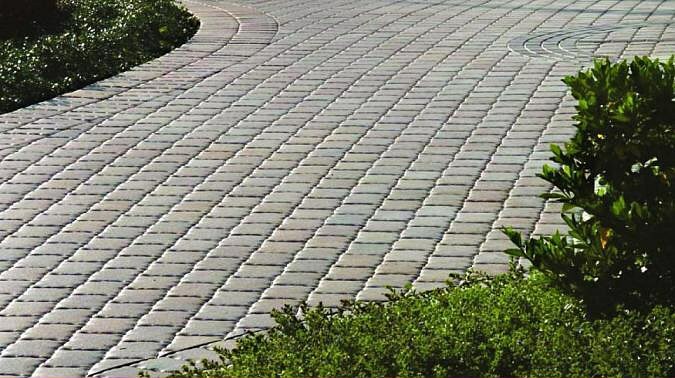 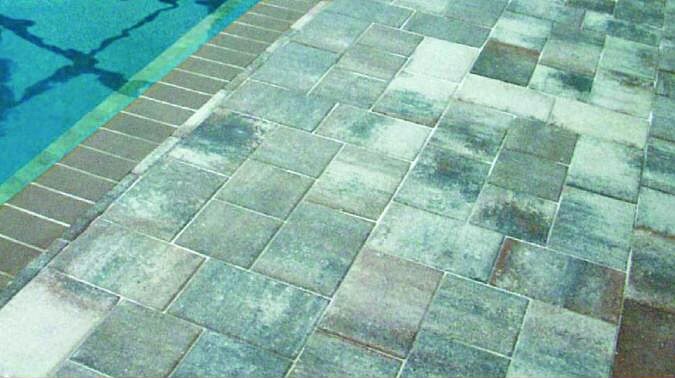 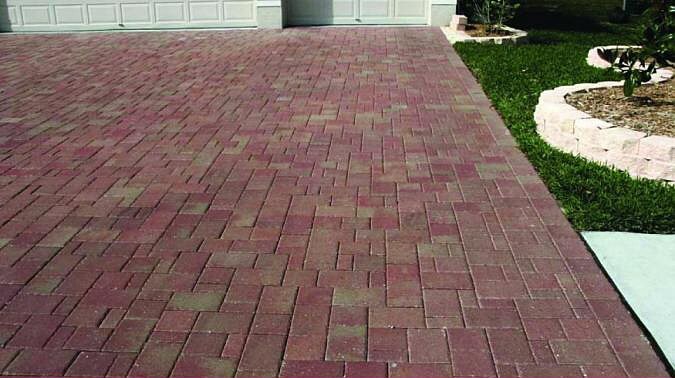 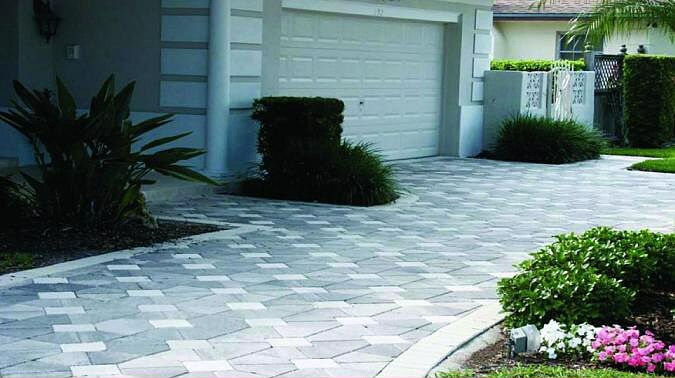 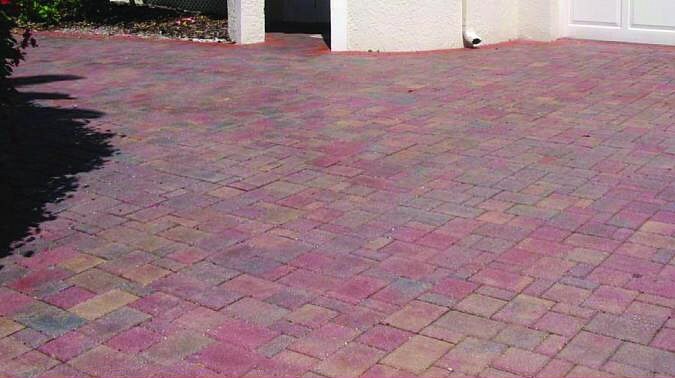 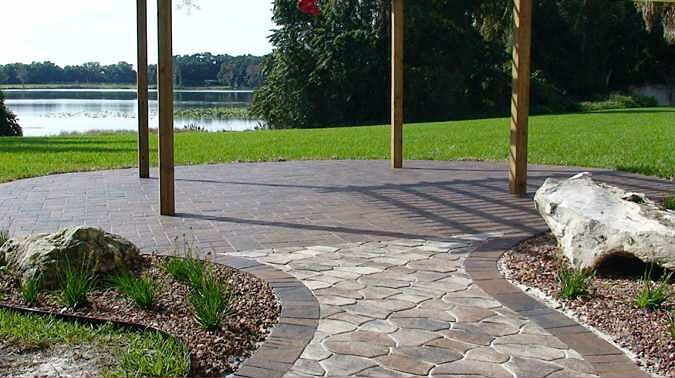 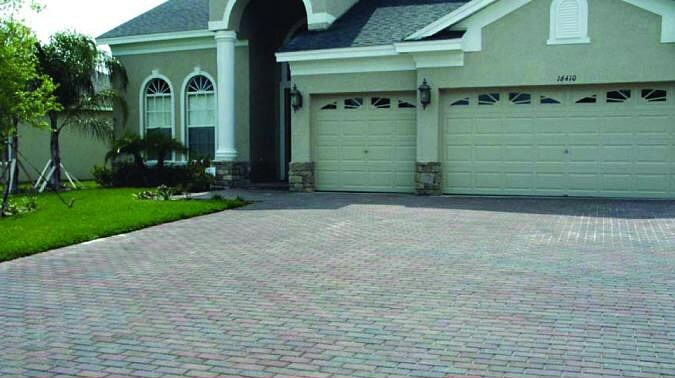 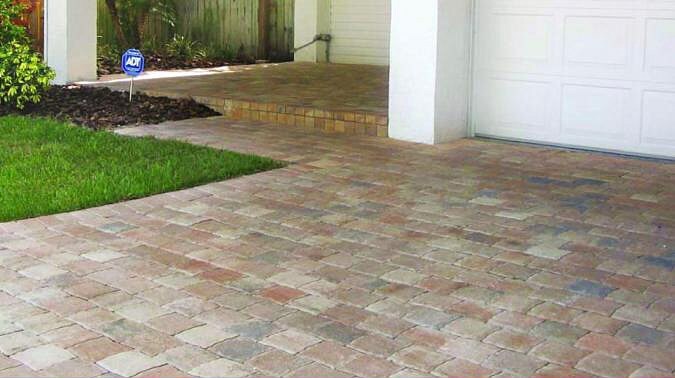 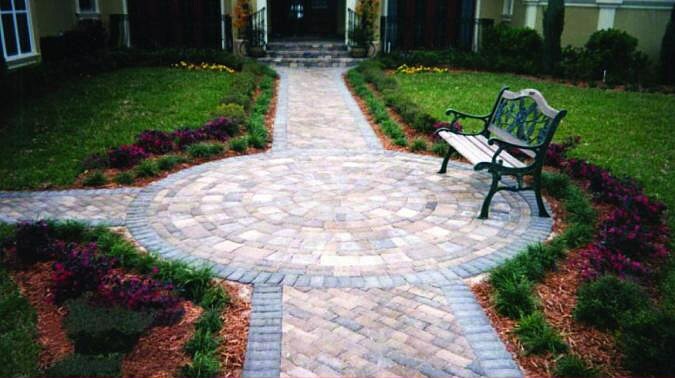 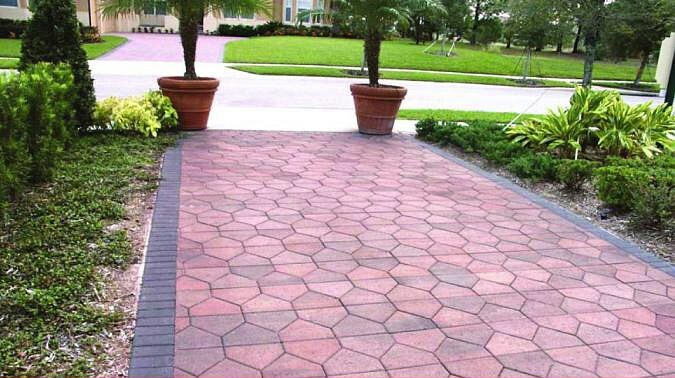 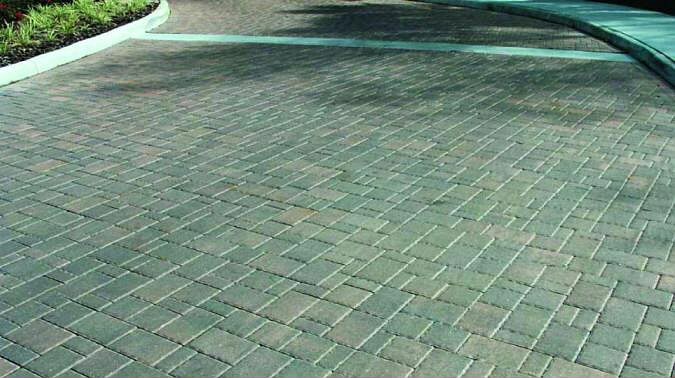 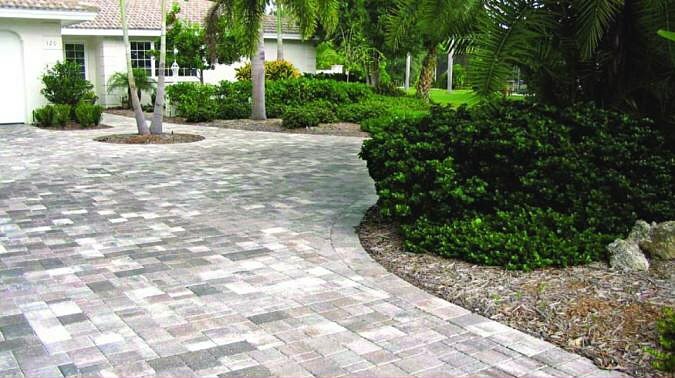 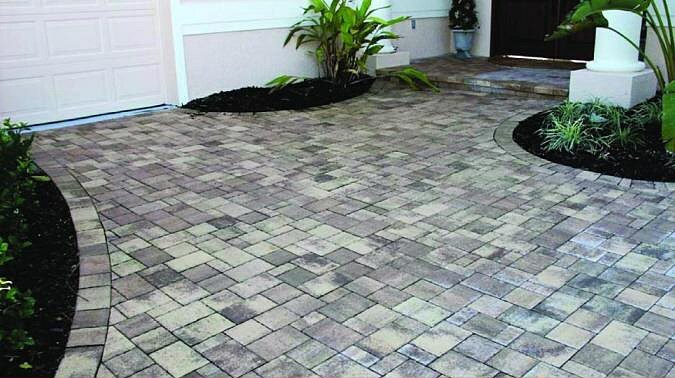 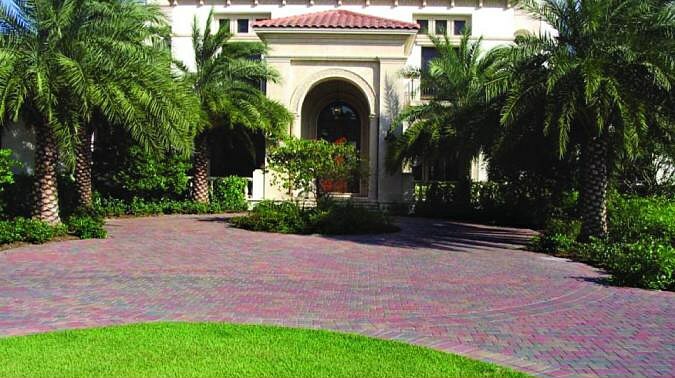 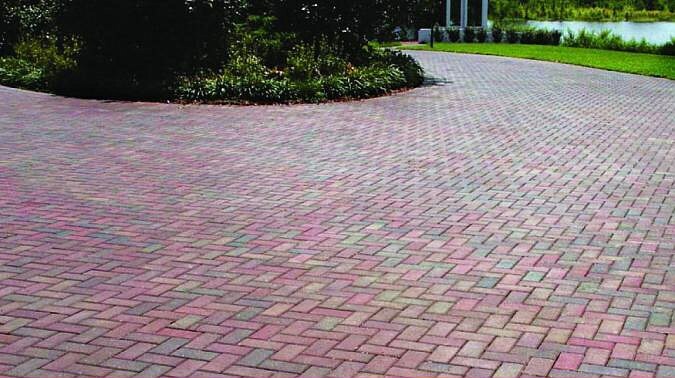 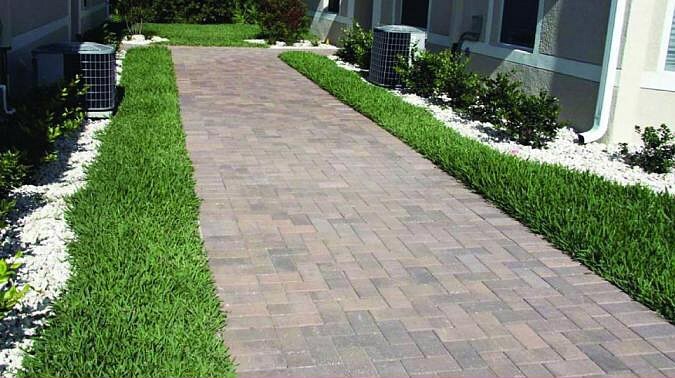 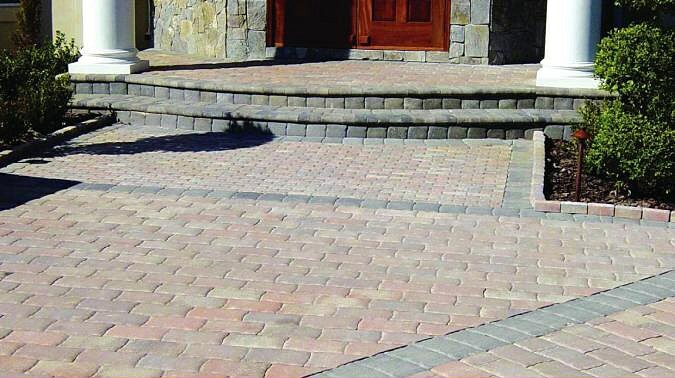 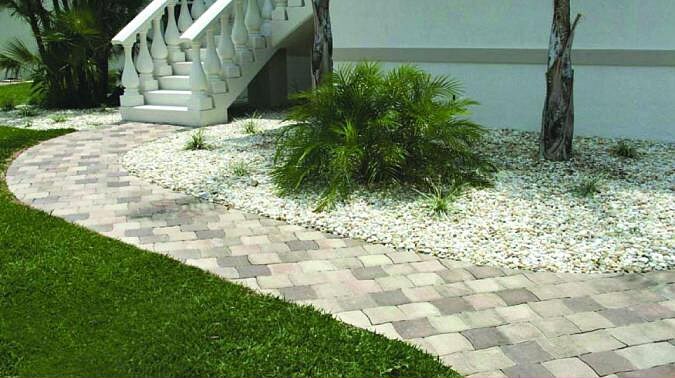 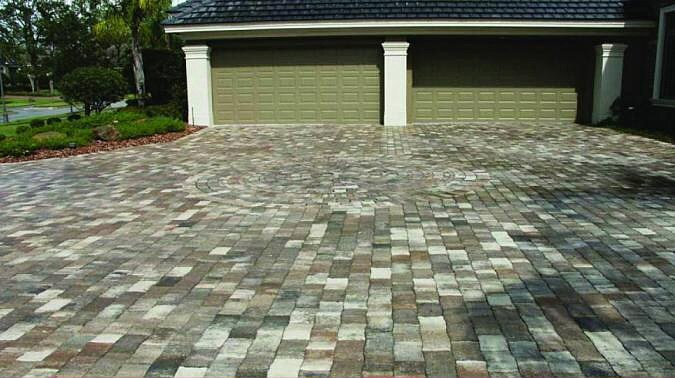 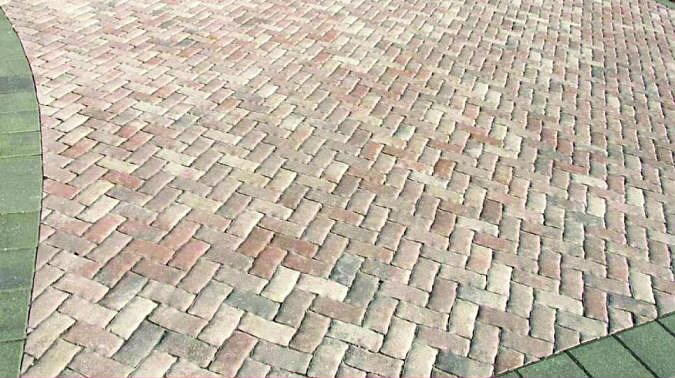 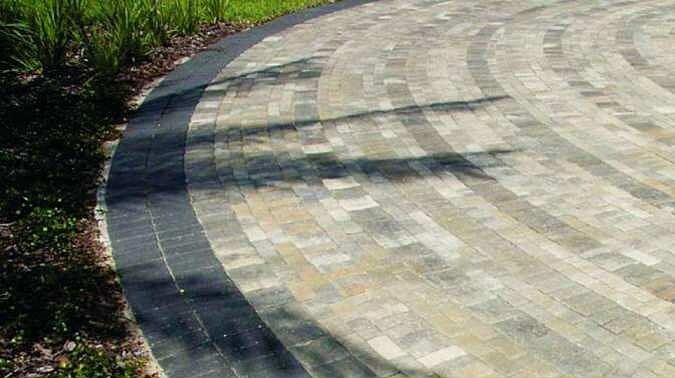 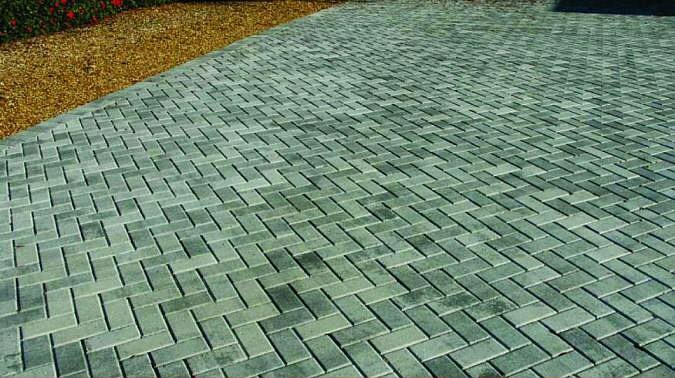 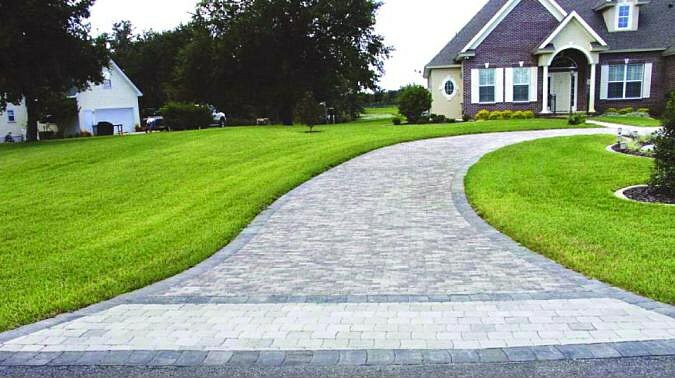 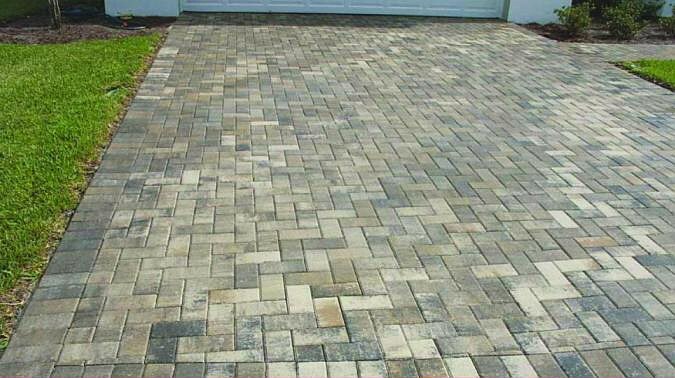 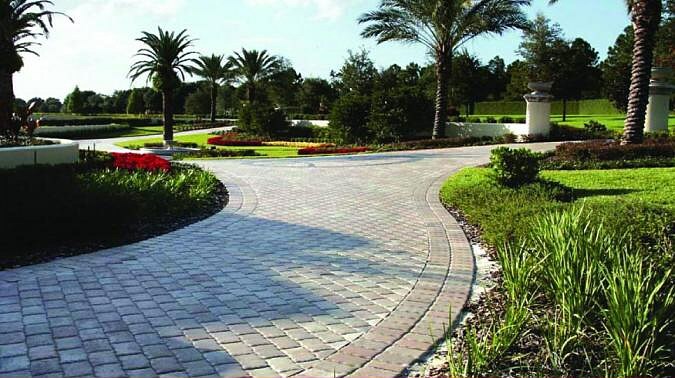 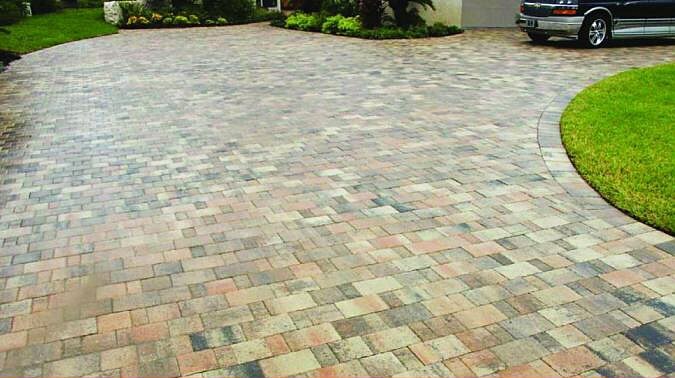 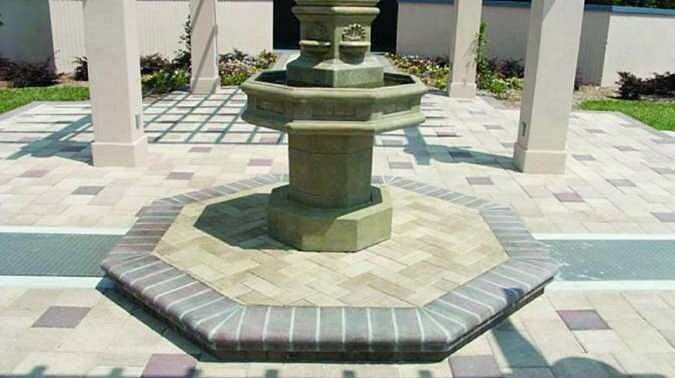 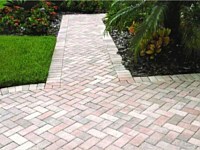 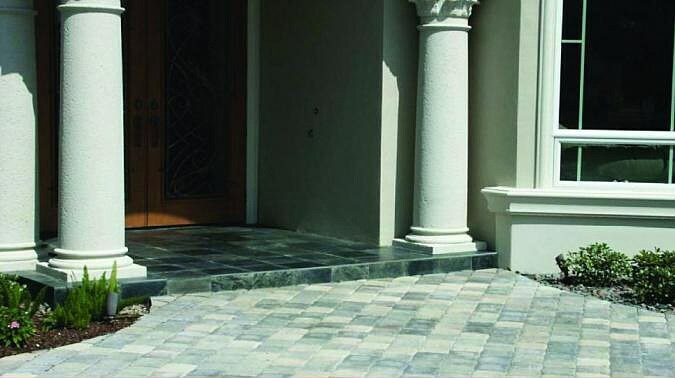 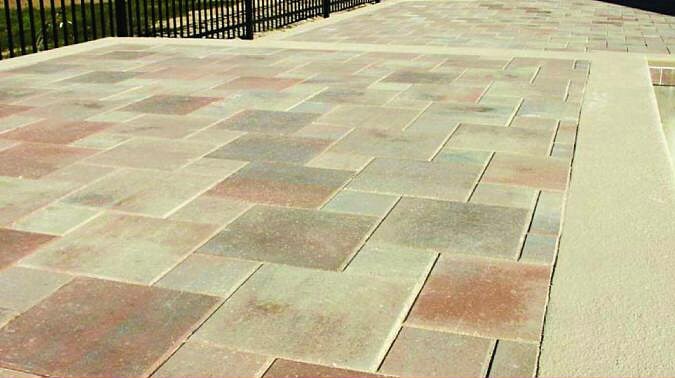 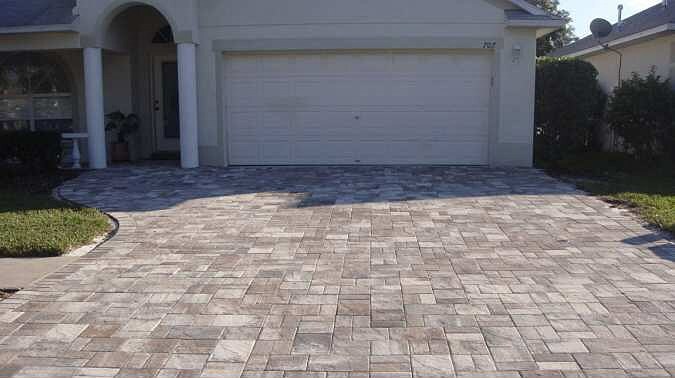 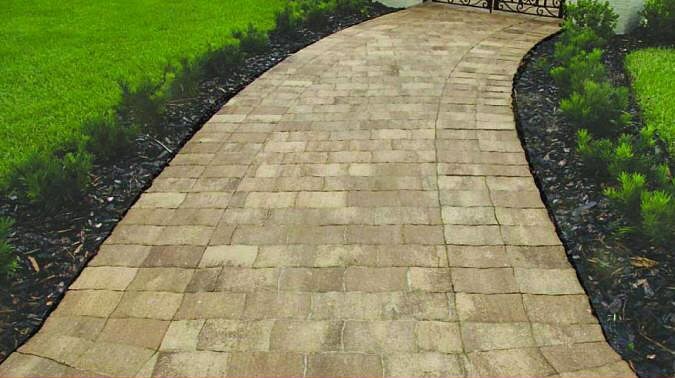 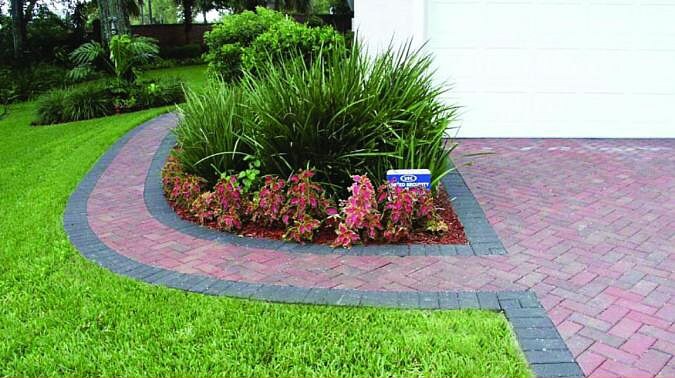 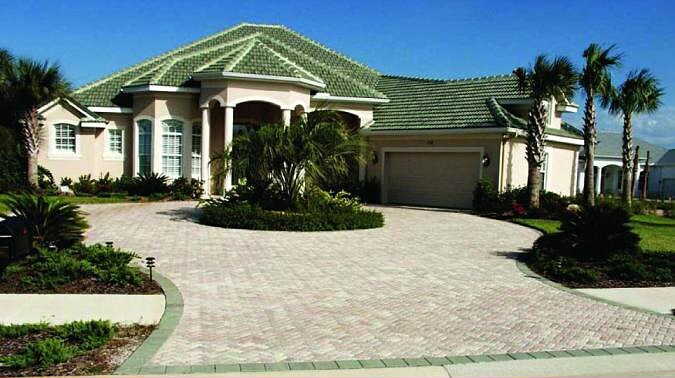 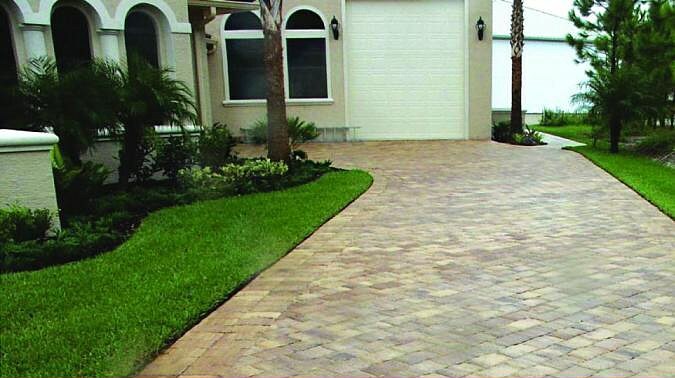 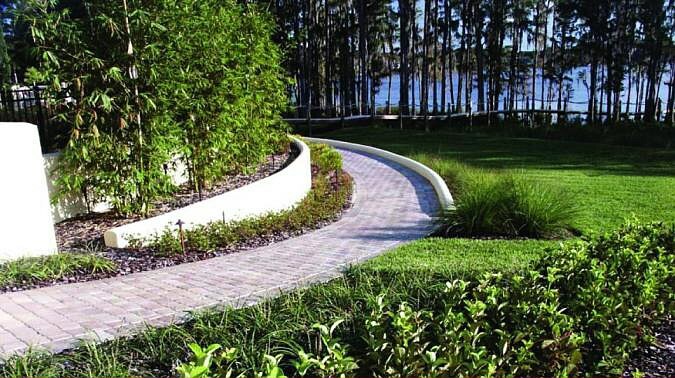 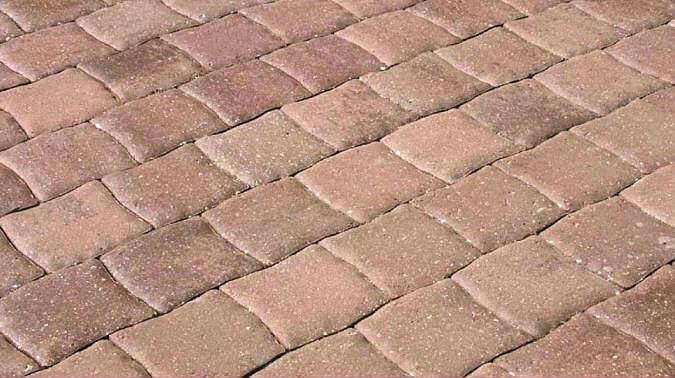 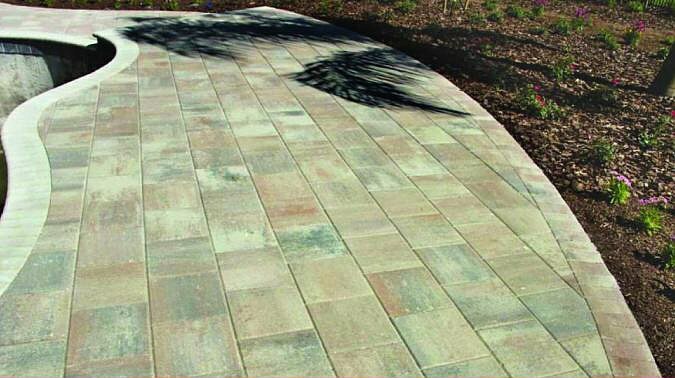 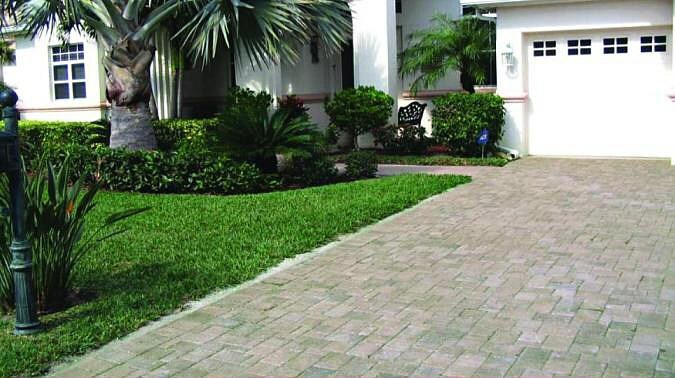 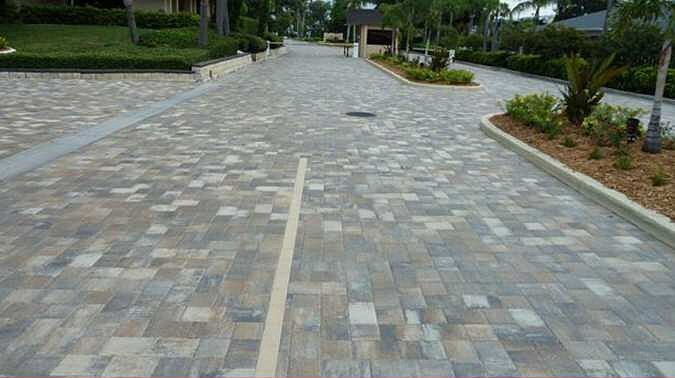 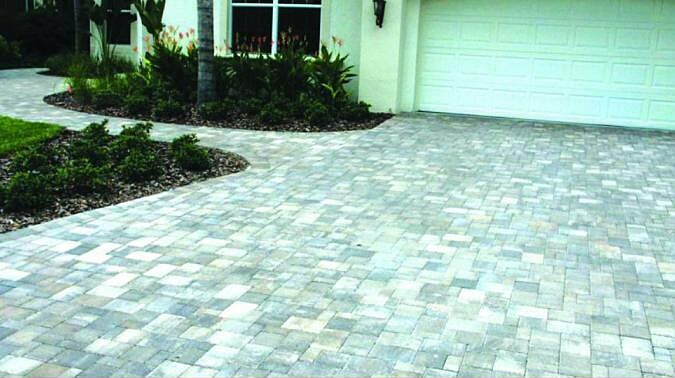 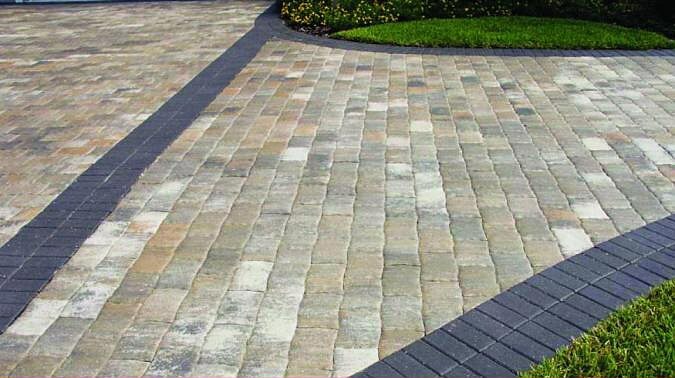 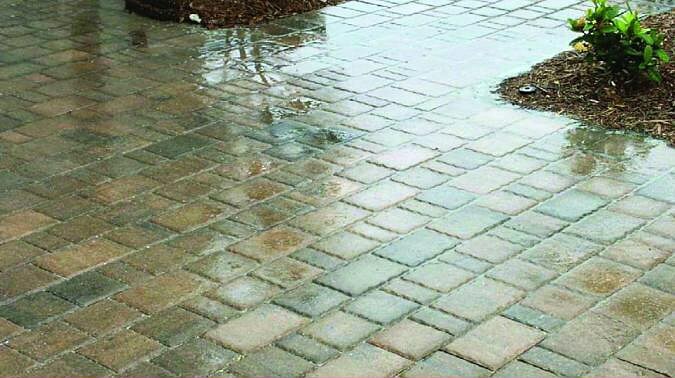 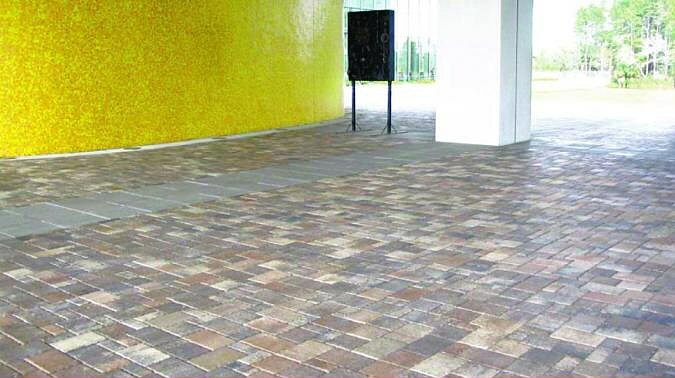 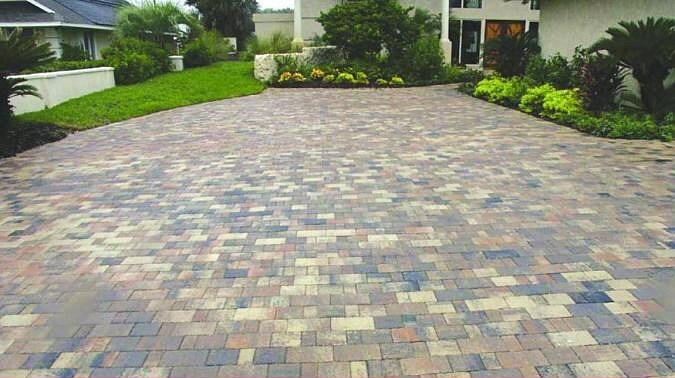 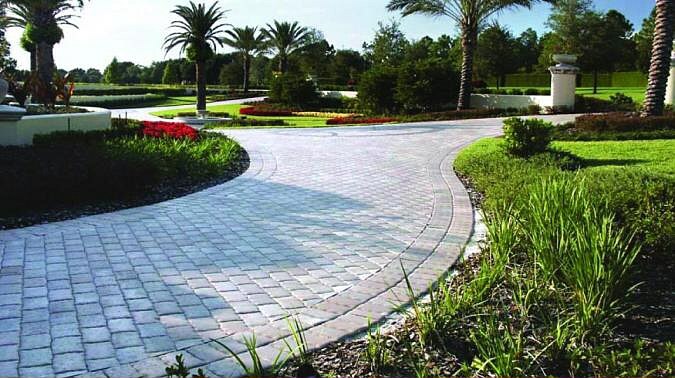 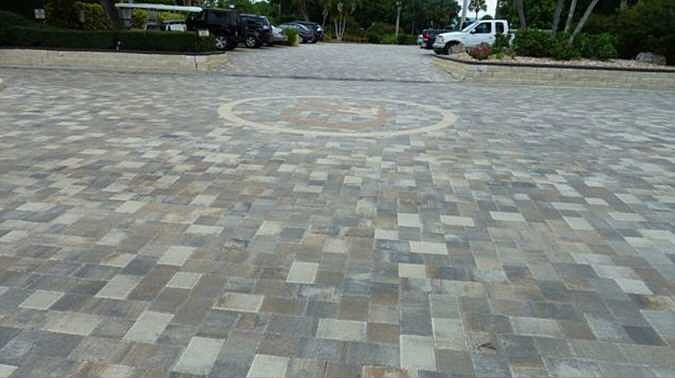 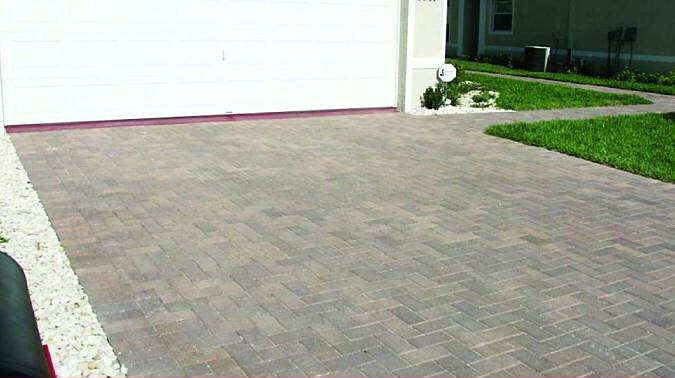 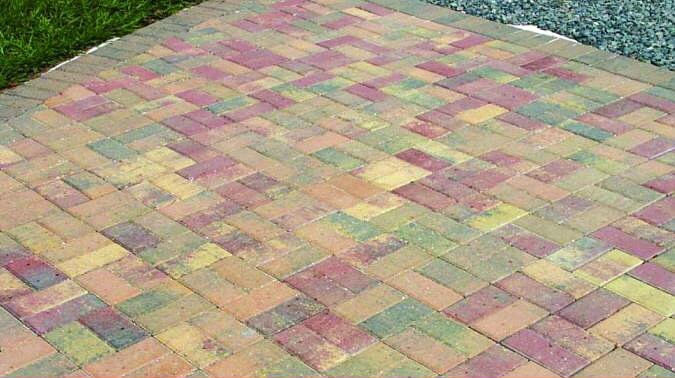 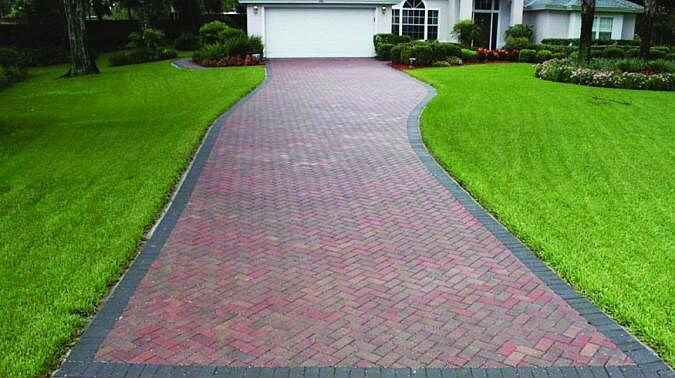 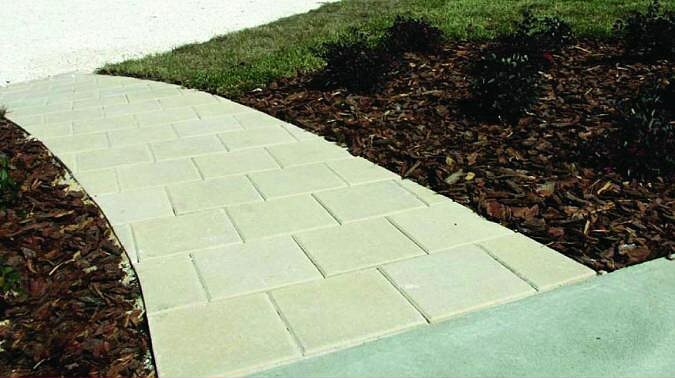 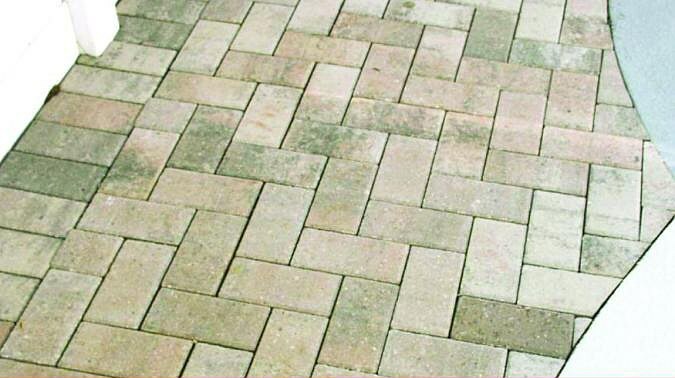 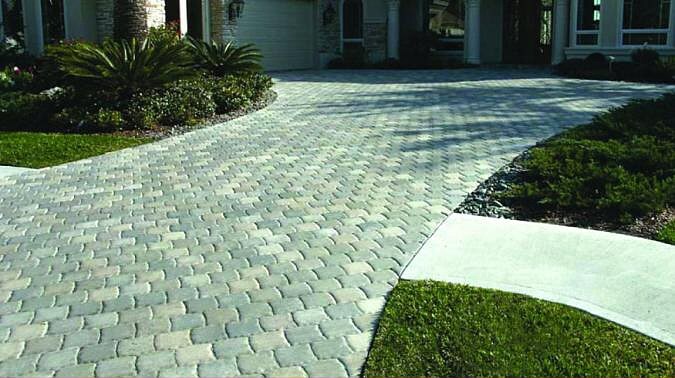 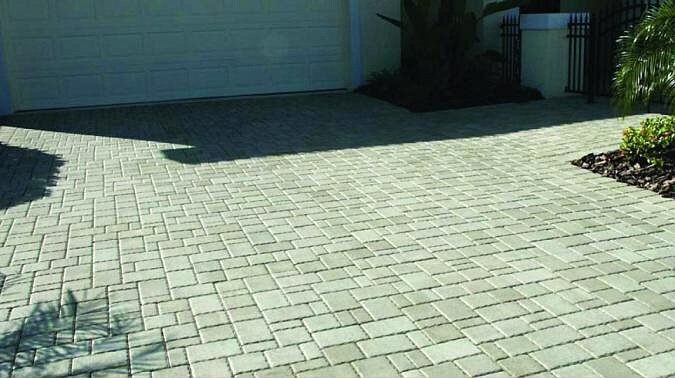 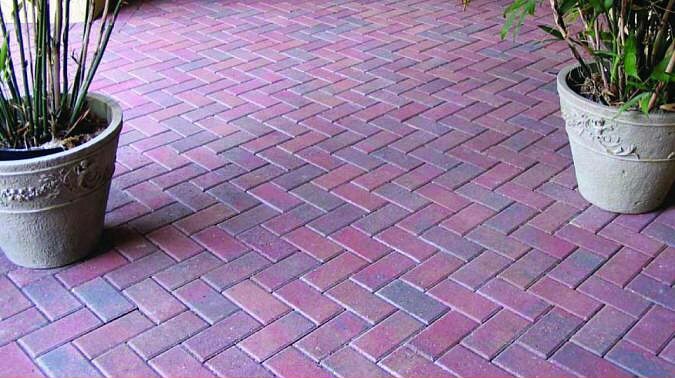 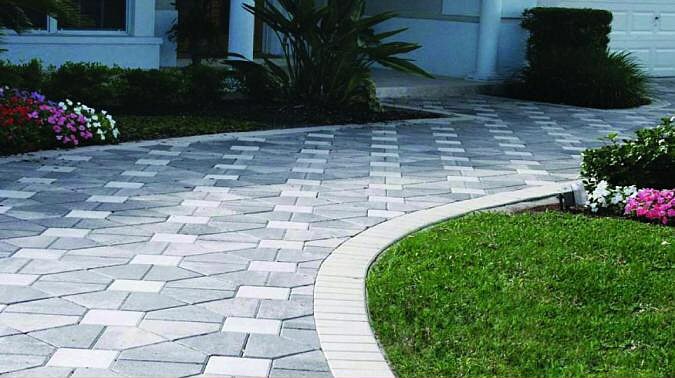 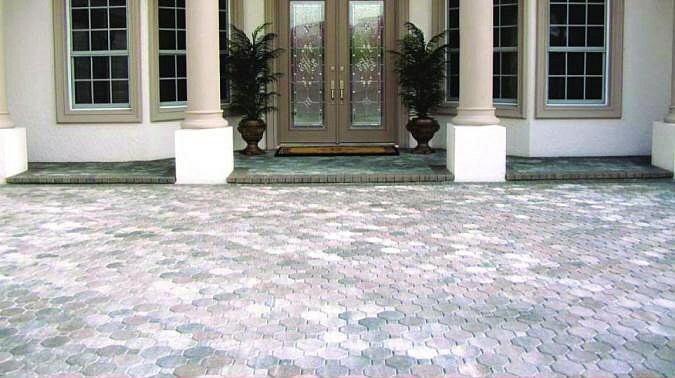 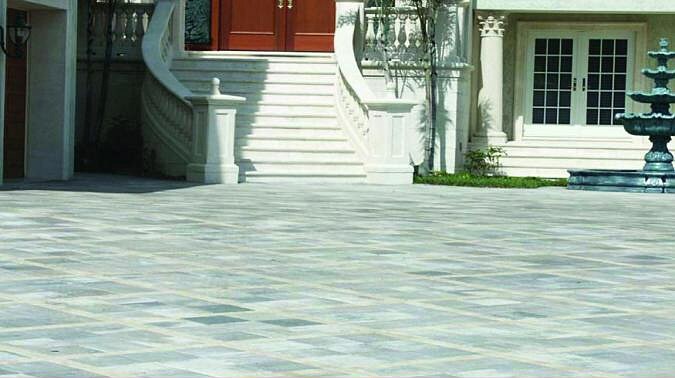 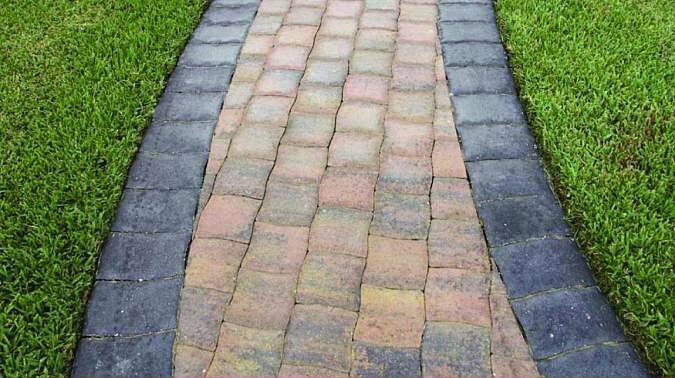 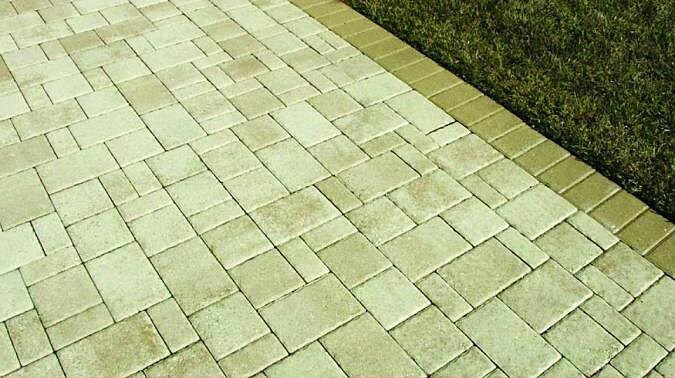 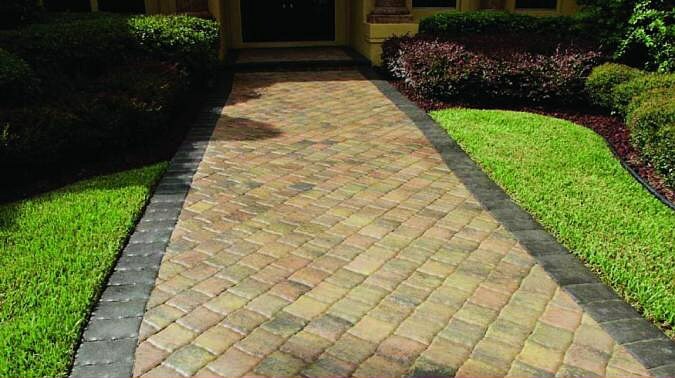 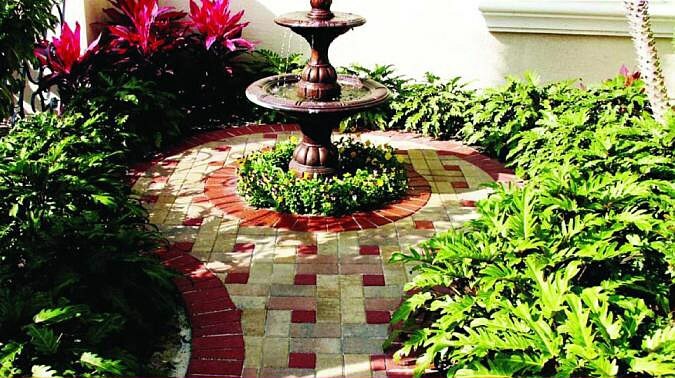 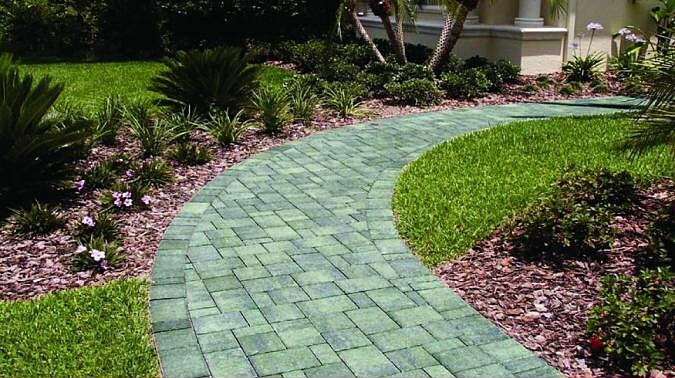 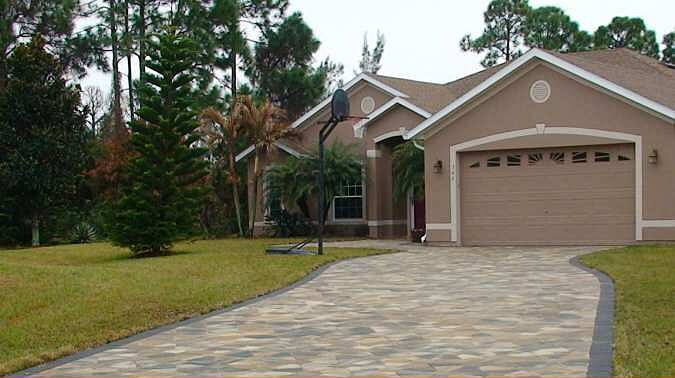 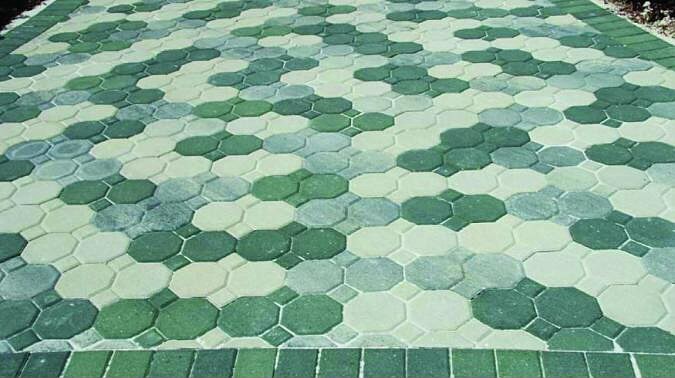 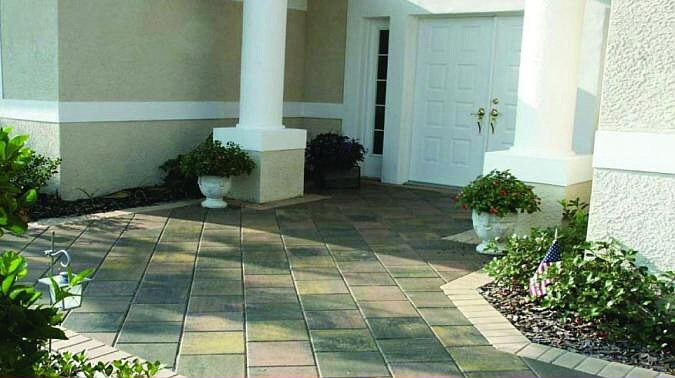 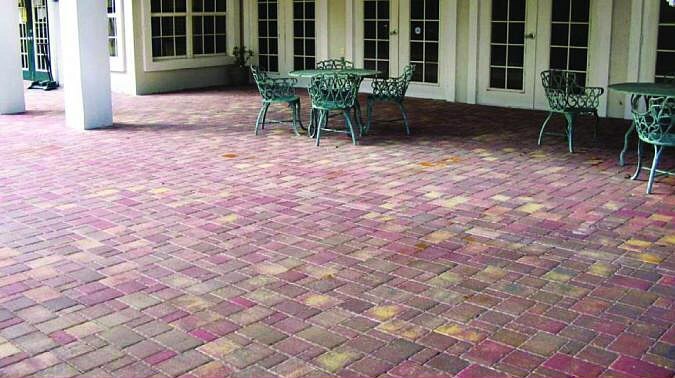 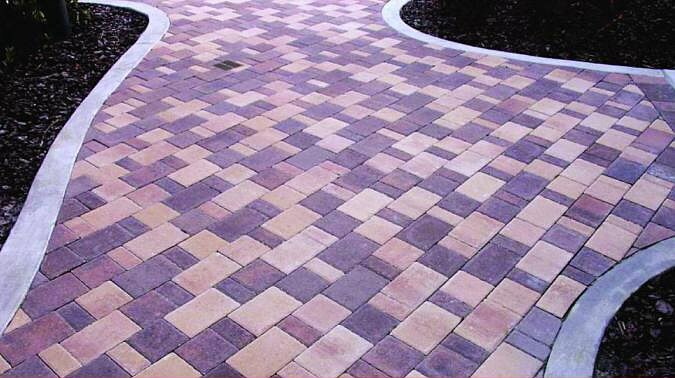 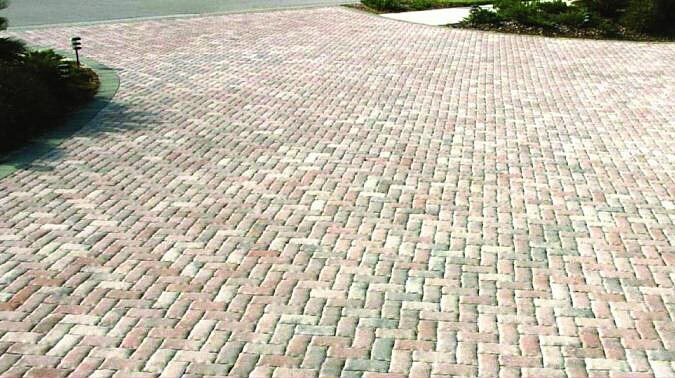 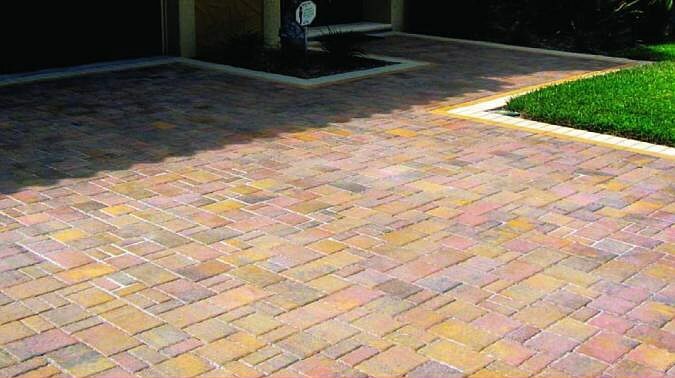 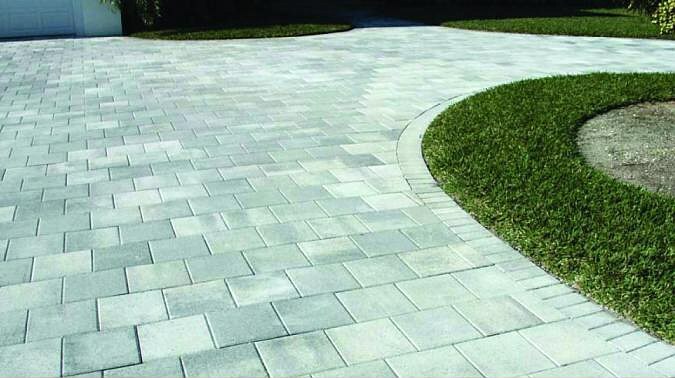 A permeable thick paver that is great for green building or environmentally friendly applications. 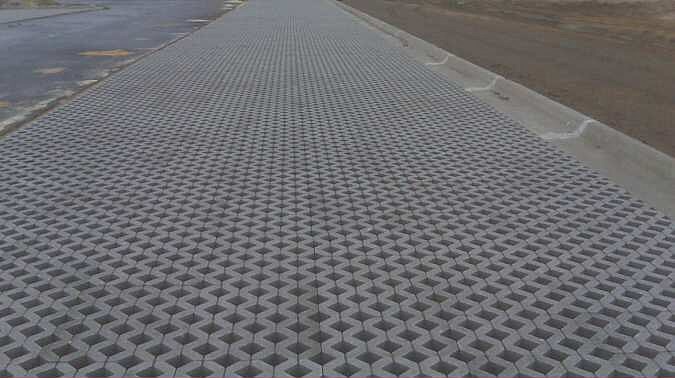 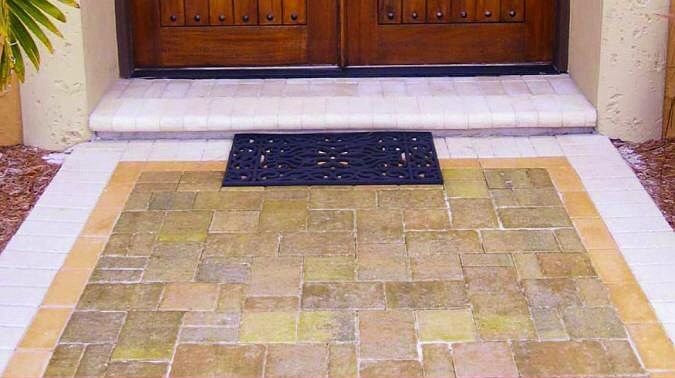 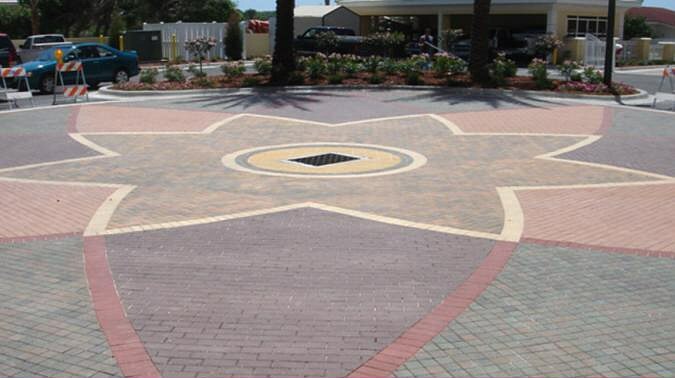 The best performing and most durable environmental grid pavement product in the marketplace. 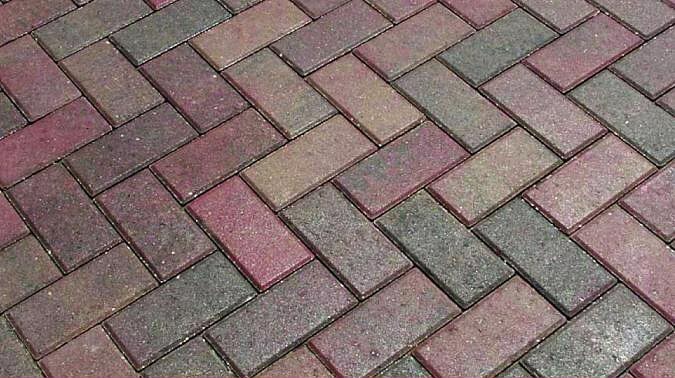 Some limitations apply to color availability by product shape. 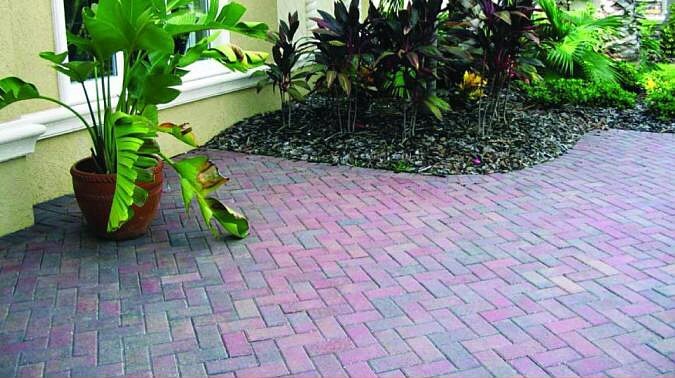 View our Product Color Run information sheets or Contact Us for assistance. 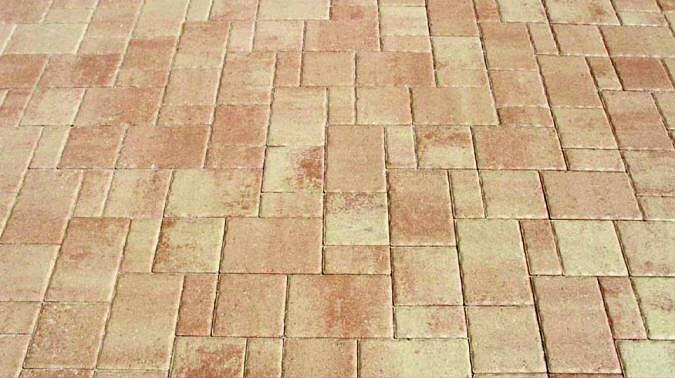 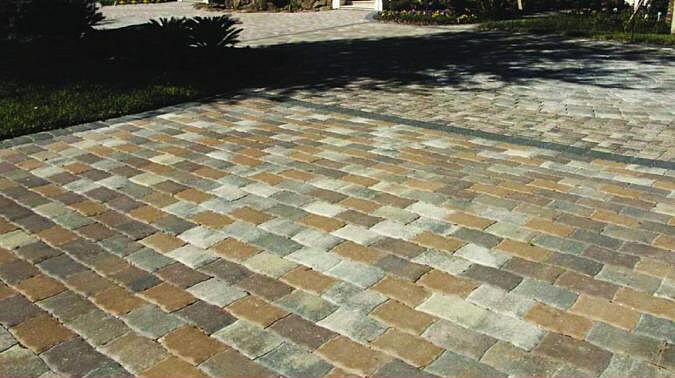 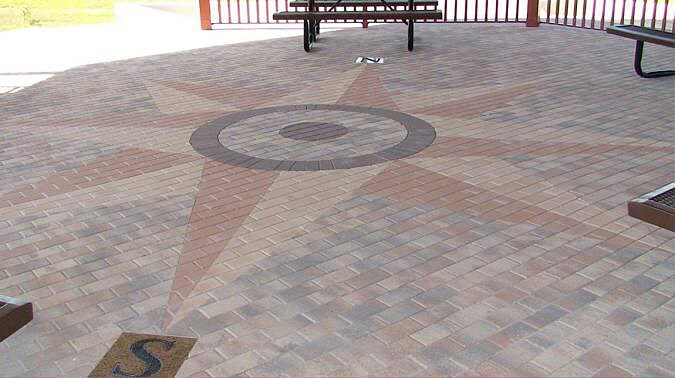 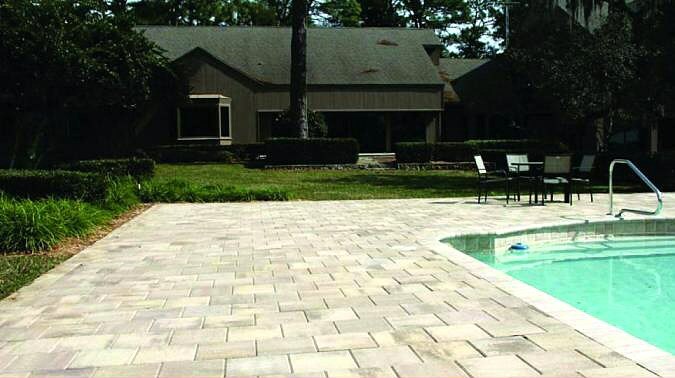 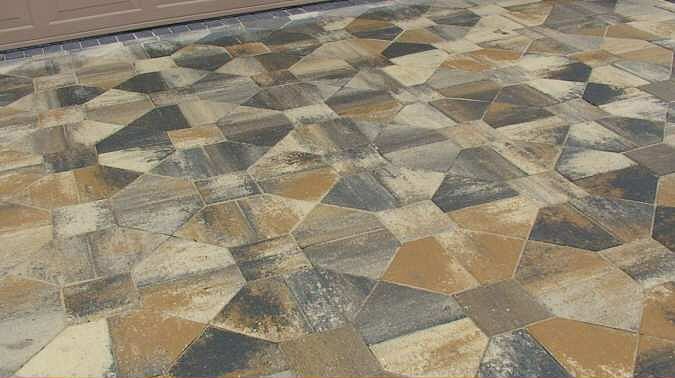 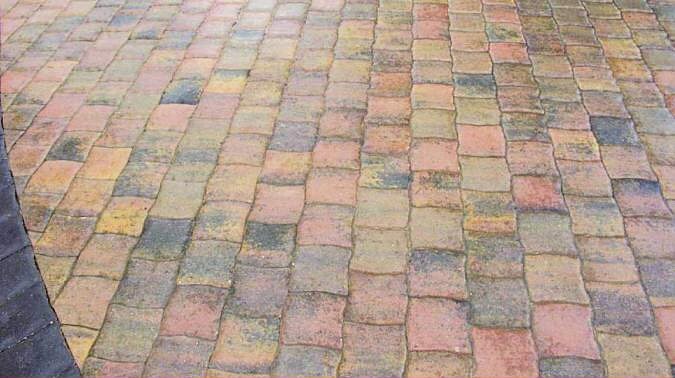 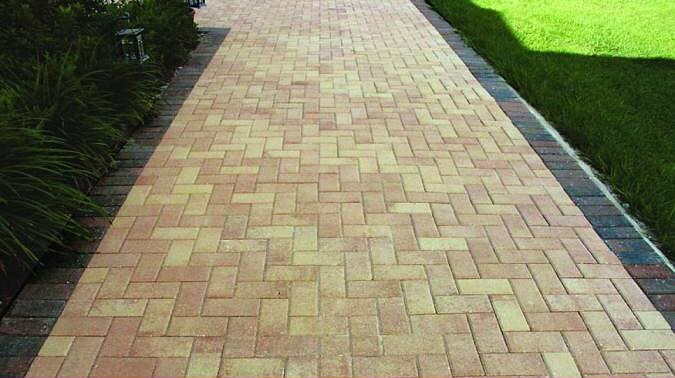 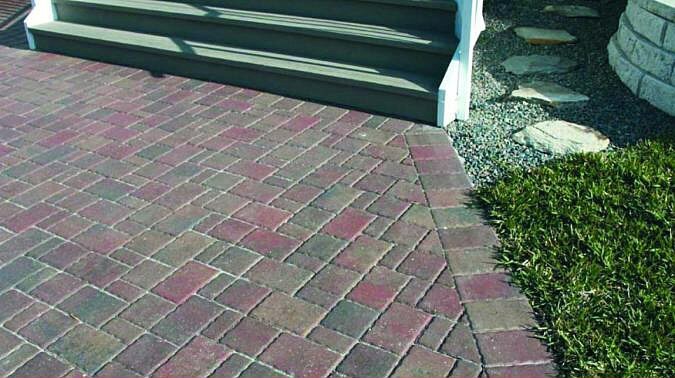 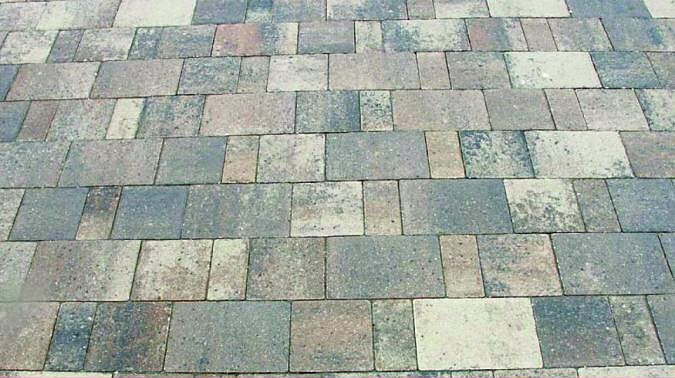 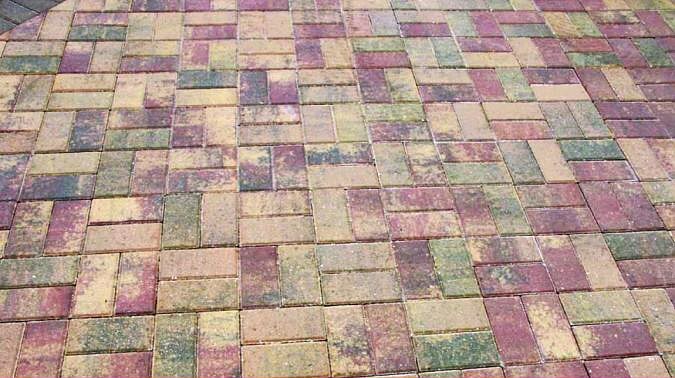 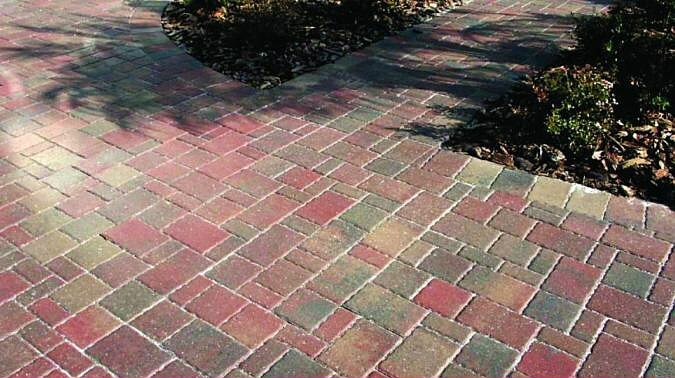 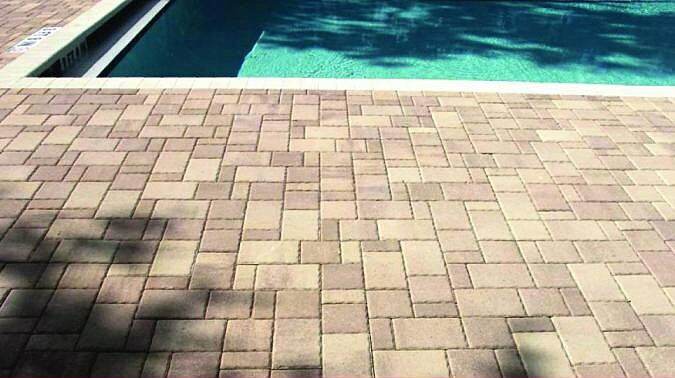 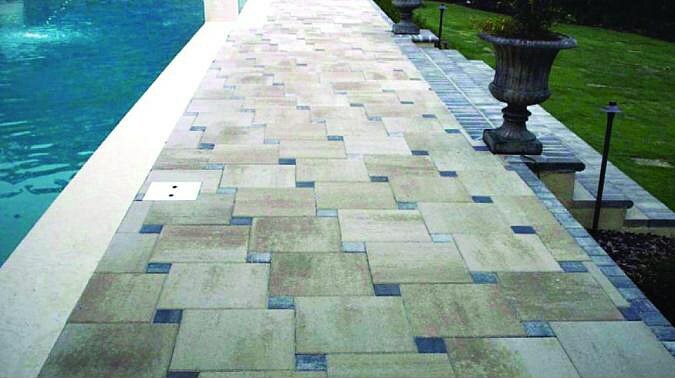 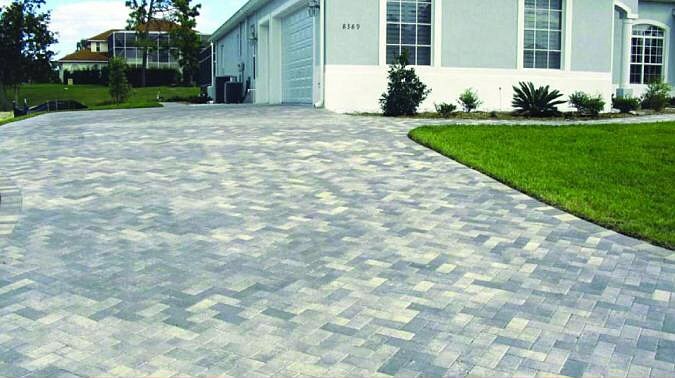 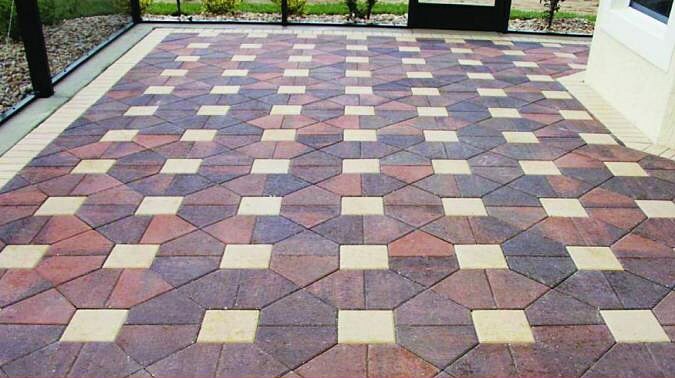 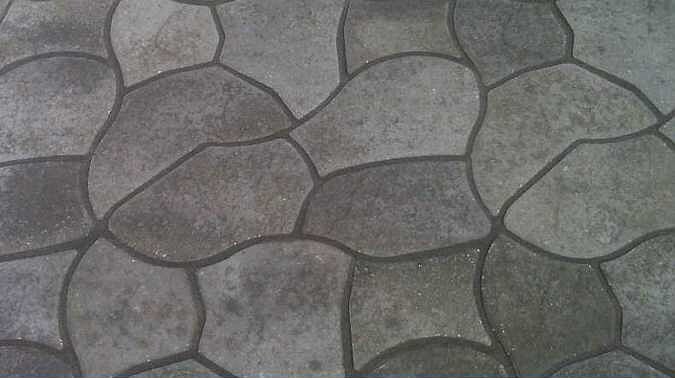 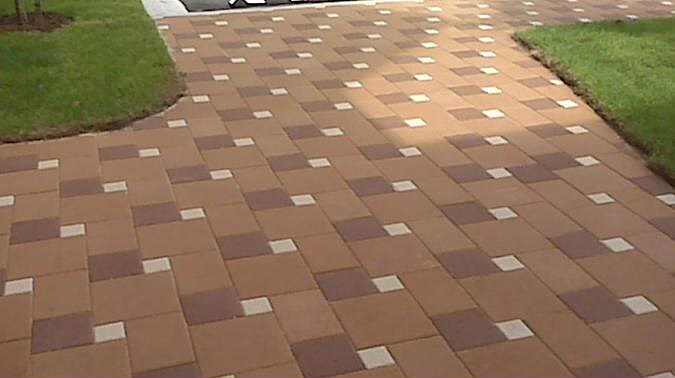 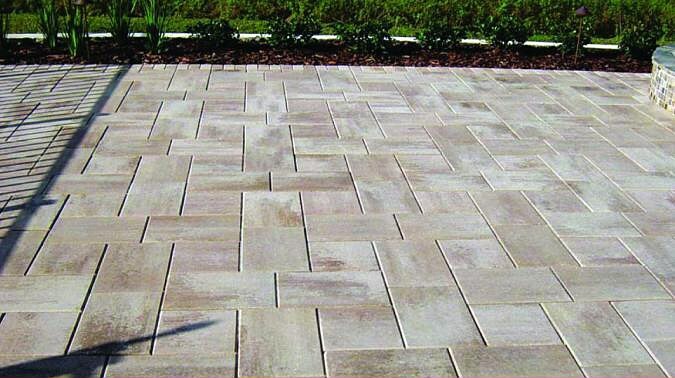 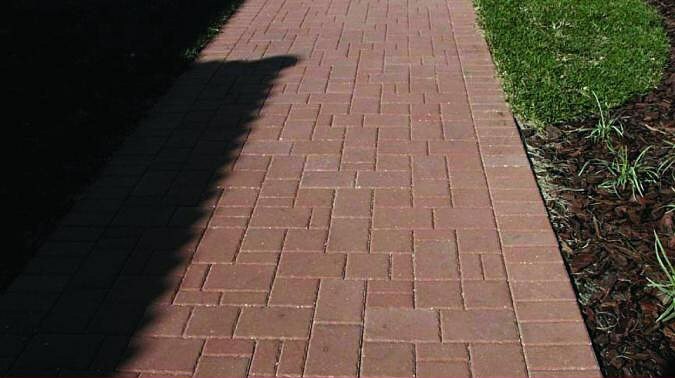 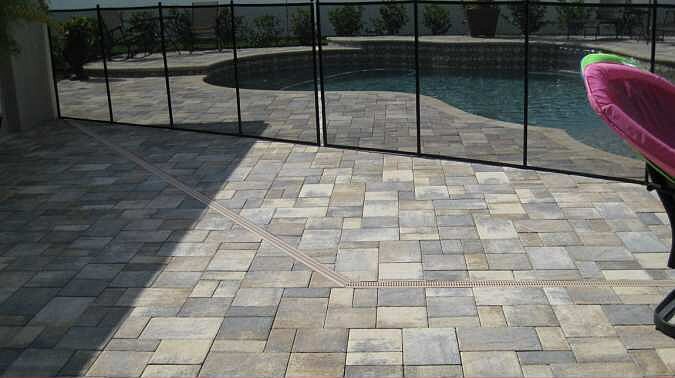 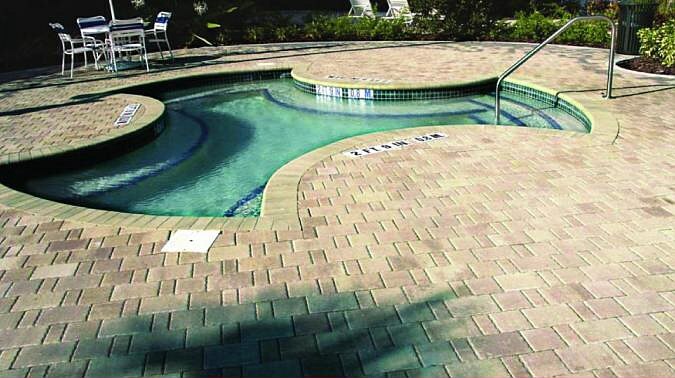 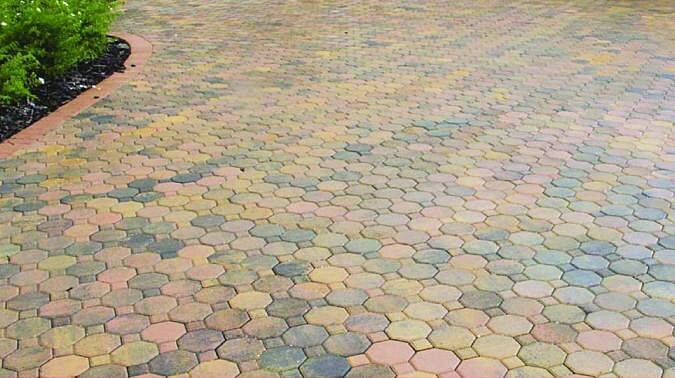 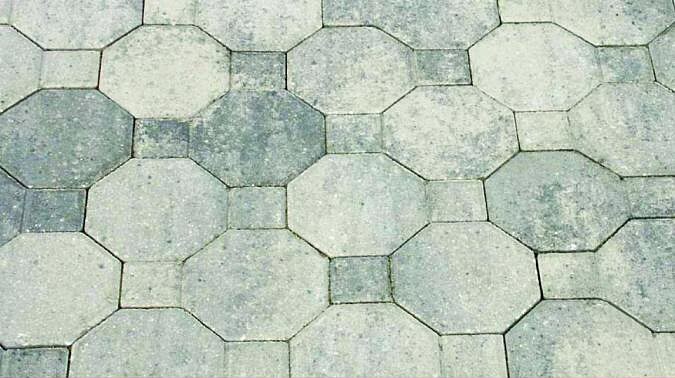 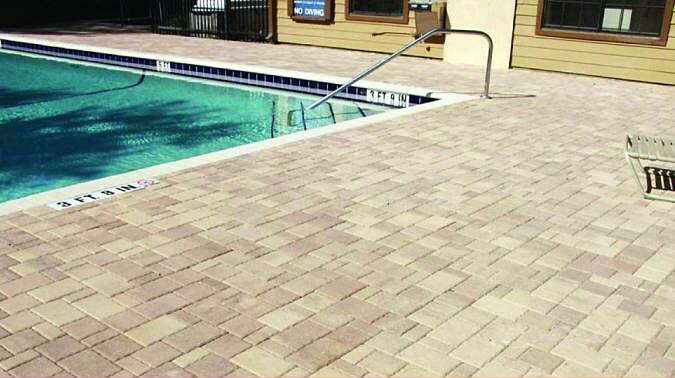 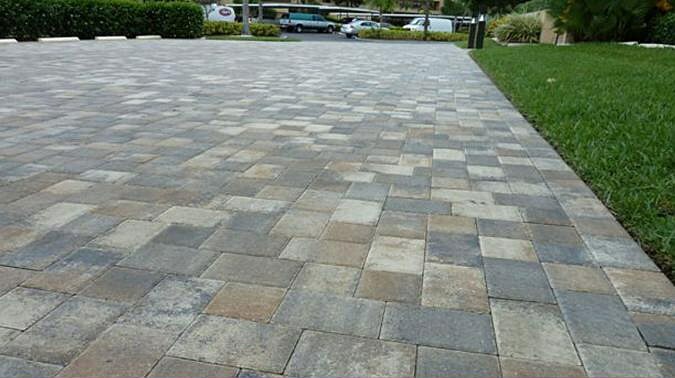 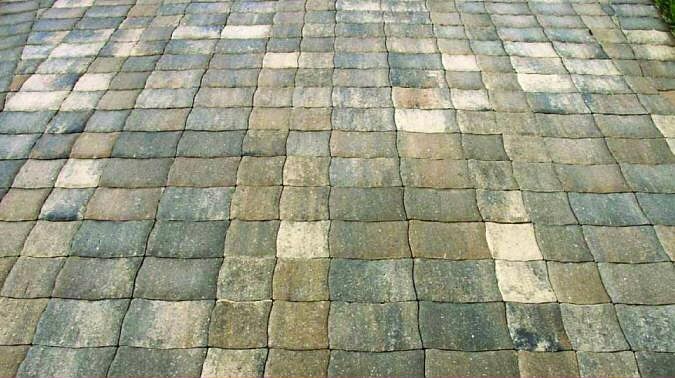 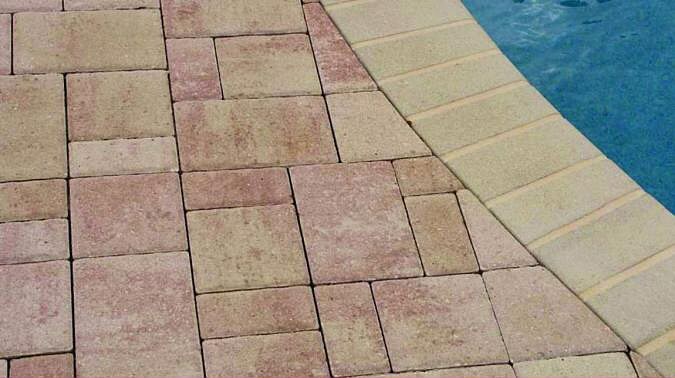 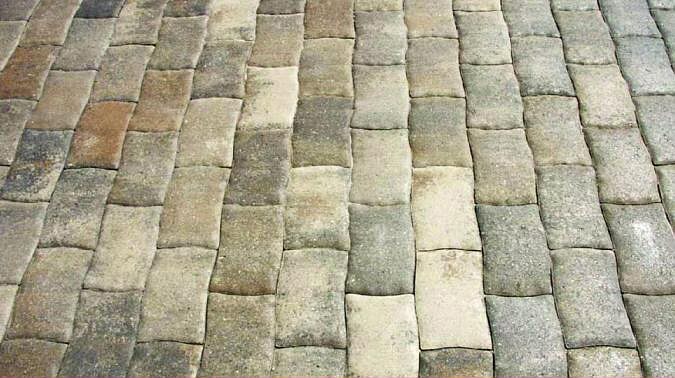 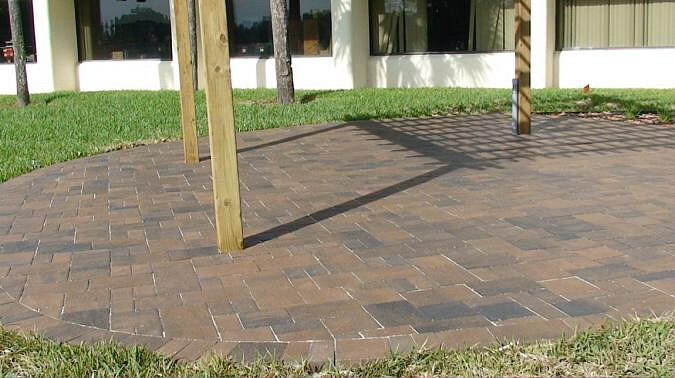 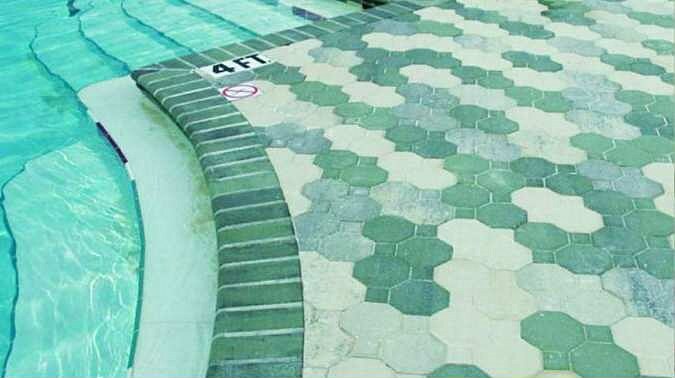 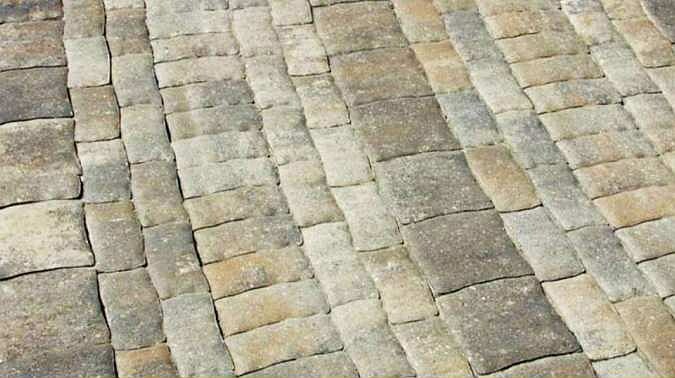 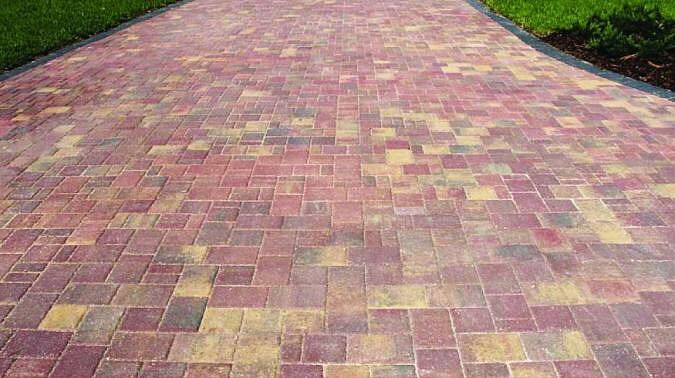 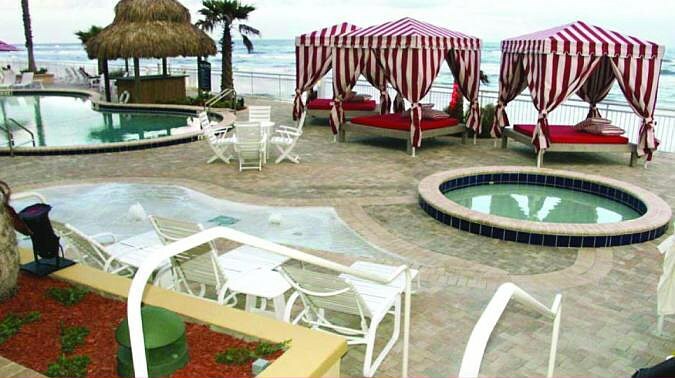 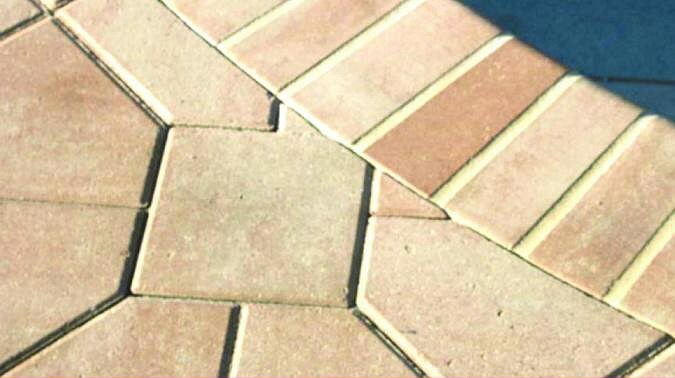 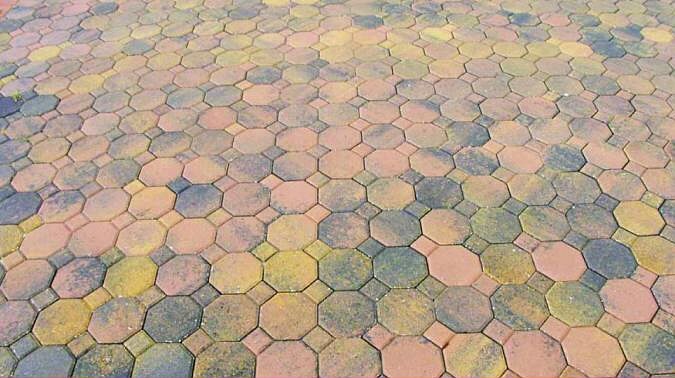 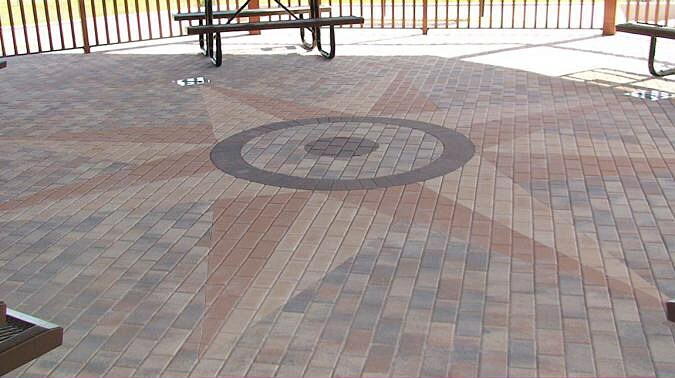 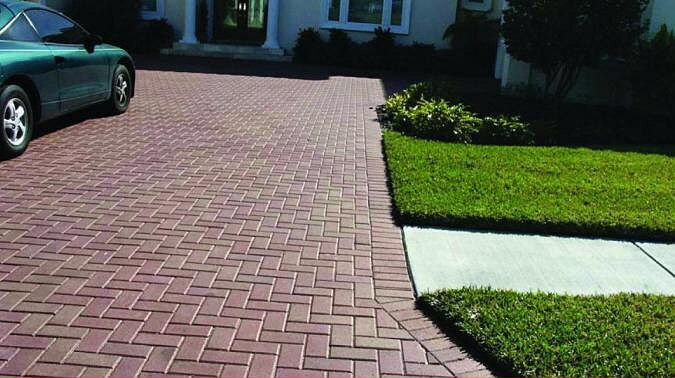 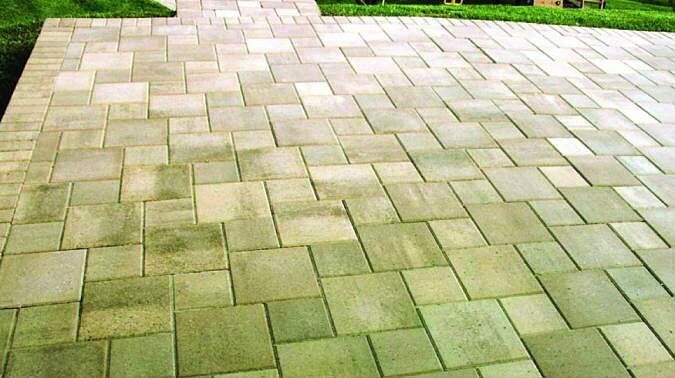 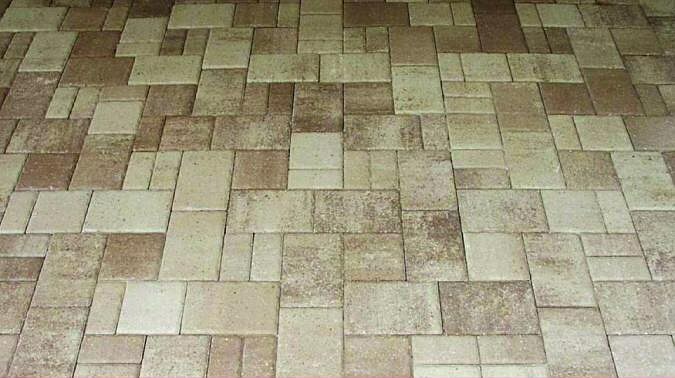 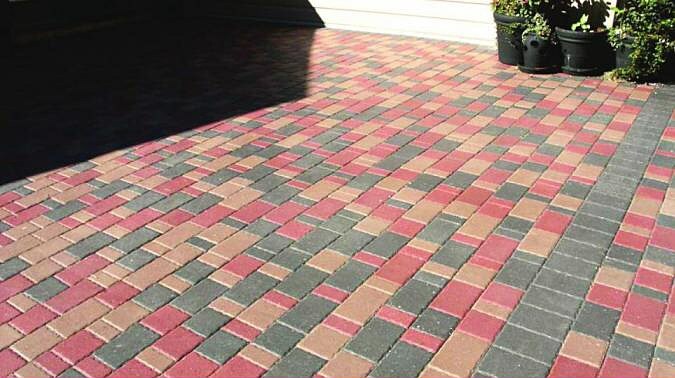 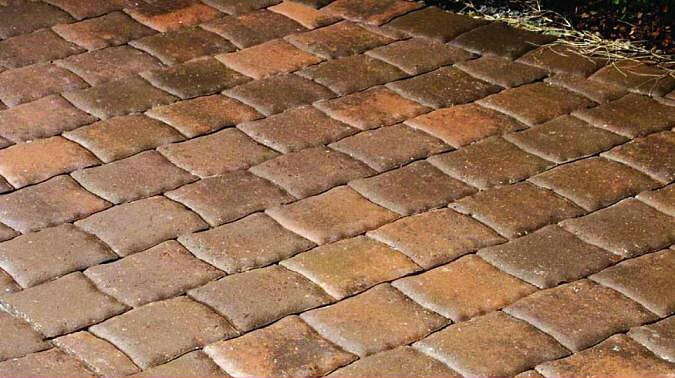 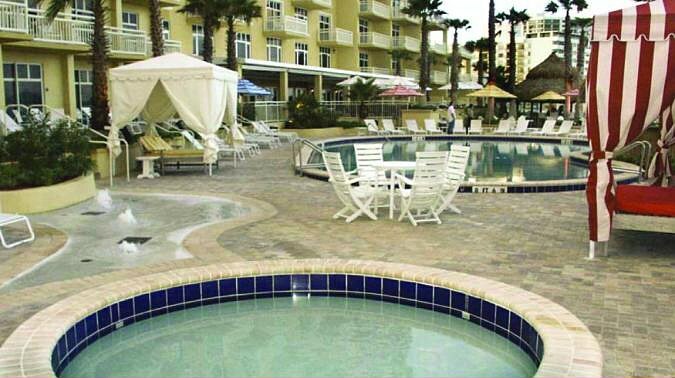 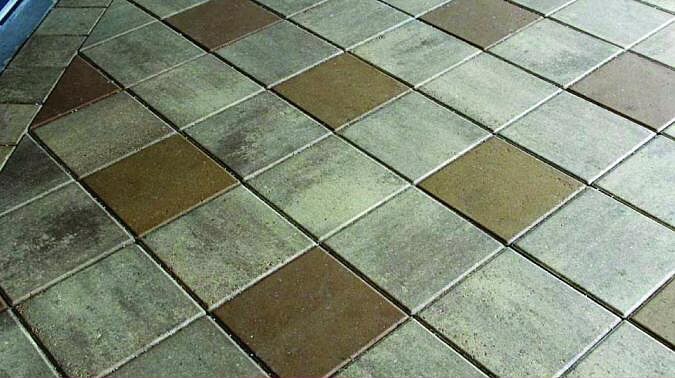 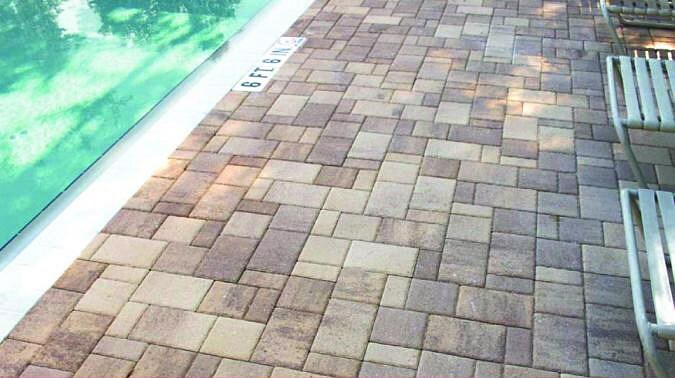 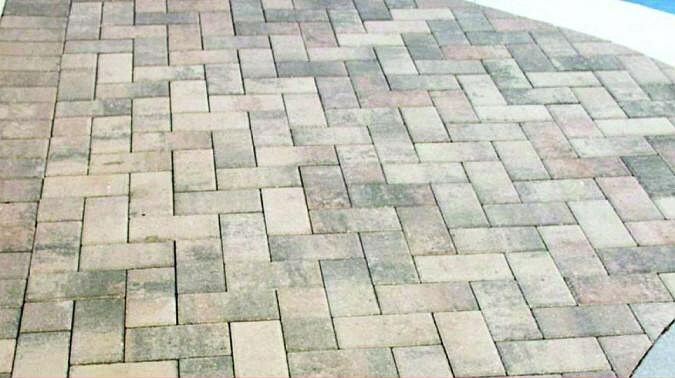 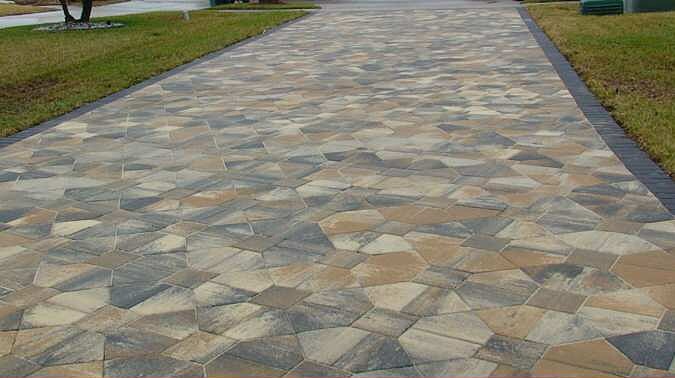 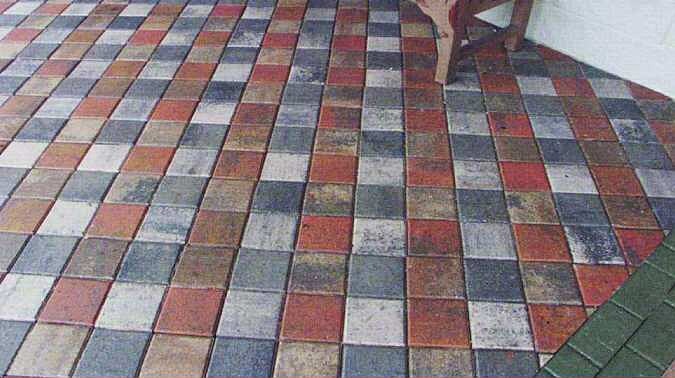 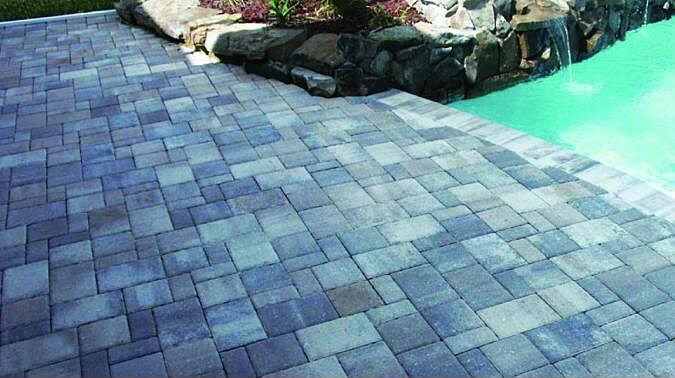 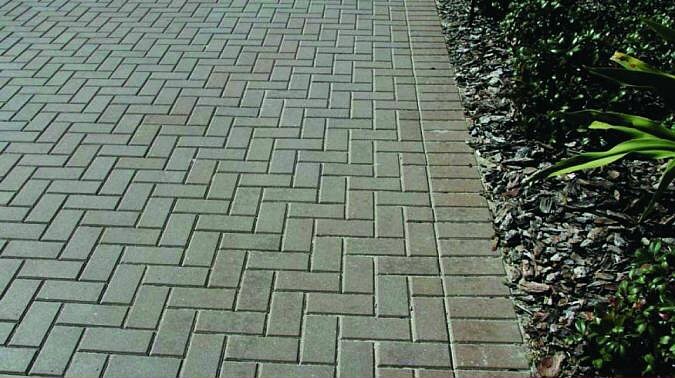 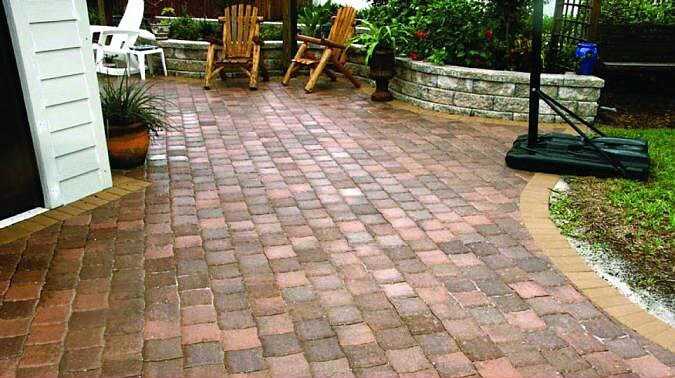 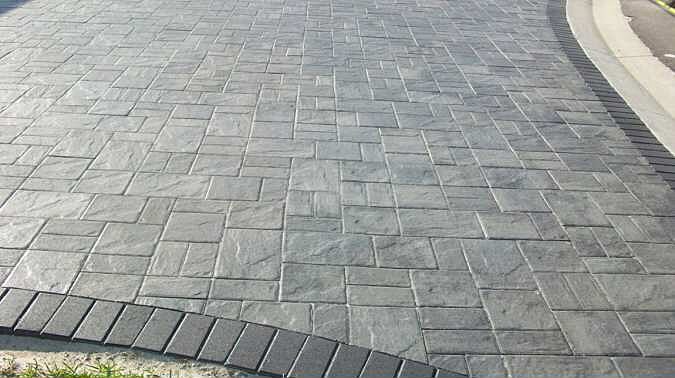 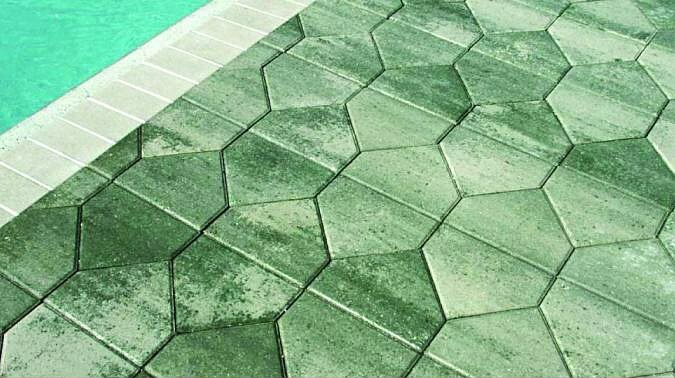 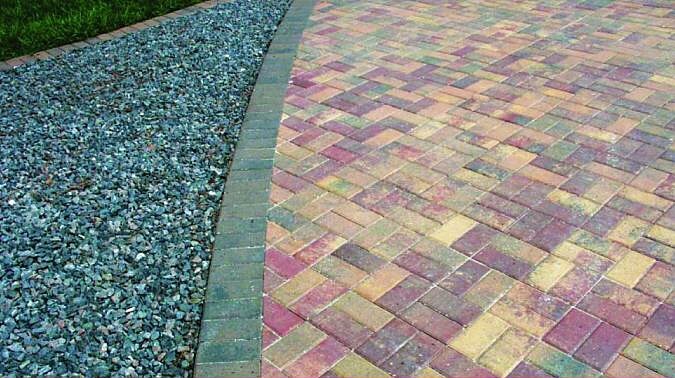 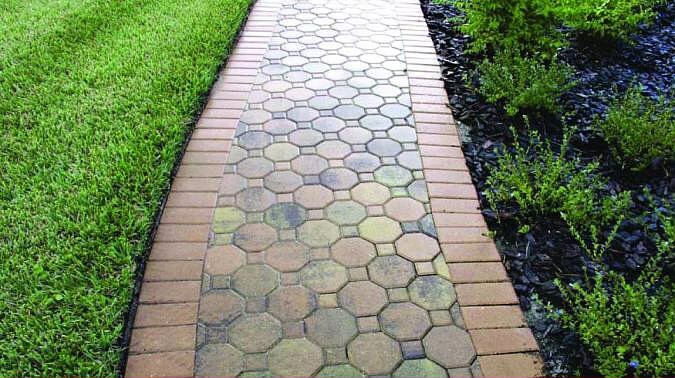 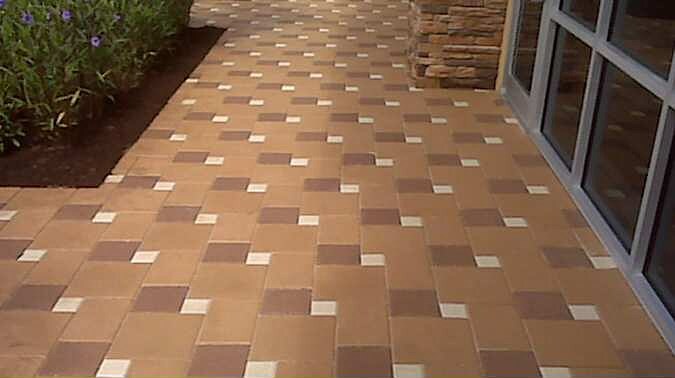 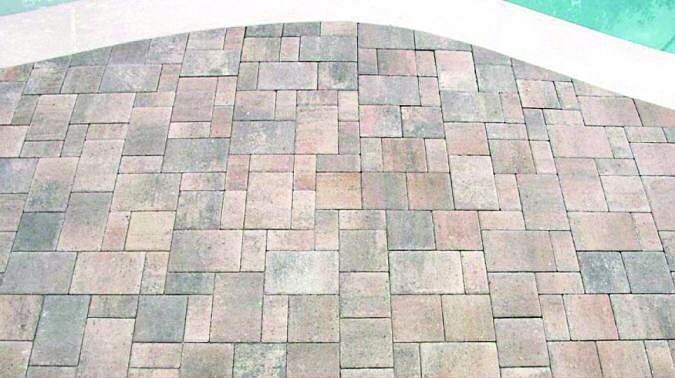 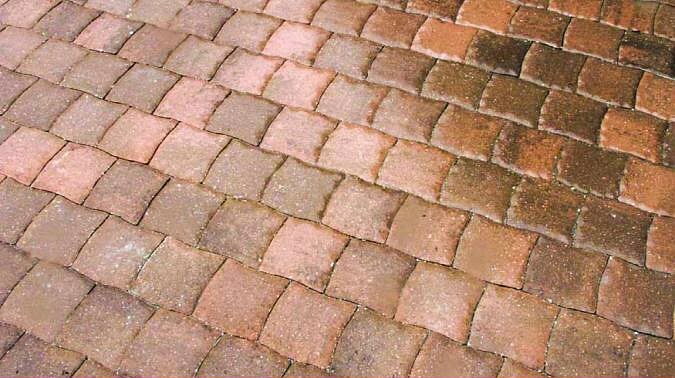 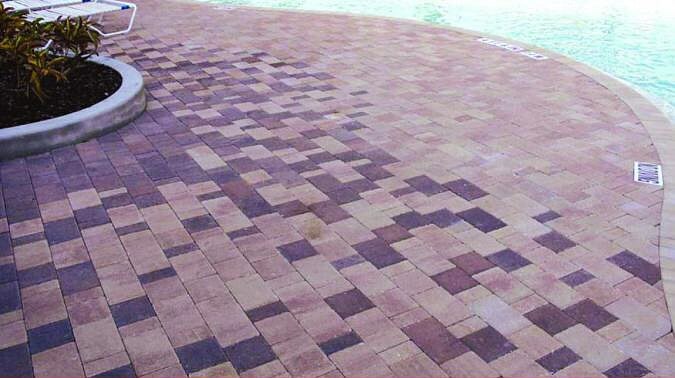 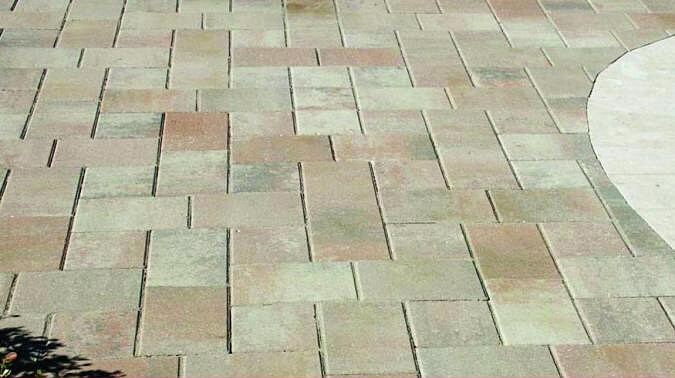 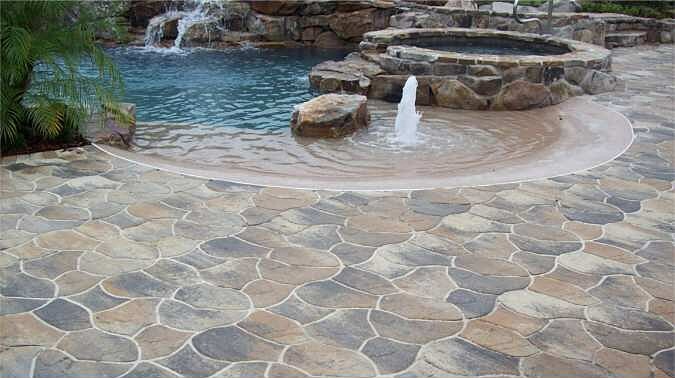 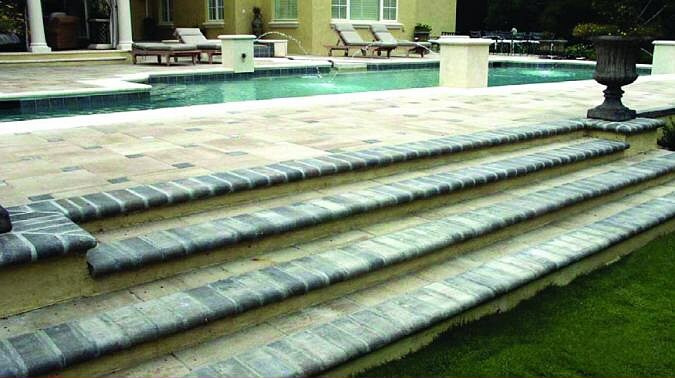 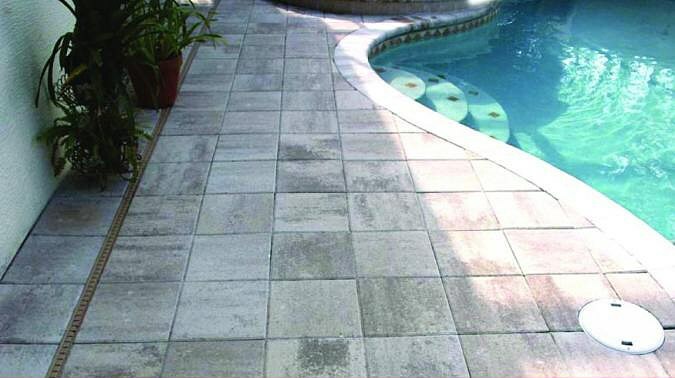 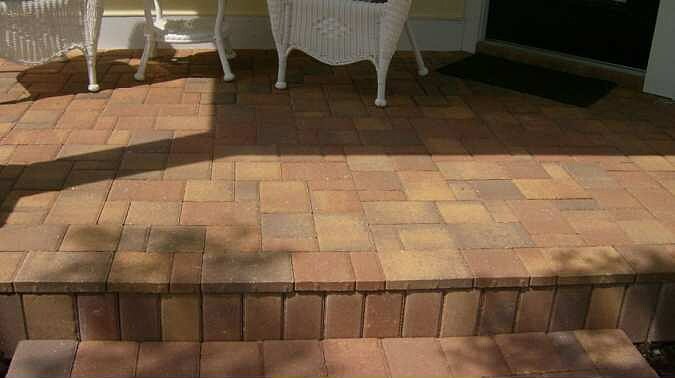 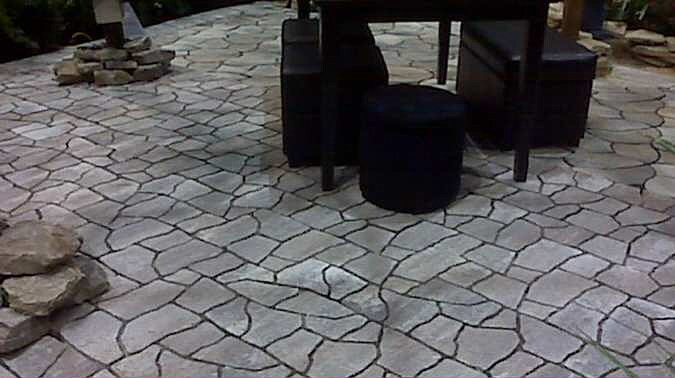 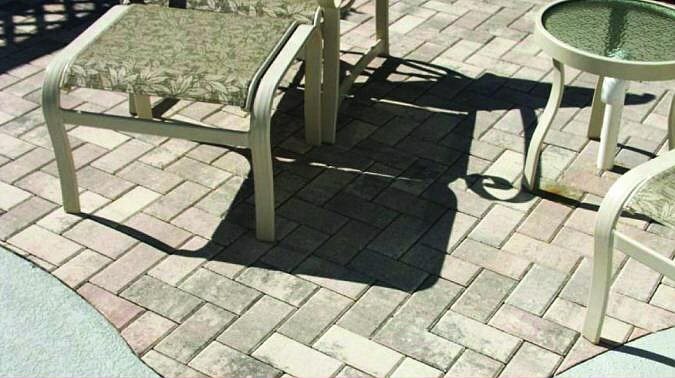 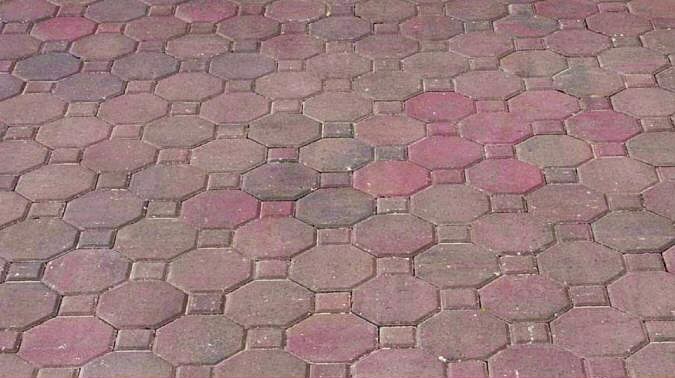 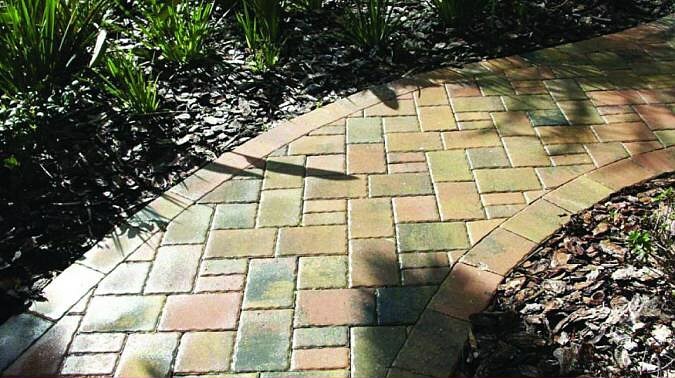 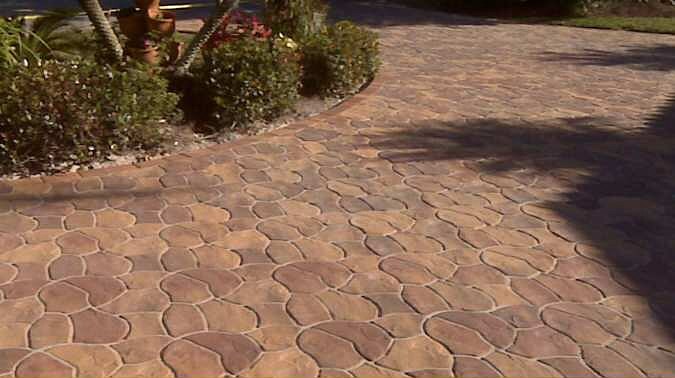 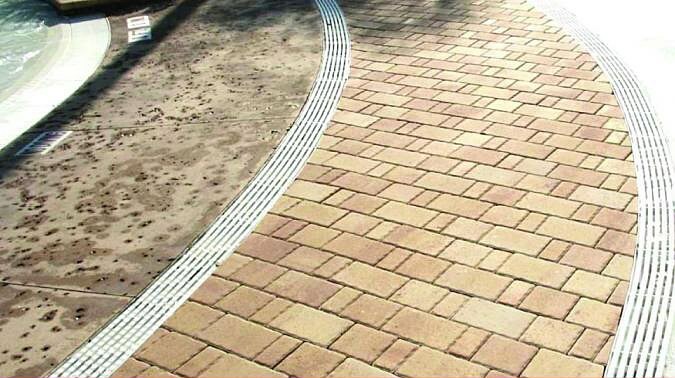 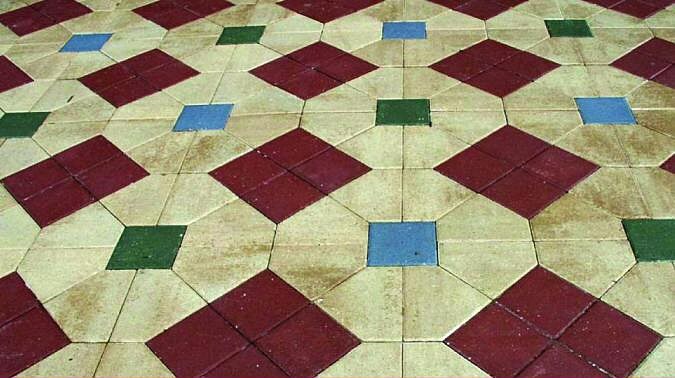 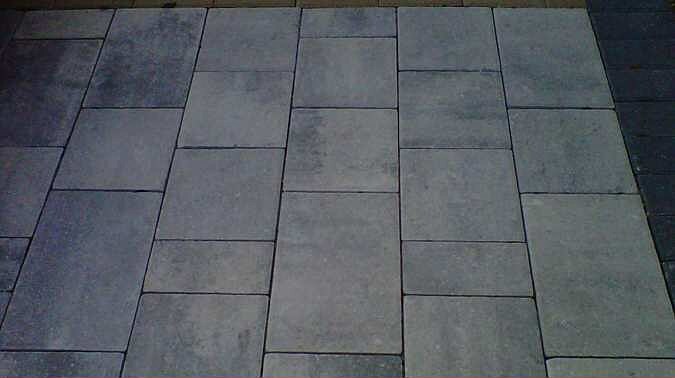 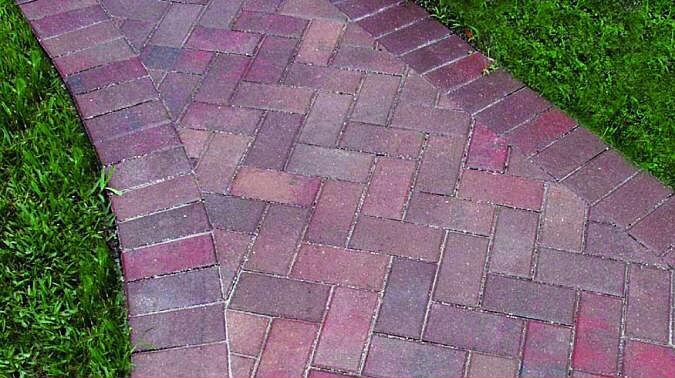 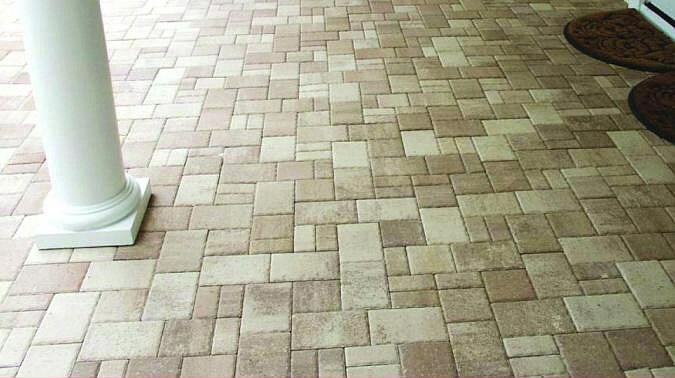 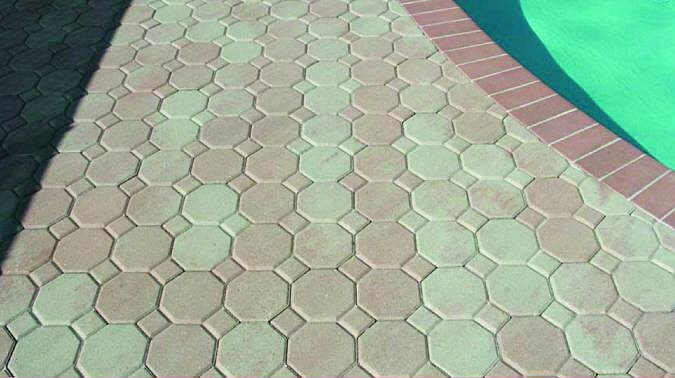 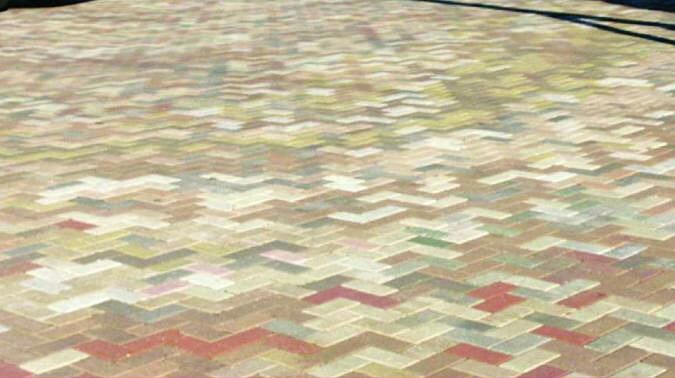 Due to the natural variance of raw materials used in the production of interlocking concrete pavers, minor shade variations may occur from sample to the product and in photography, monitor display and printing processes.